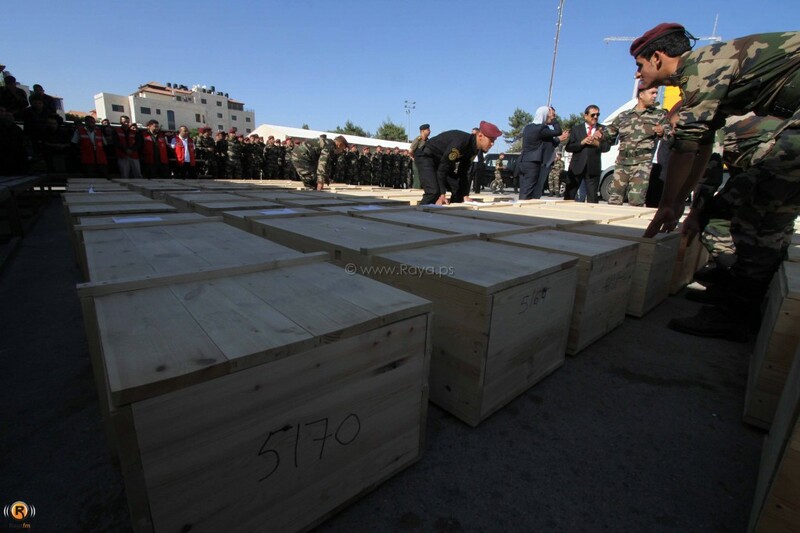 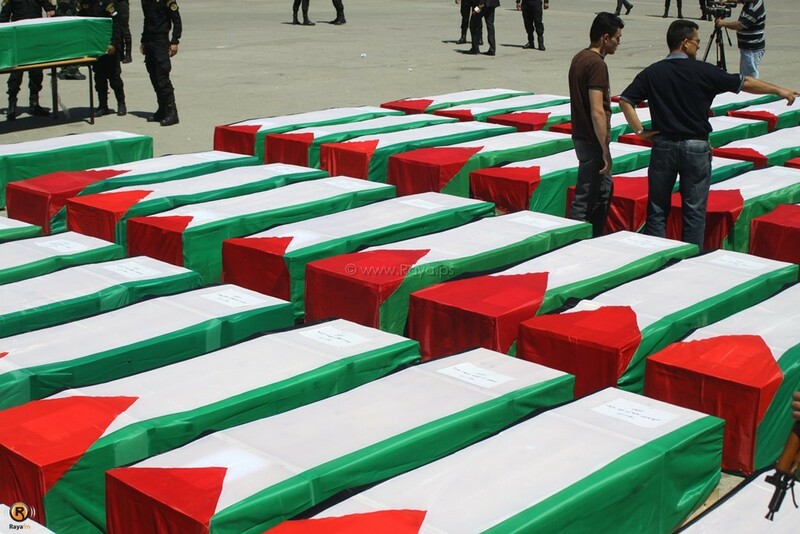 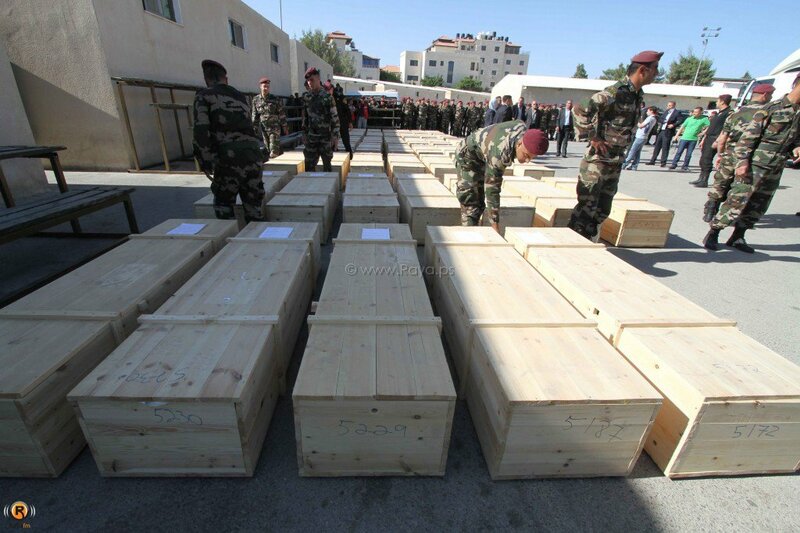 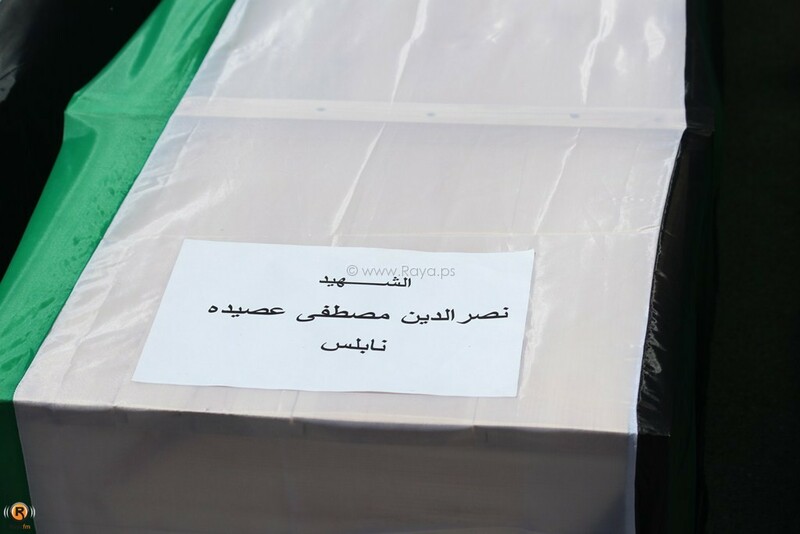 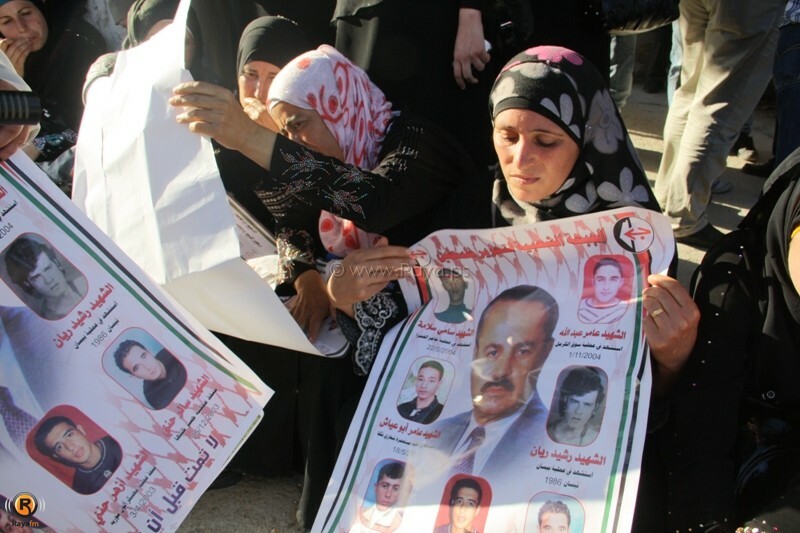 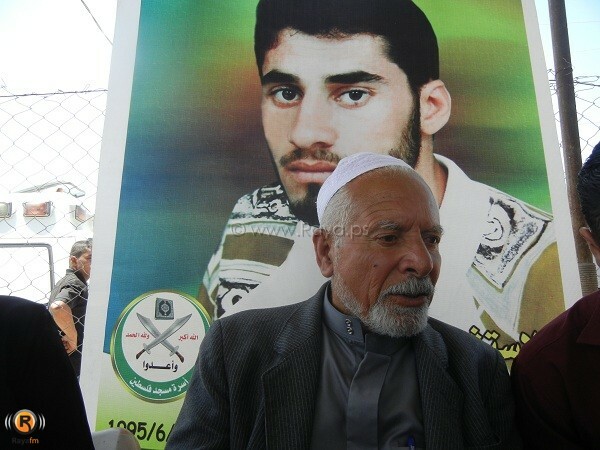 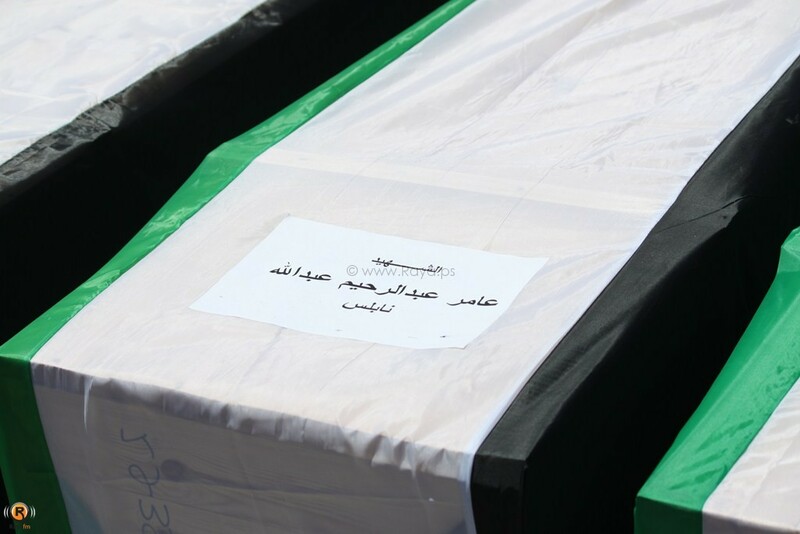 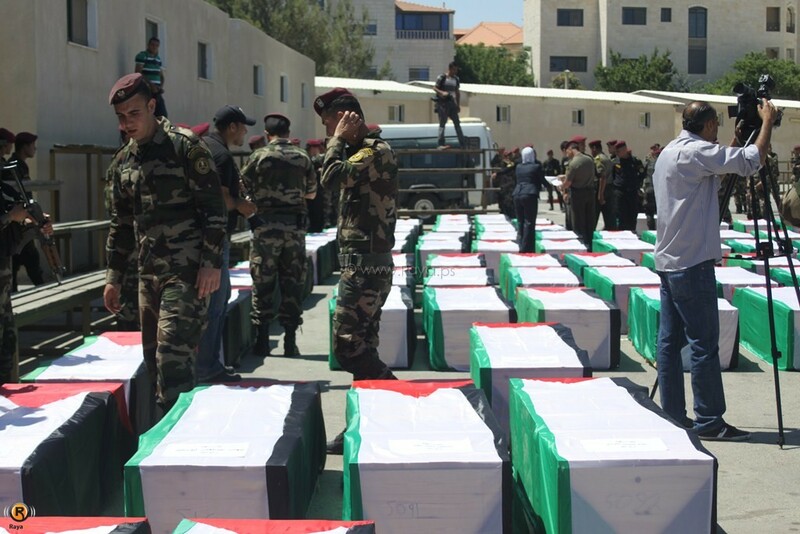 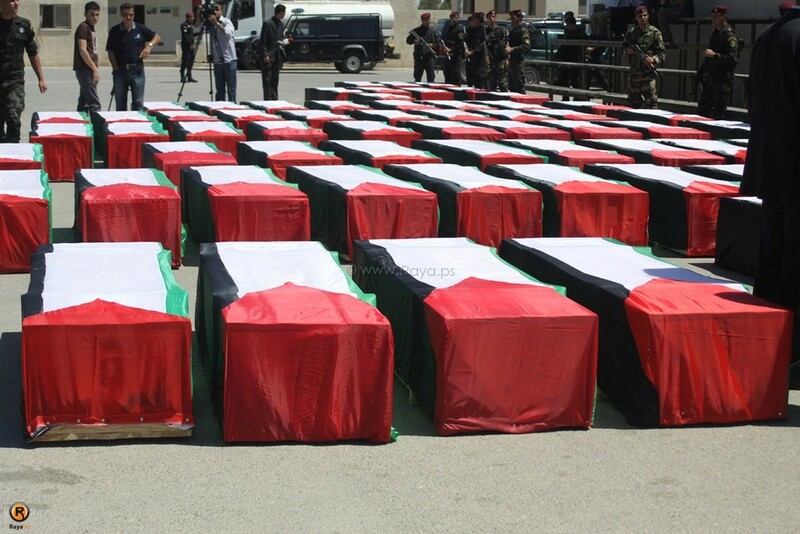 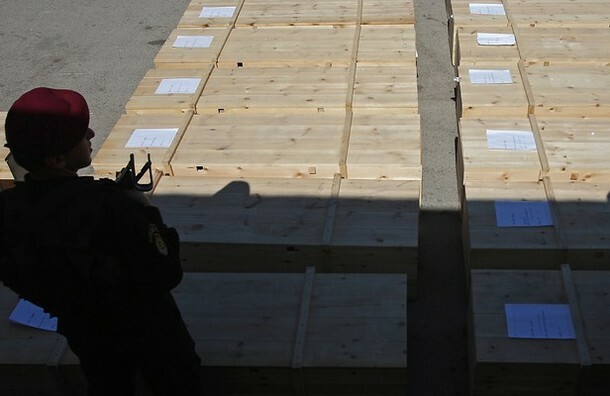 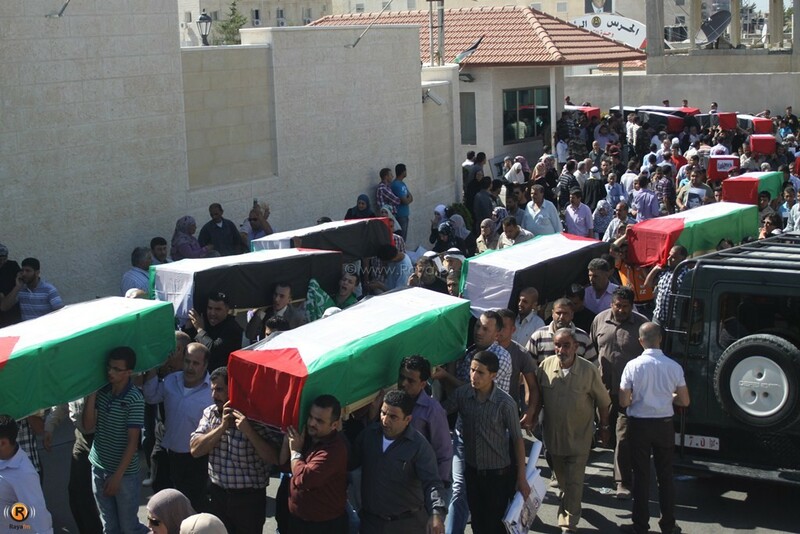 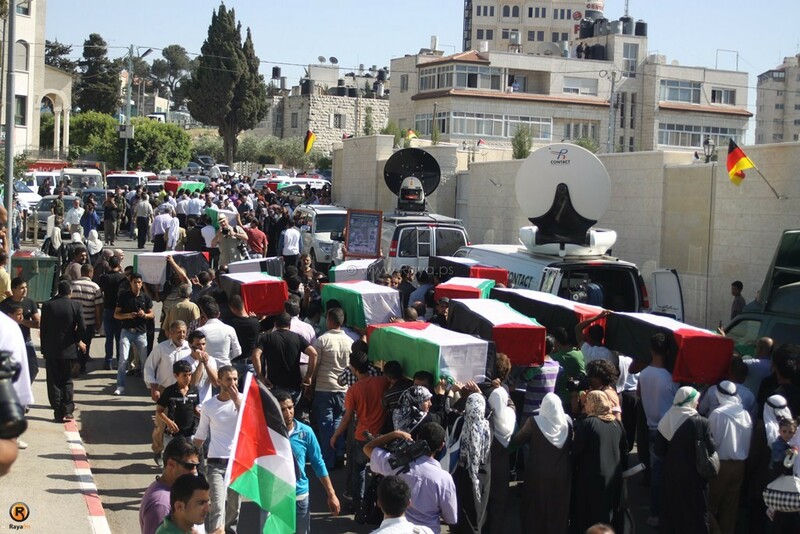 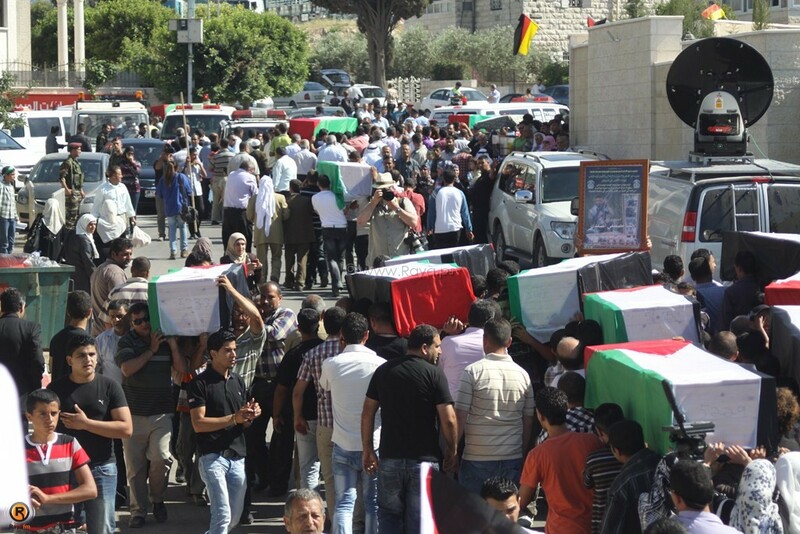 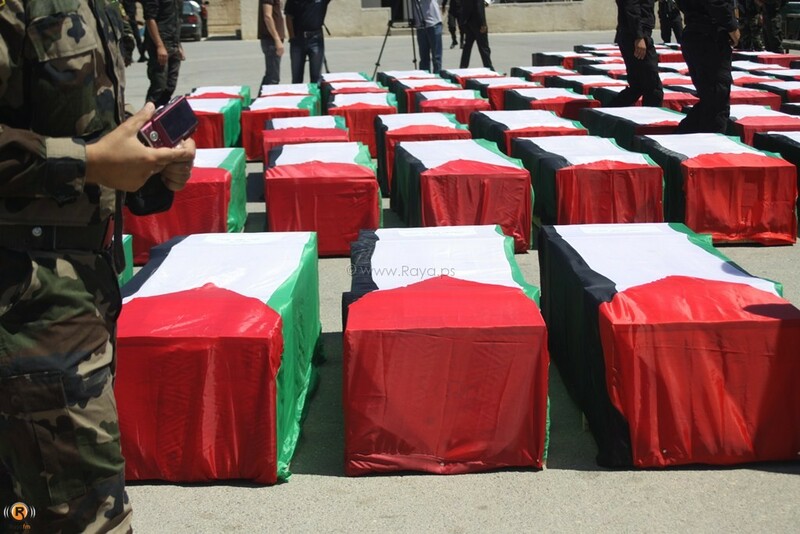 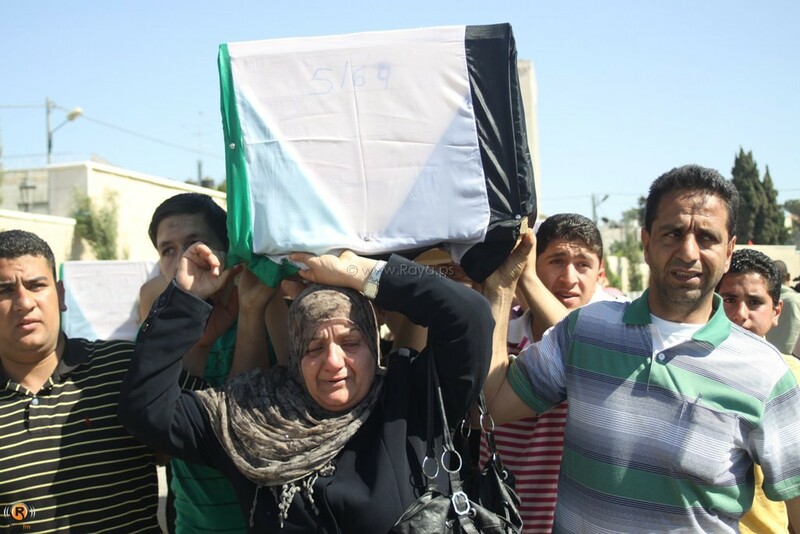 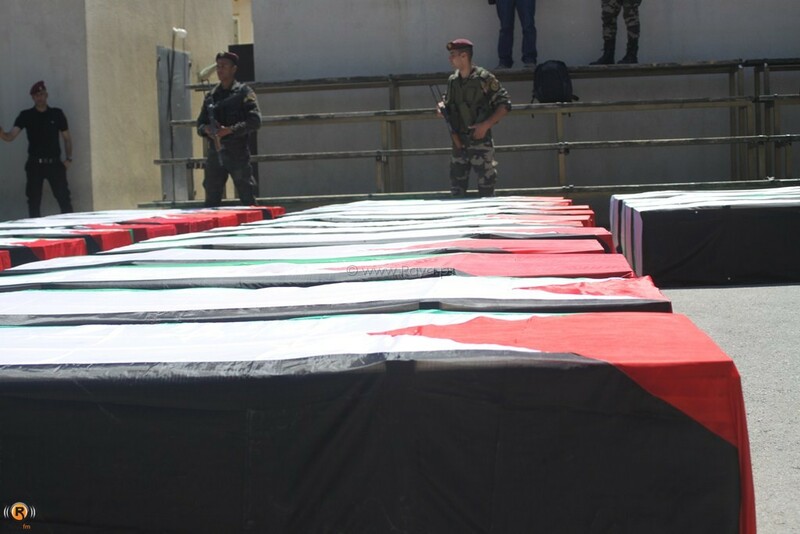 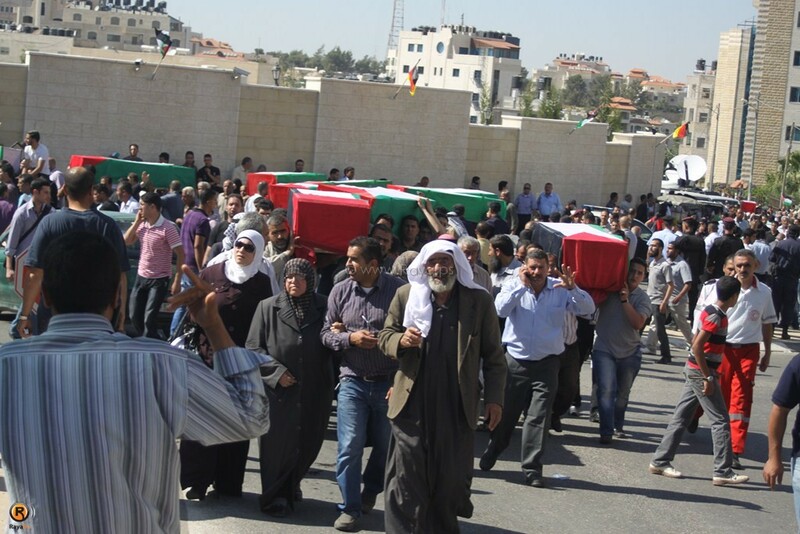 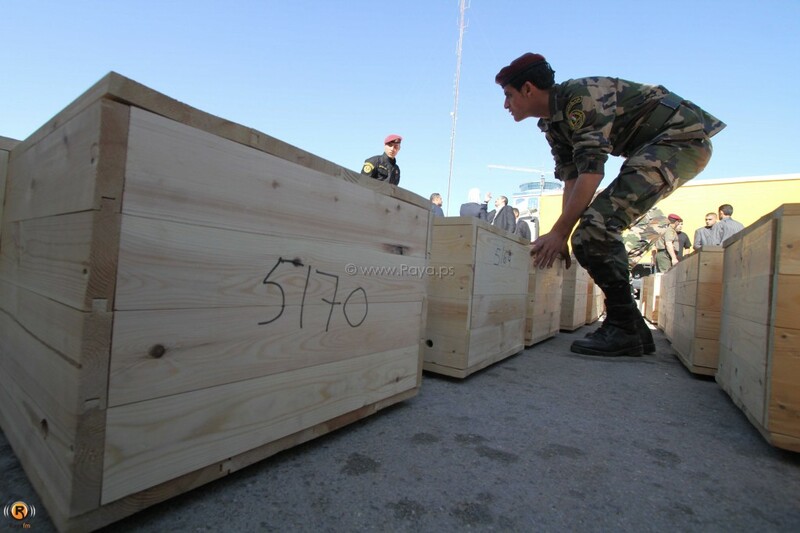 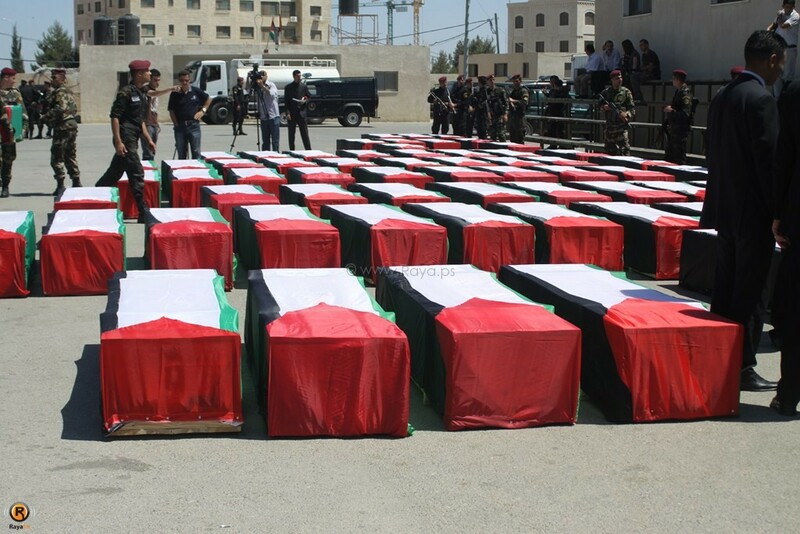 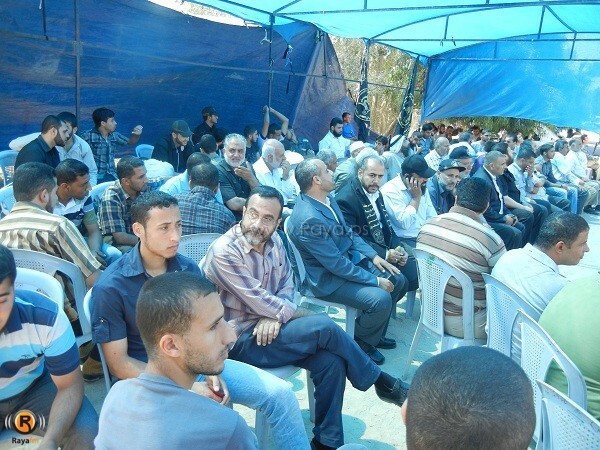 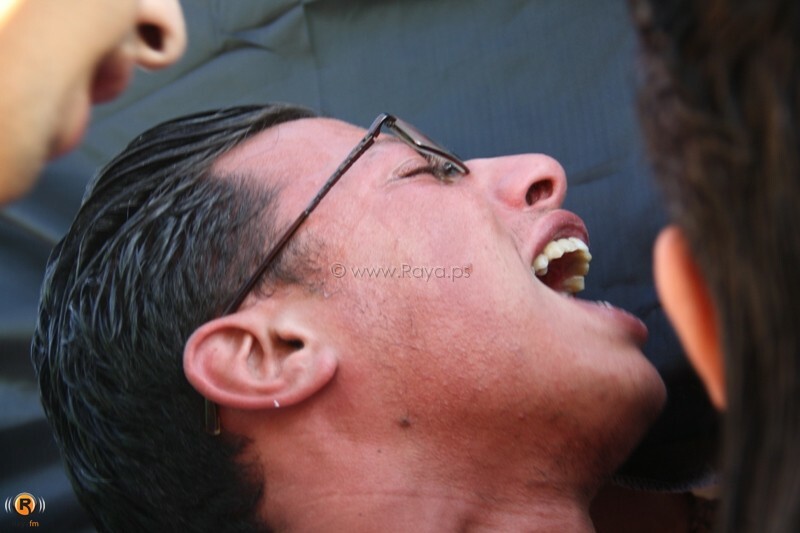 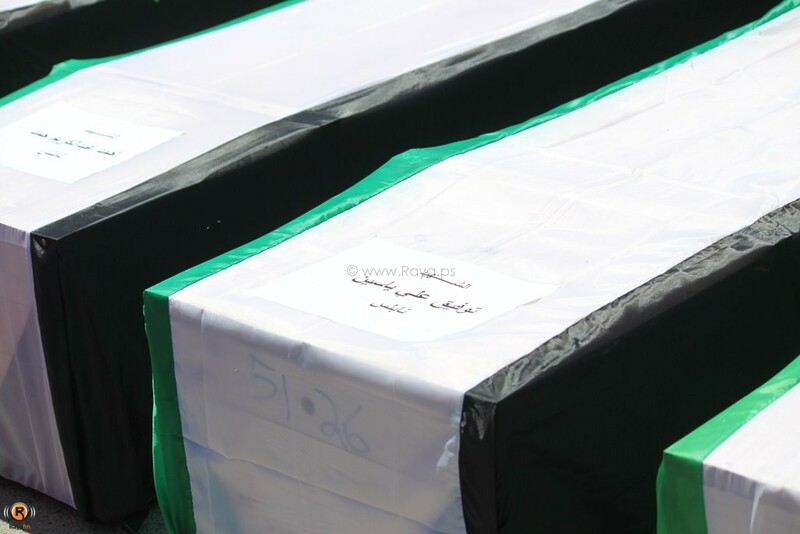 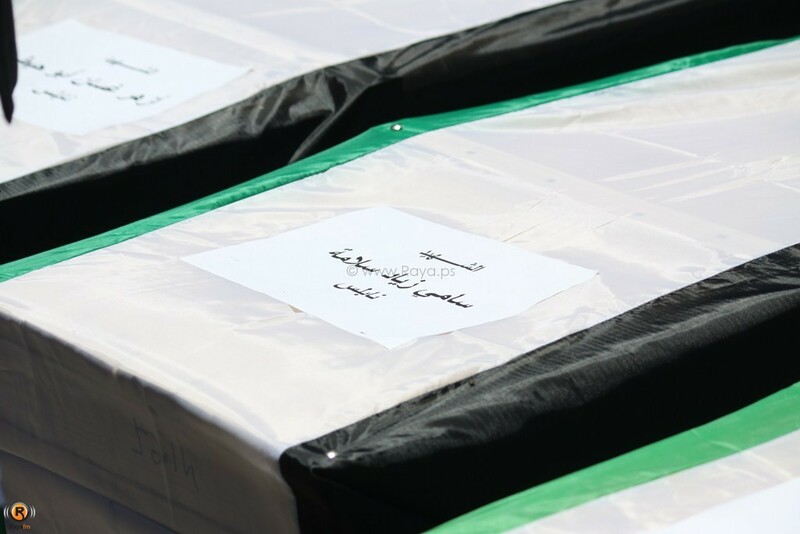 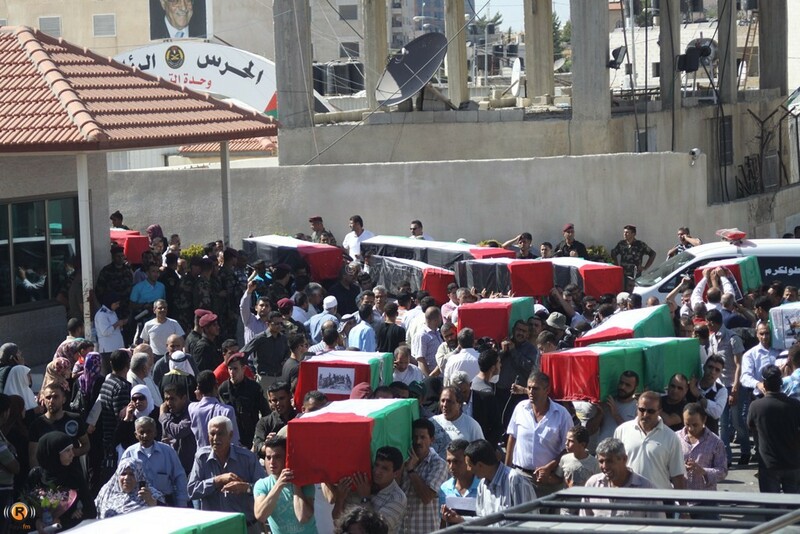 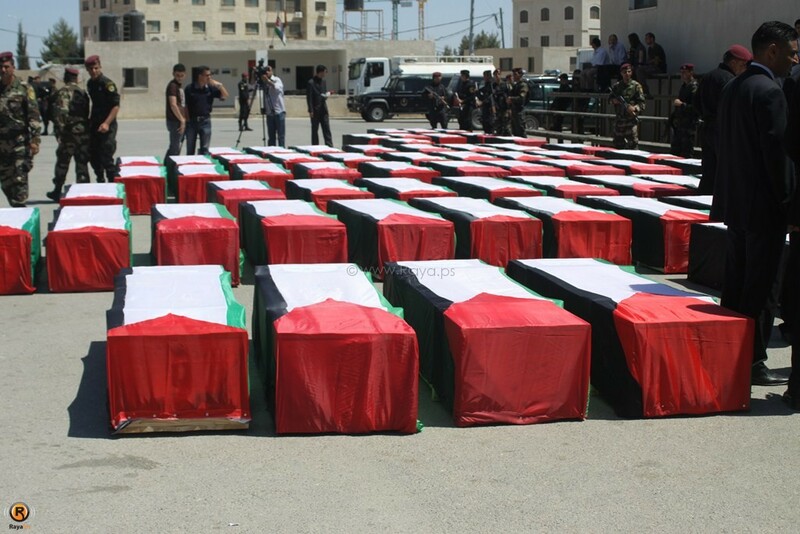 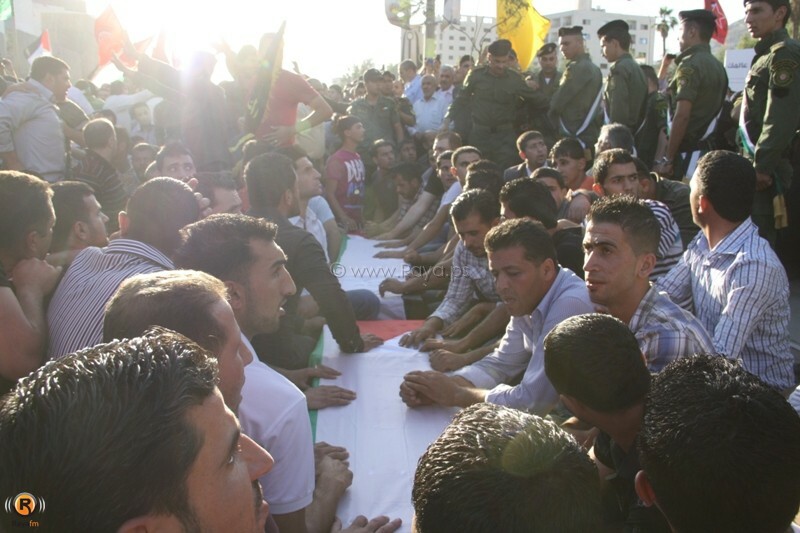 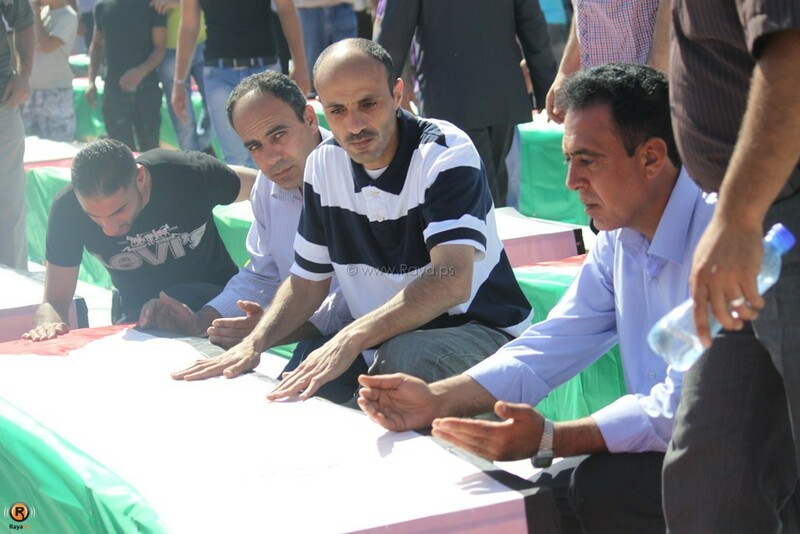 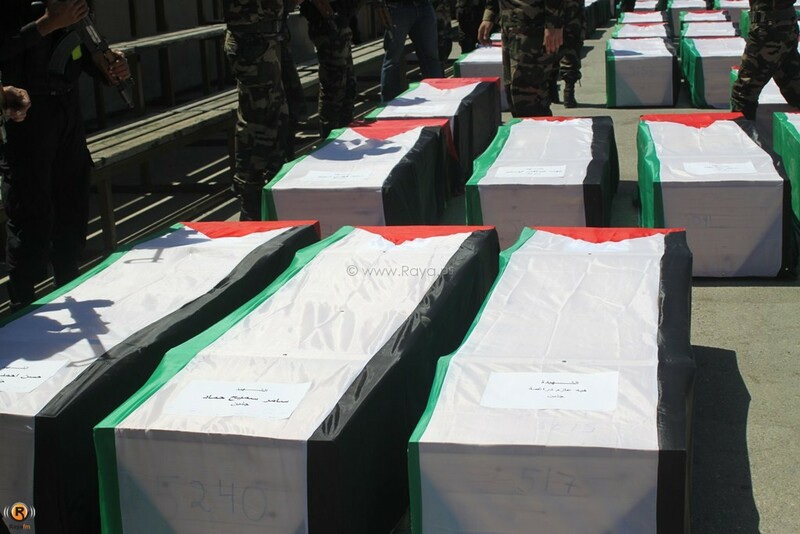 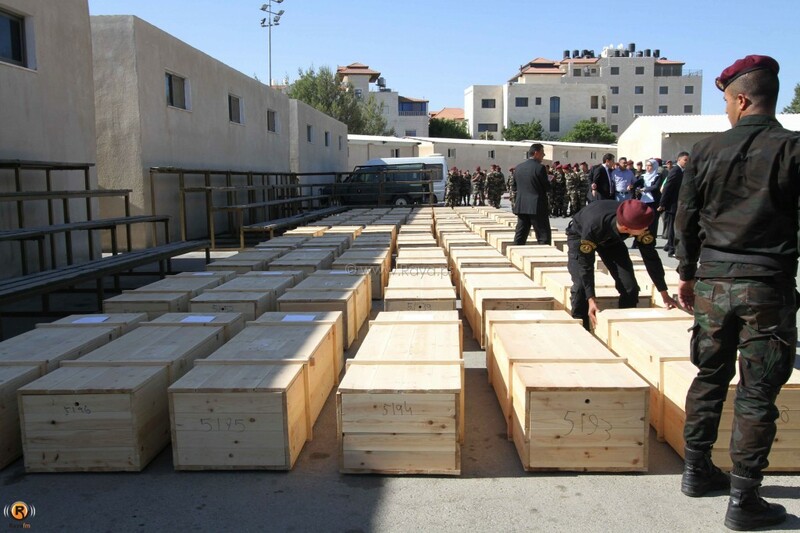 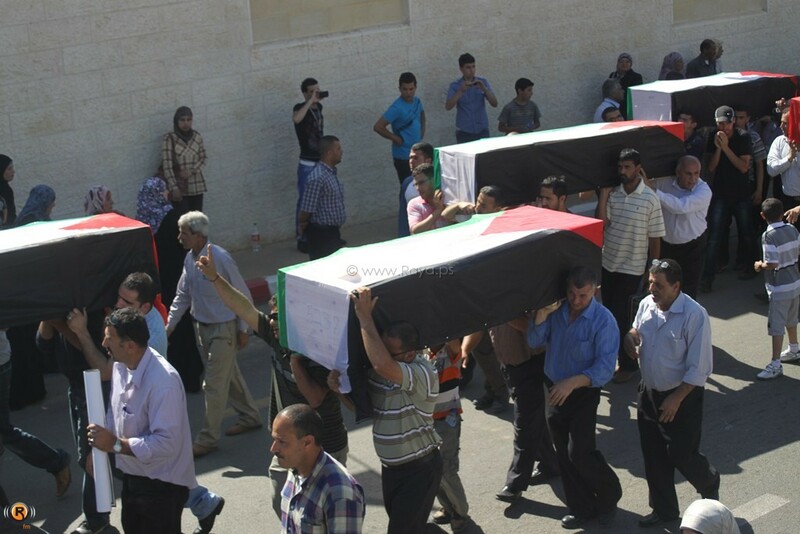 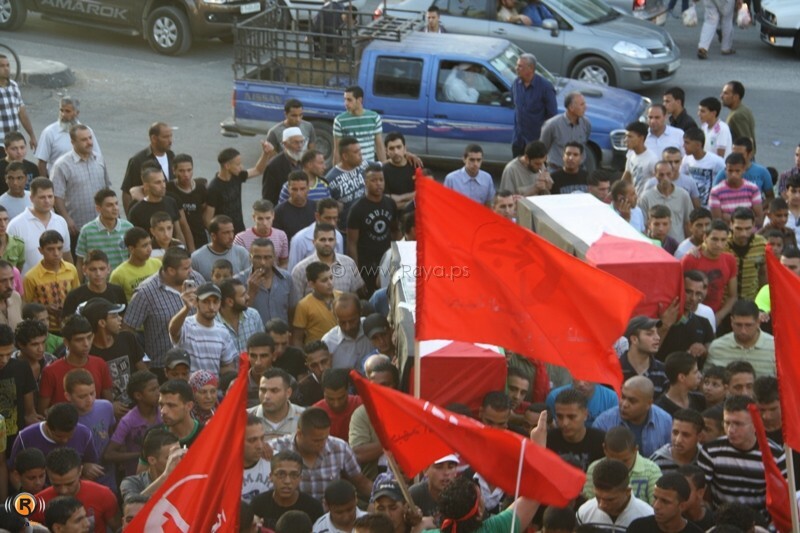 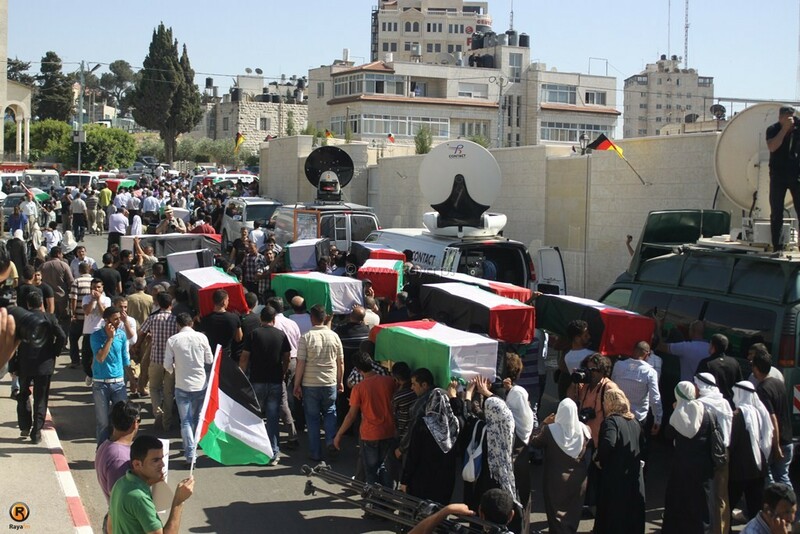 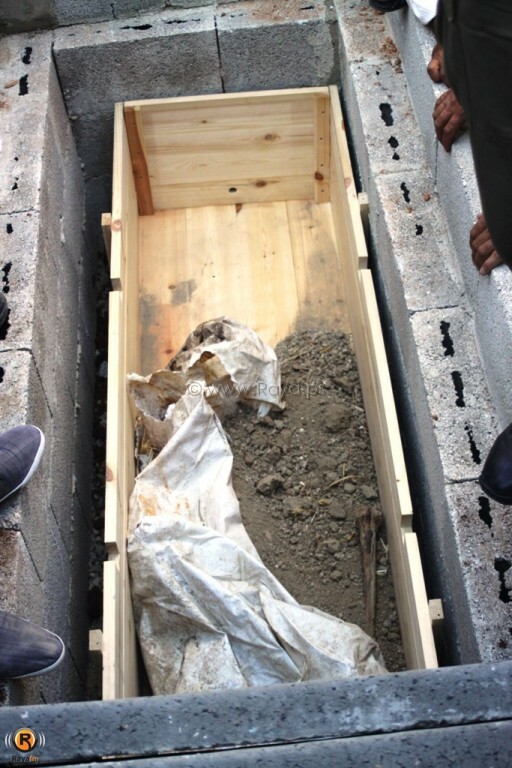 Minister of Civil Affairs in the Palestinian government in Ramallah, Hussein Ash-Sheikh, reported that Israel handed the bodies of 91 Palestinians, buried since many years in the “Numbers Graveyard”; the remains were sent to the Gaza Strip and to Ramallah. 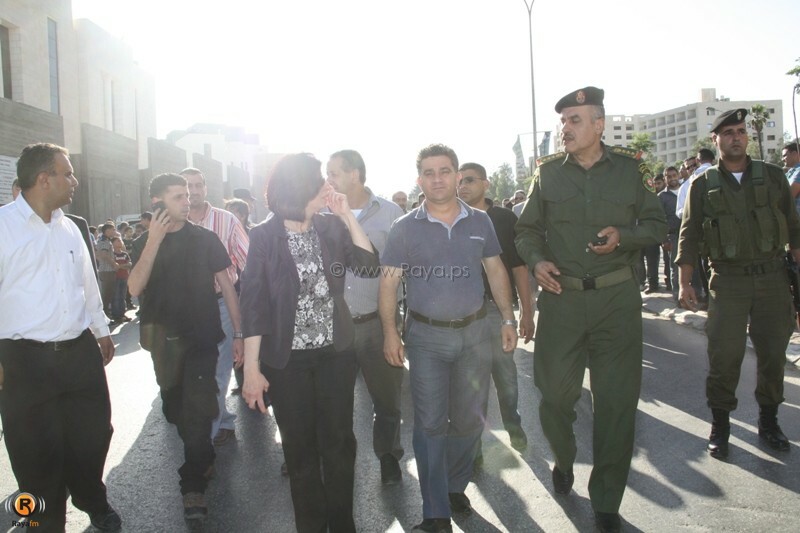 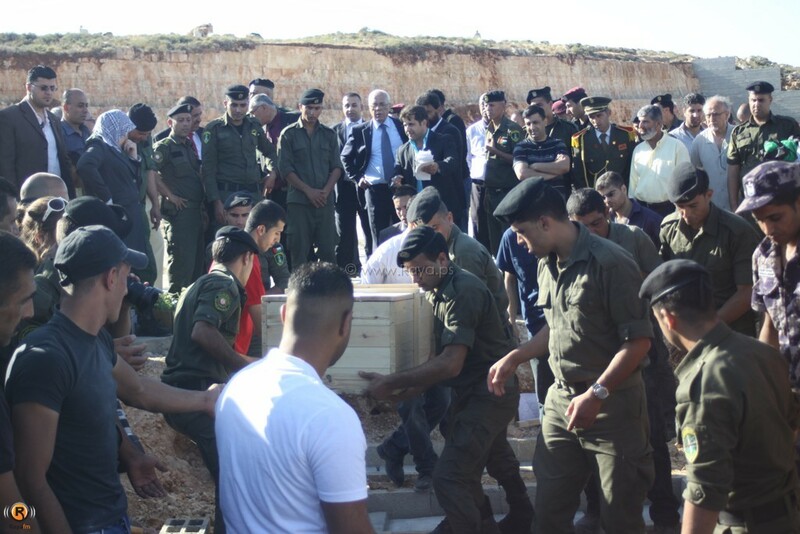 The Minister said that the remains will be tested for DNA analysis before being handed to the families. 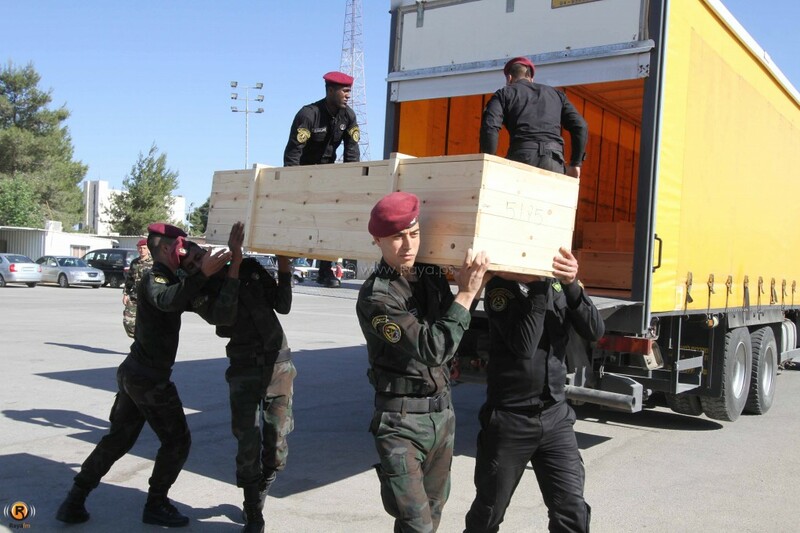 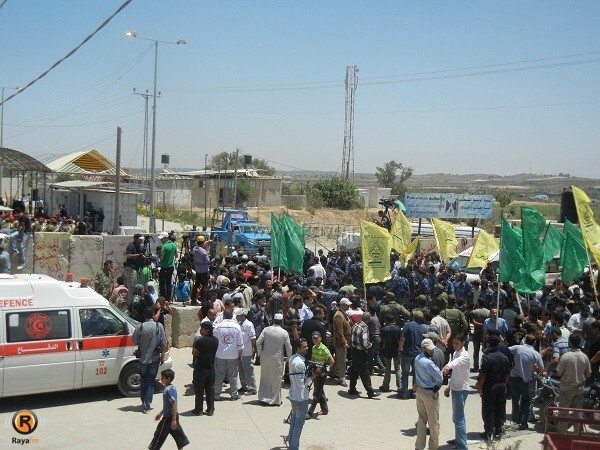 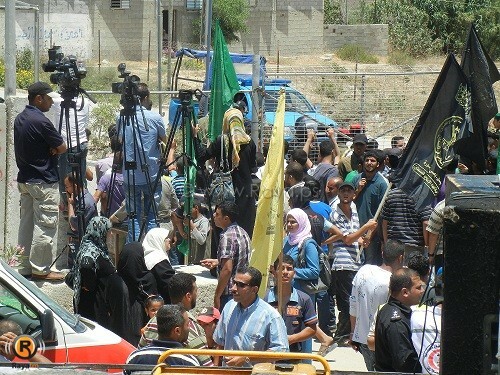 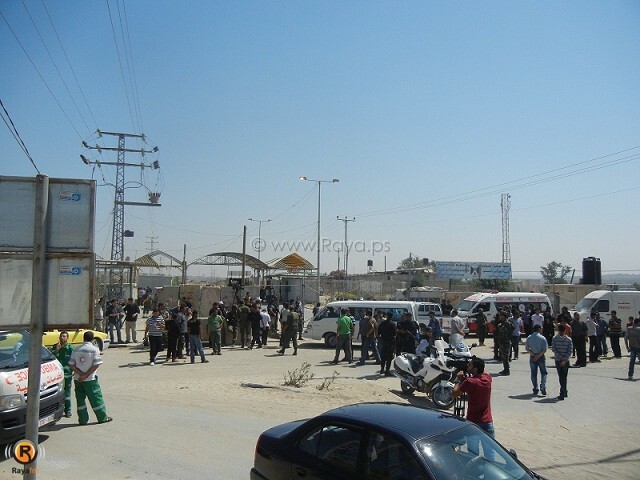 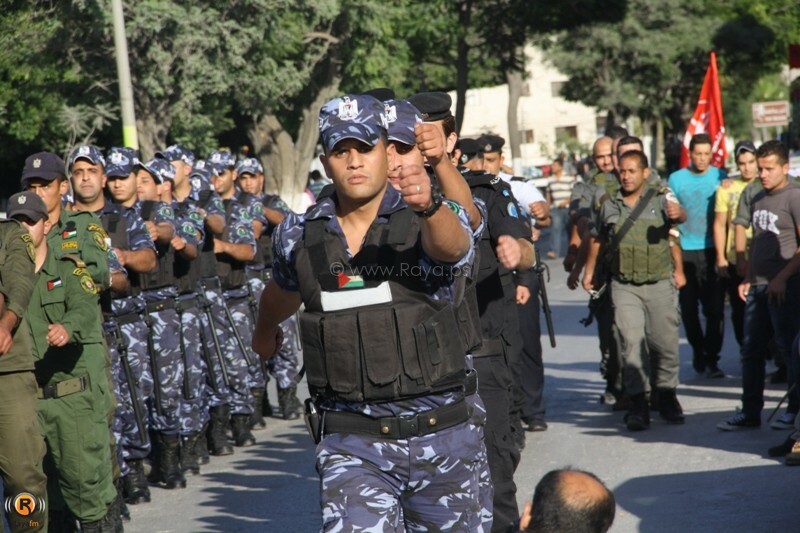 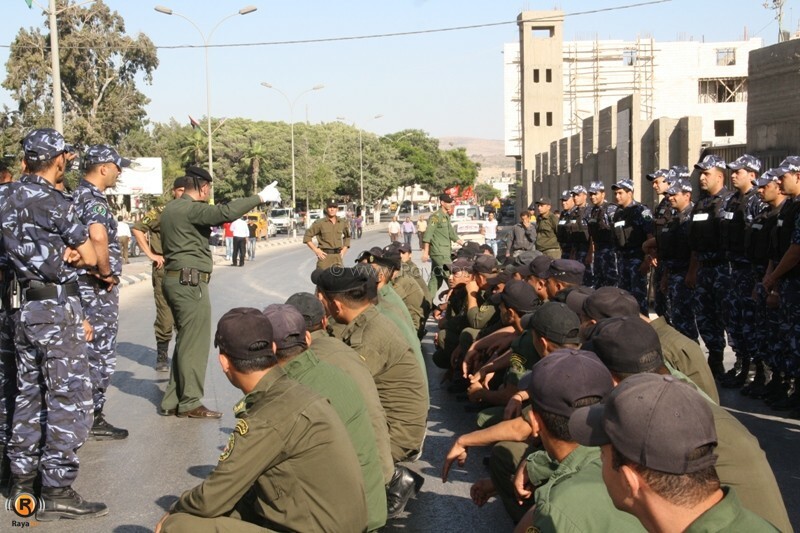 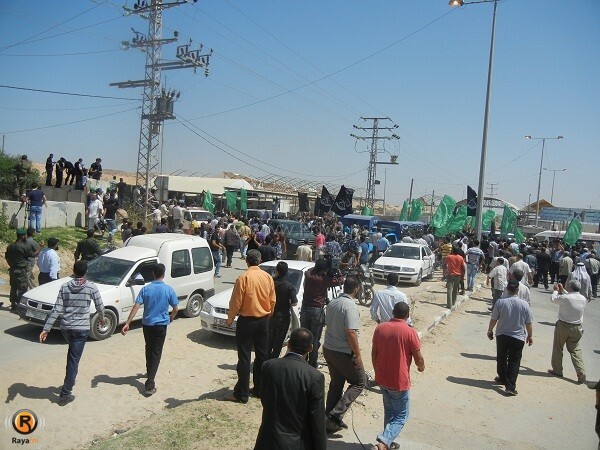 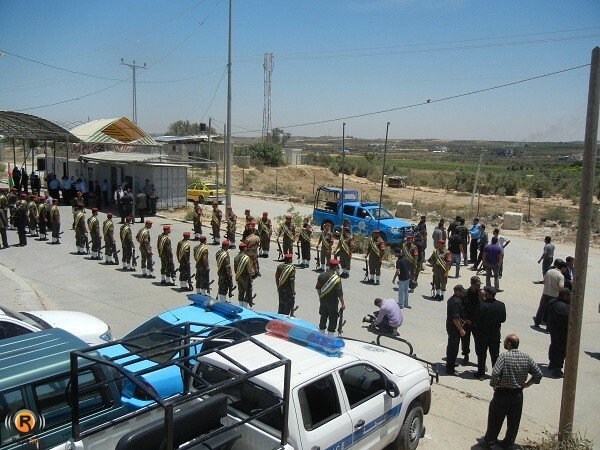 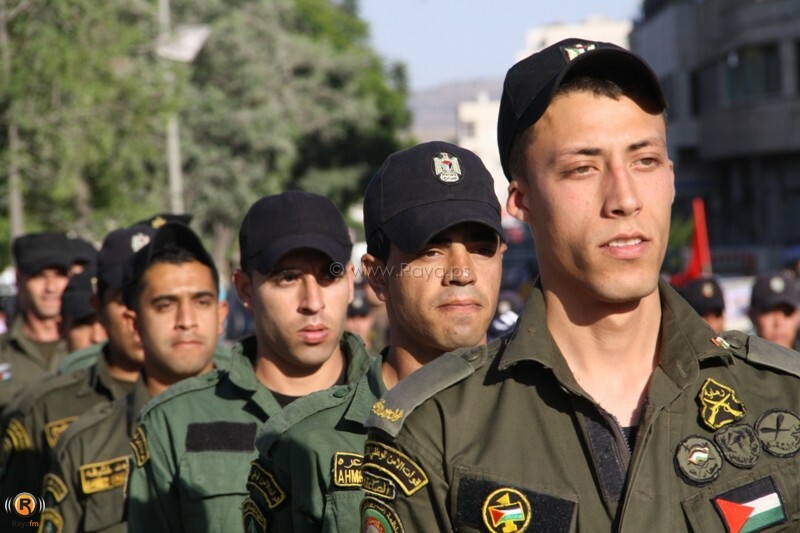 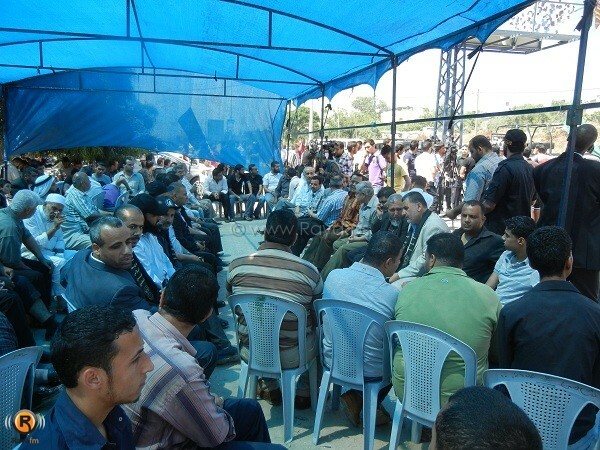 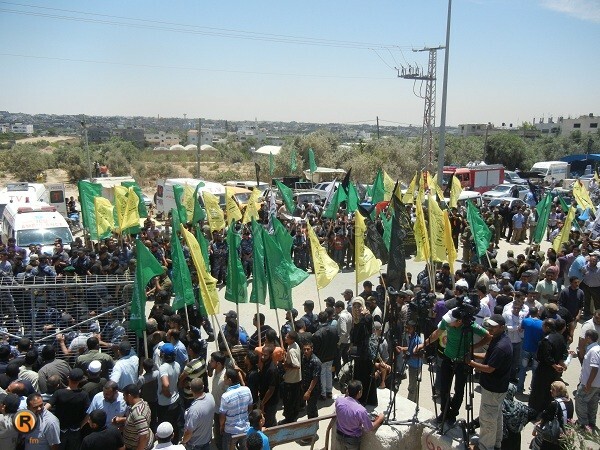 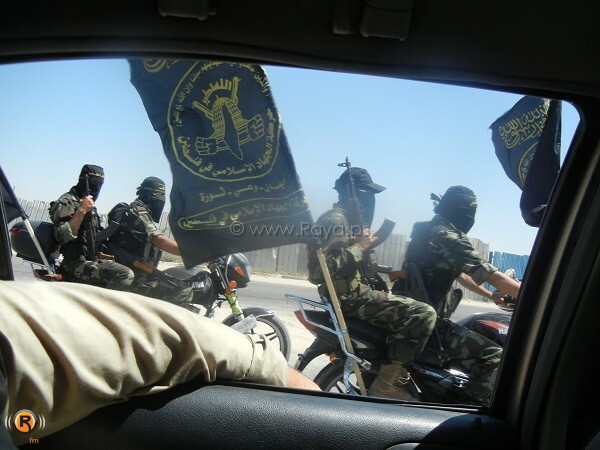 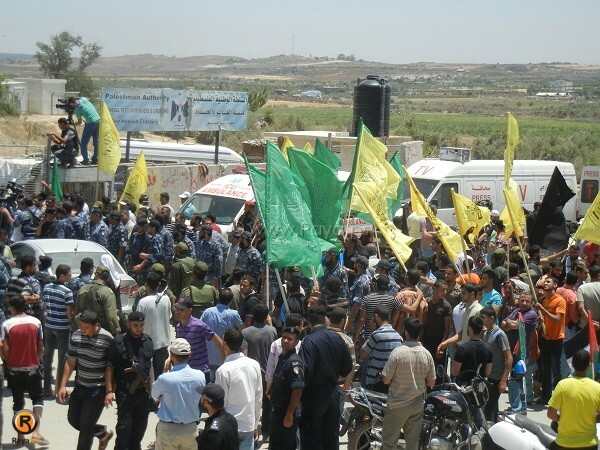 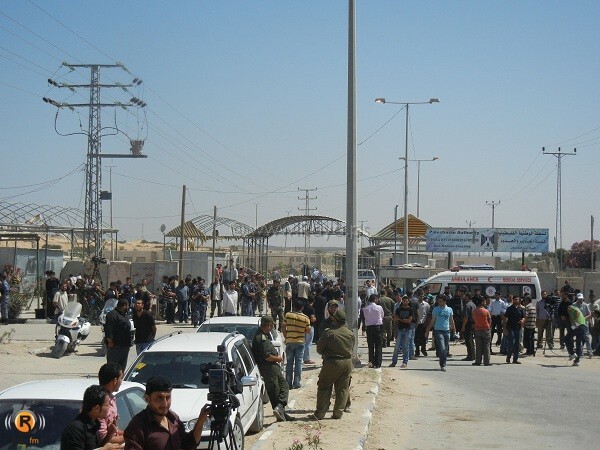 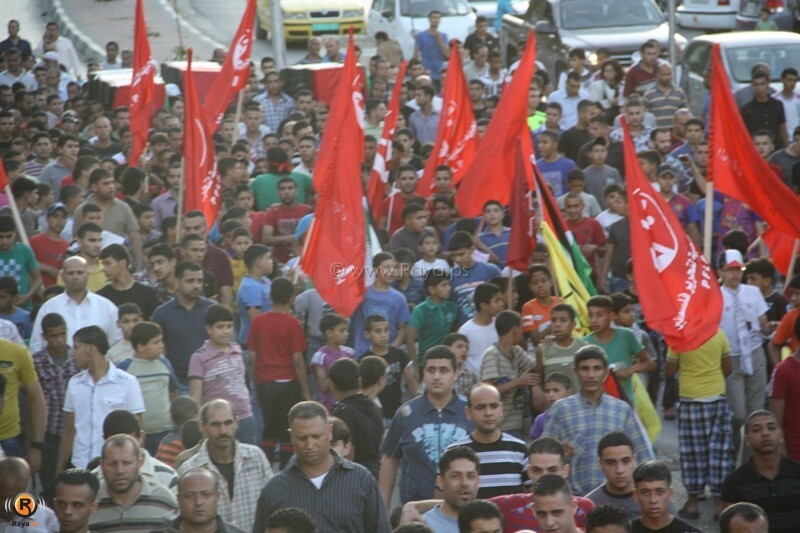 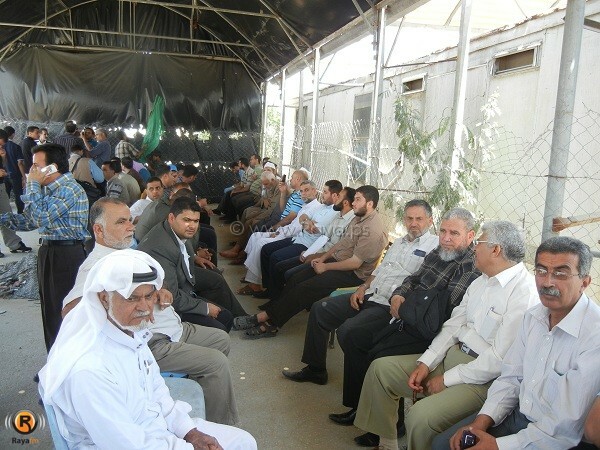 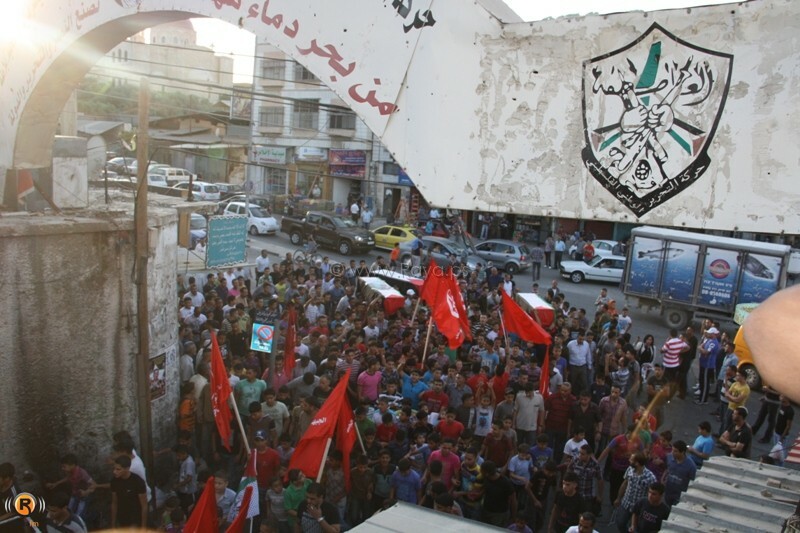 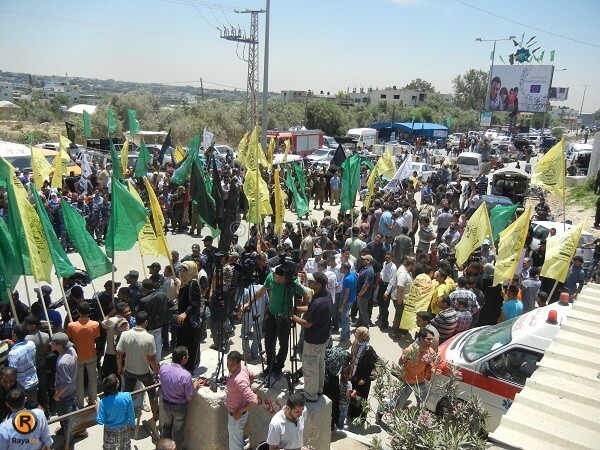 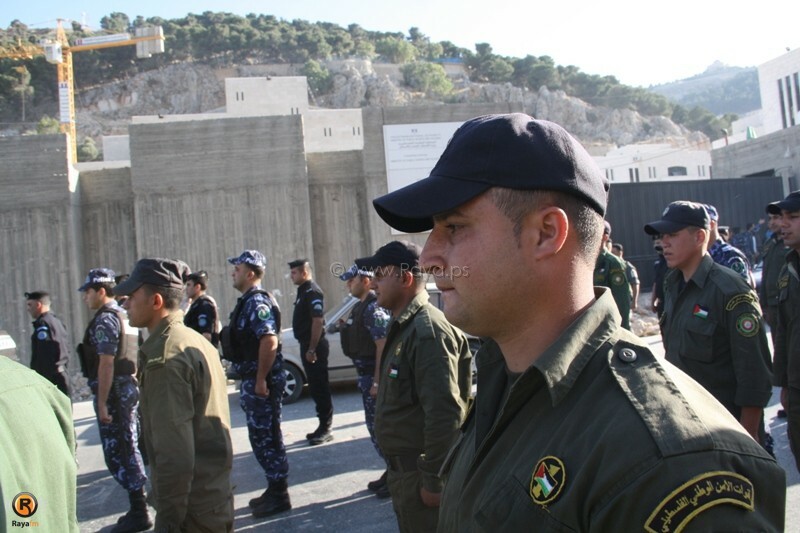 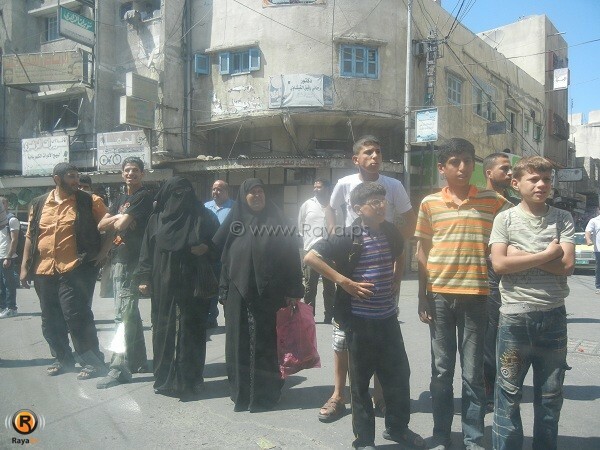 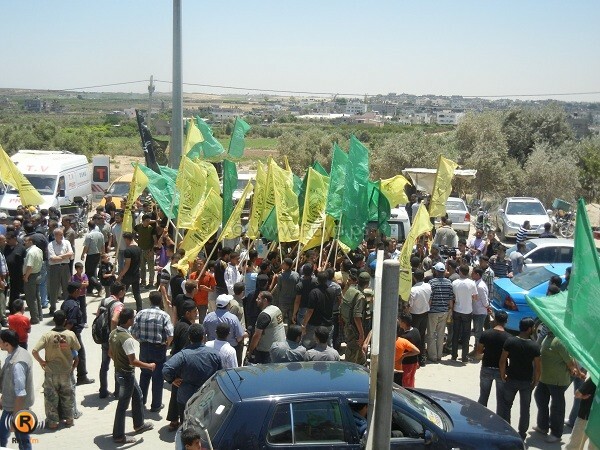 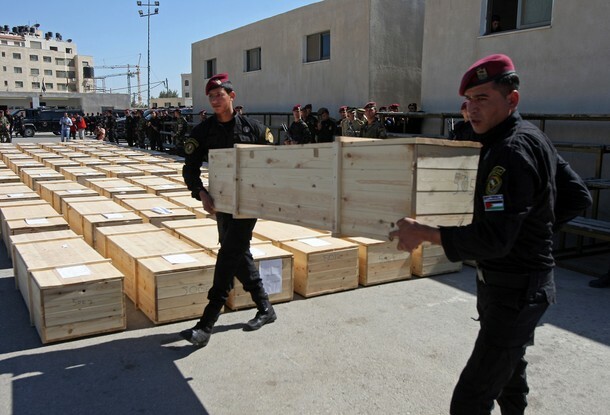 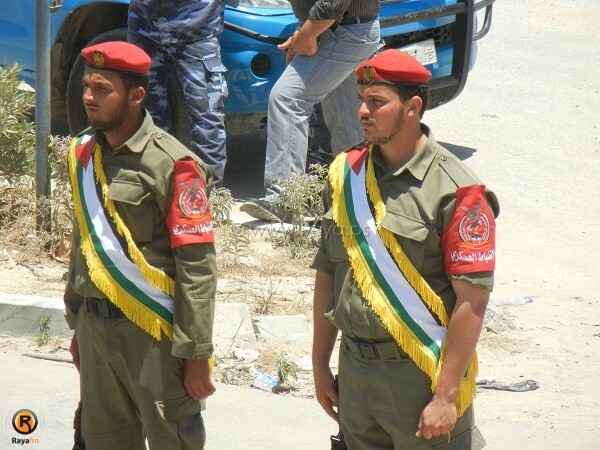 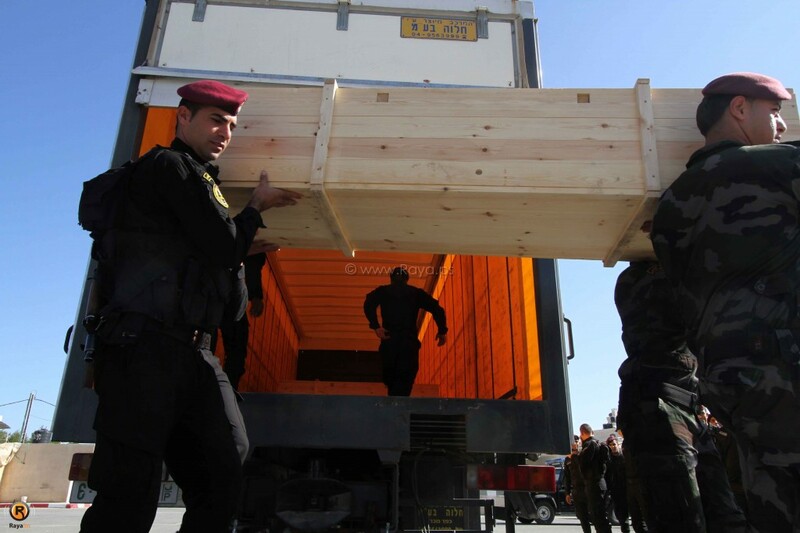 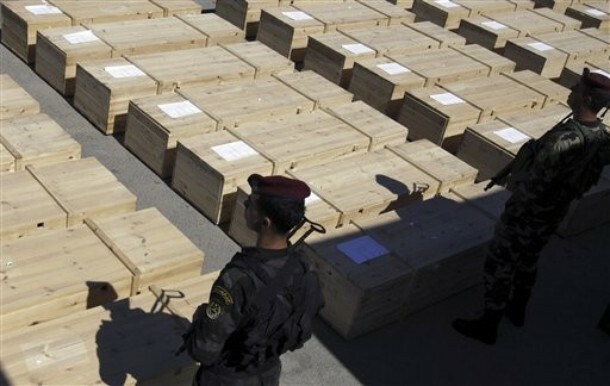 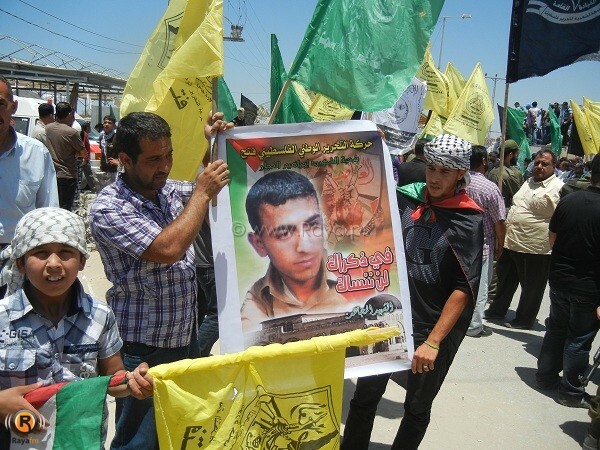 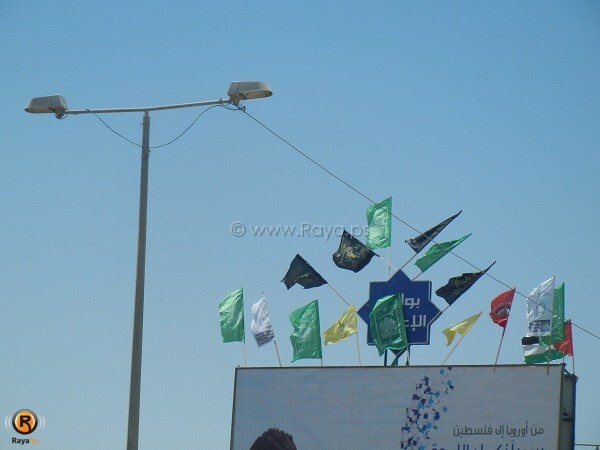 He added that the remains on 12 Palestinians are on their way to the Gaza Strip, while the remains of 79 Palestinians were handed to the Palestinian Authority in Ramallah, transported in Palestinian trucks, the Quds Net news agency reported. 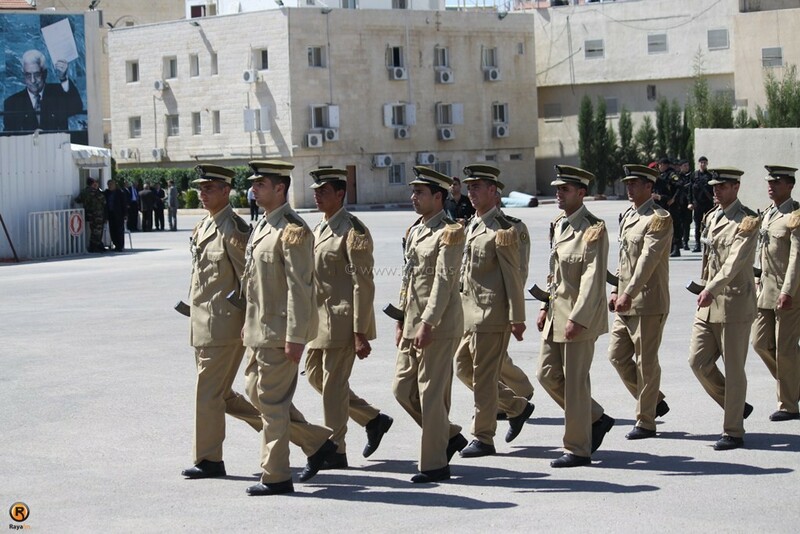 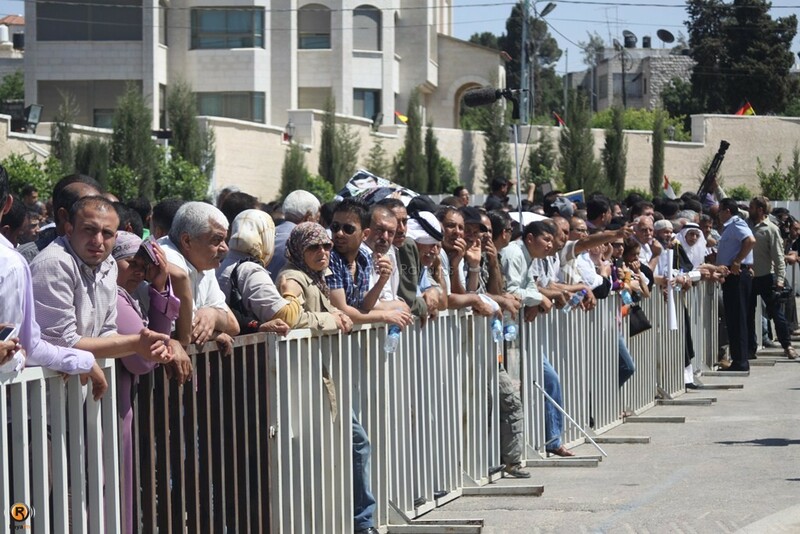 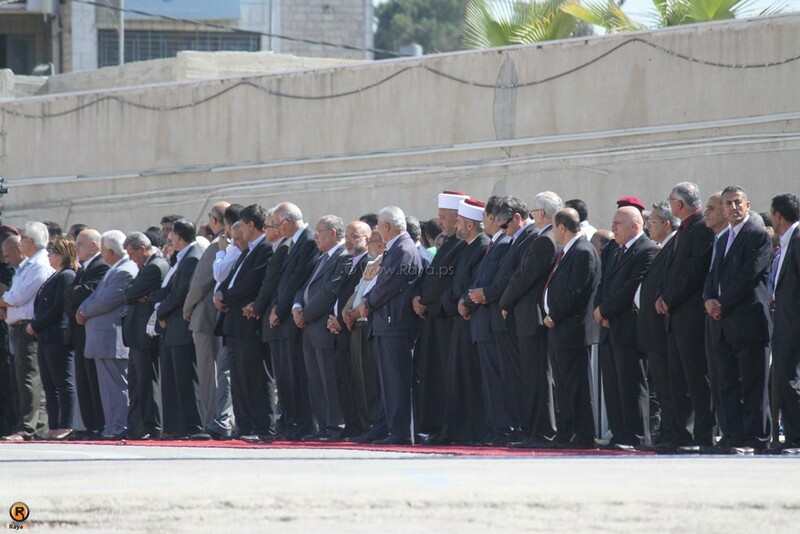 President Mahmoud Abbas, and several political, social and religious officials, in addition to the families of the slain Palestinians will participate in an official ceremony honoring the fallen Palestinians. 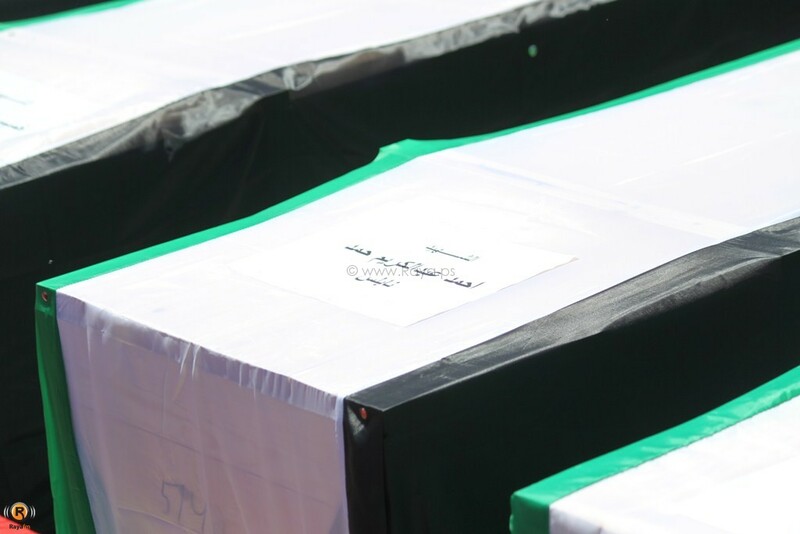 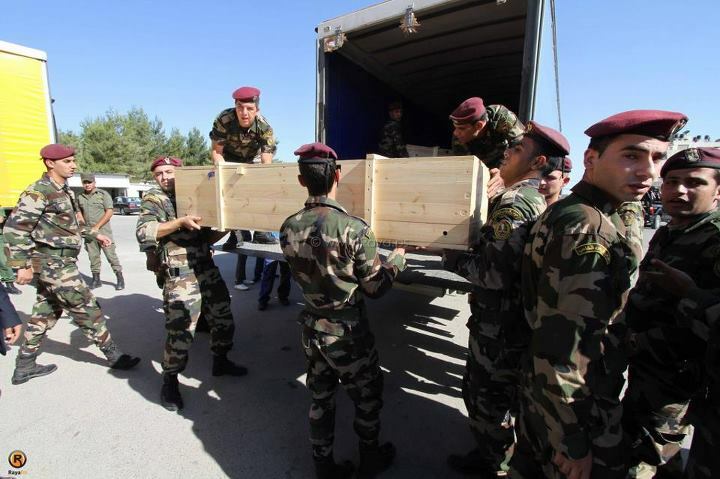 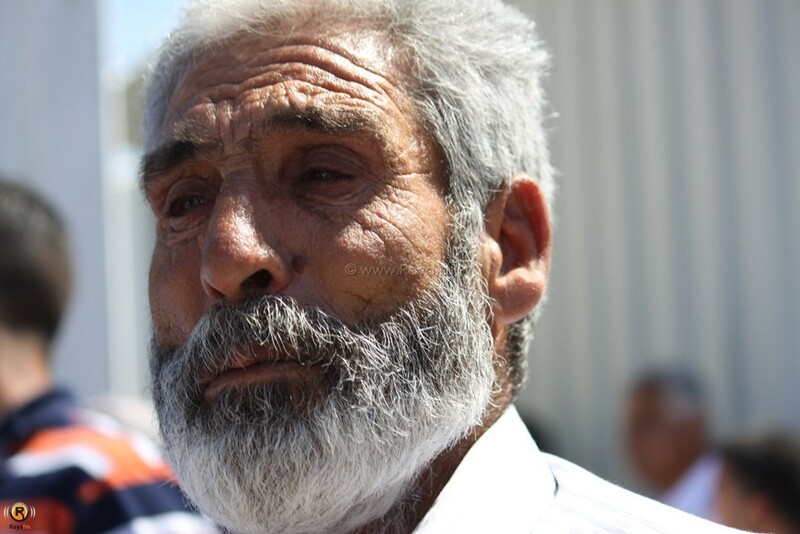 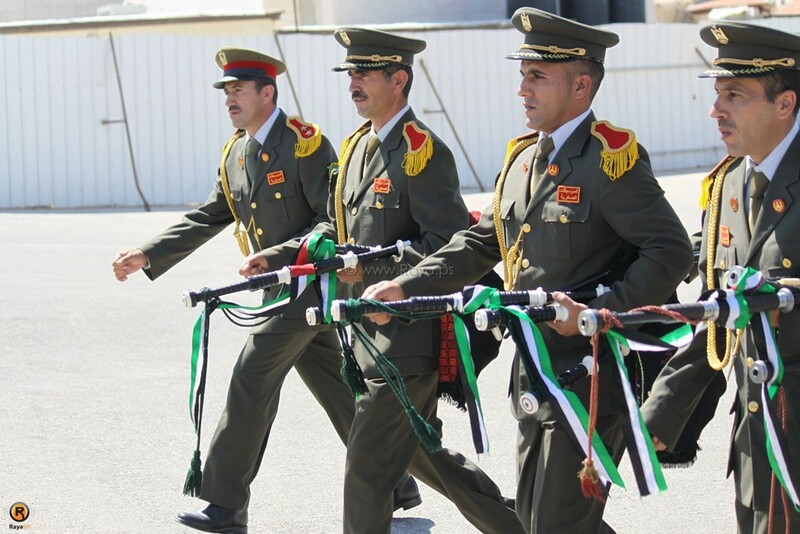 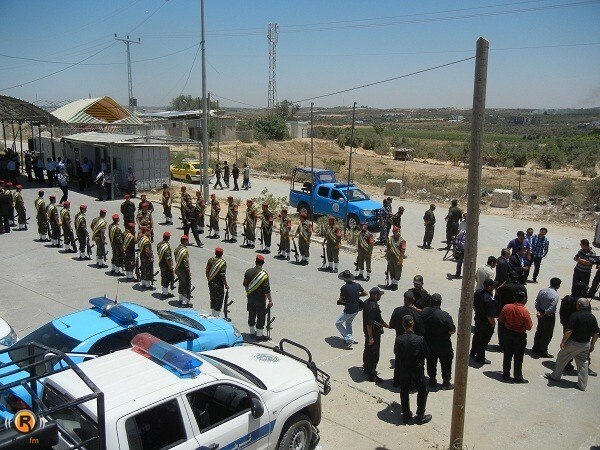 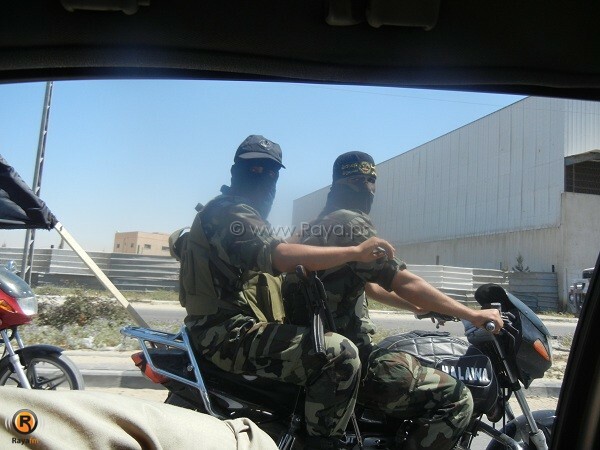 Ash-Sheikh stated that the first phase of receiving the remains has officially been concluded, and that preparations are underway as Israel will be handing the remains of dozens of fighters at a later stage. 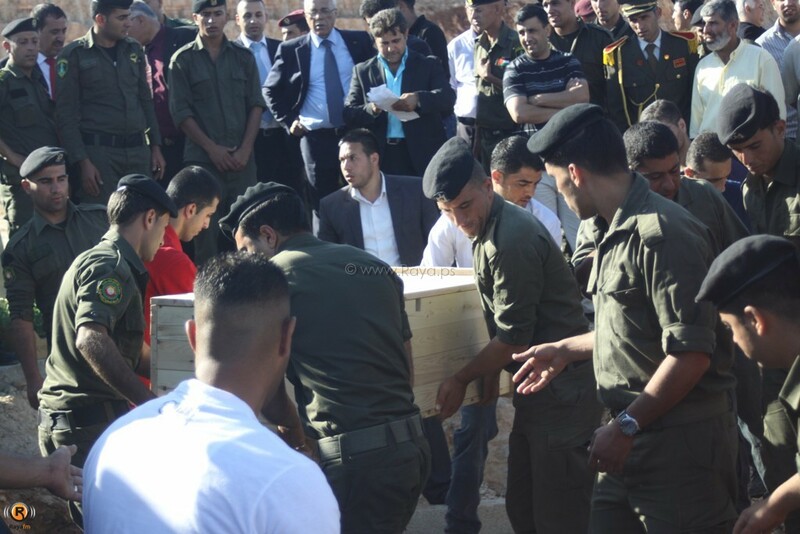 The official said that the remains will all be examined, including DNA analysis, in order to officially identify the them before handing them to their families. 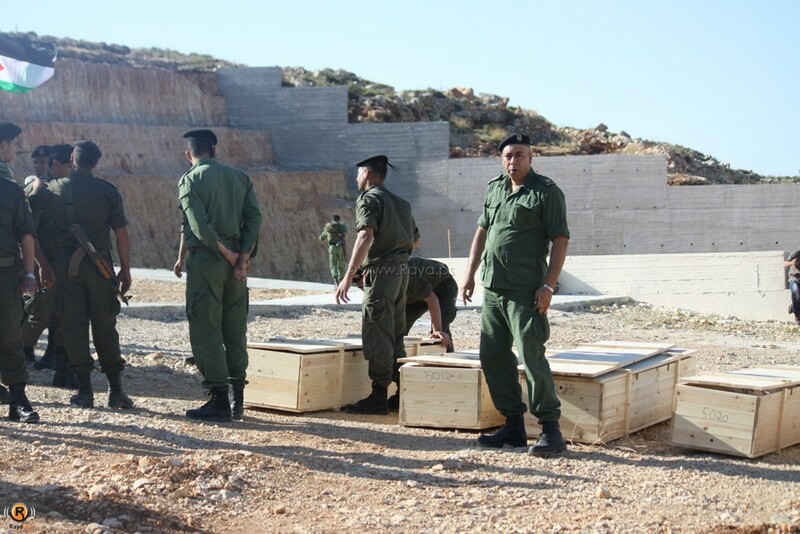 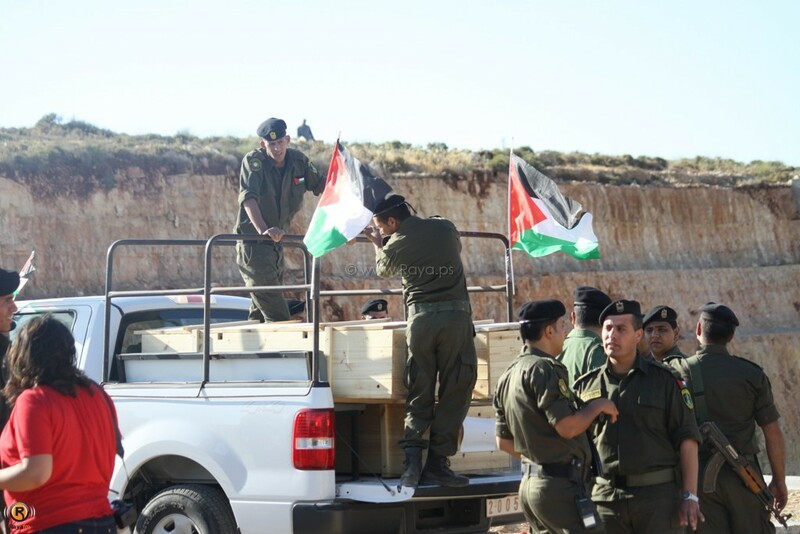 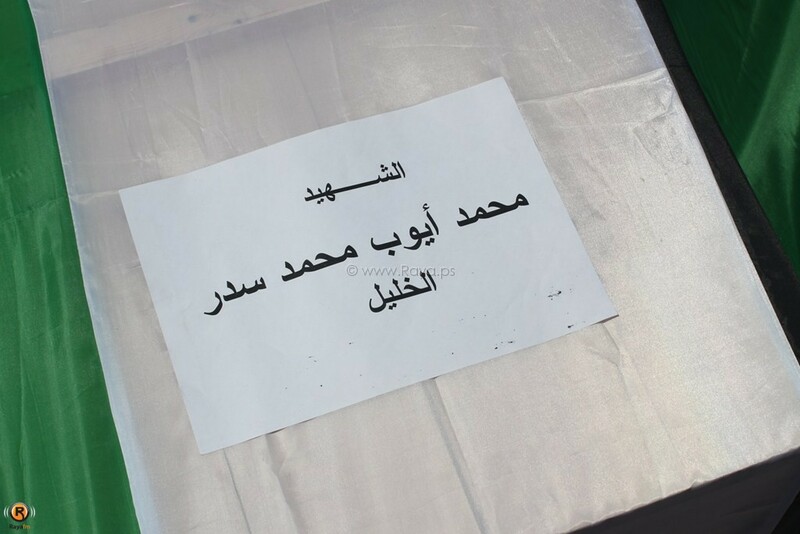 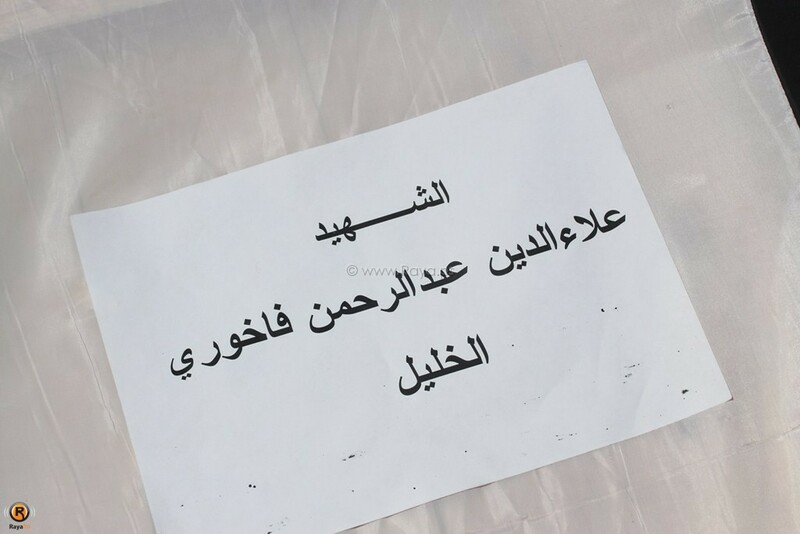 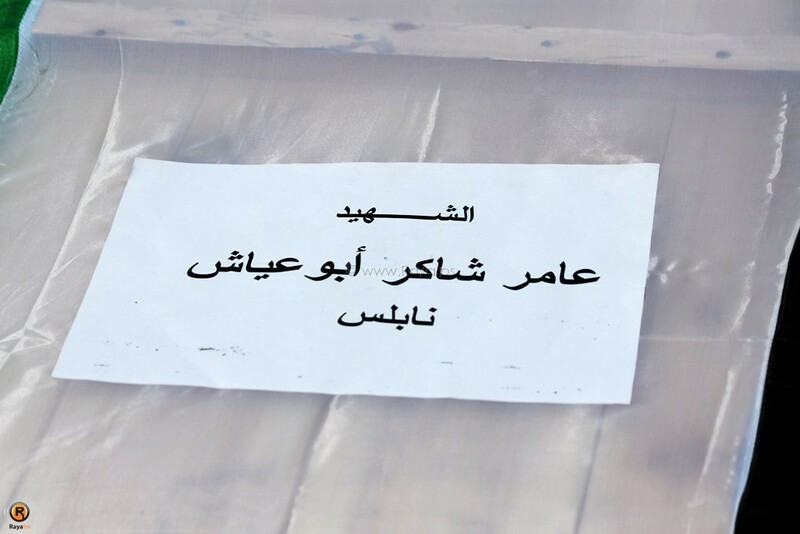 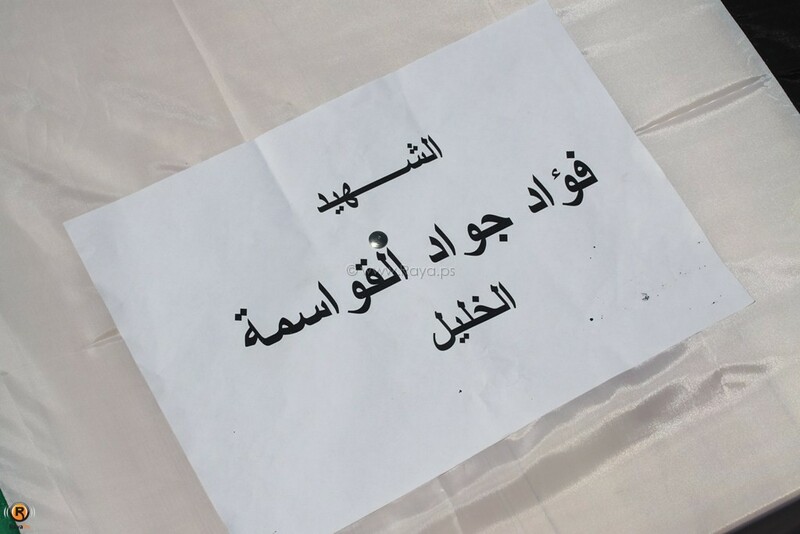 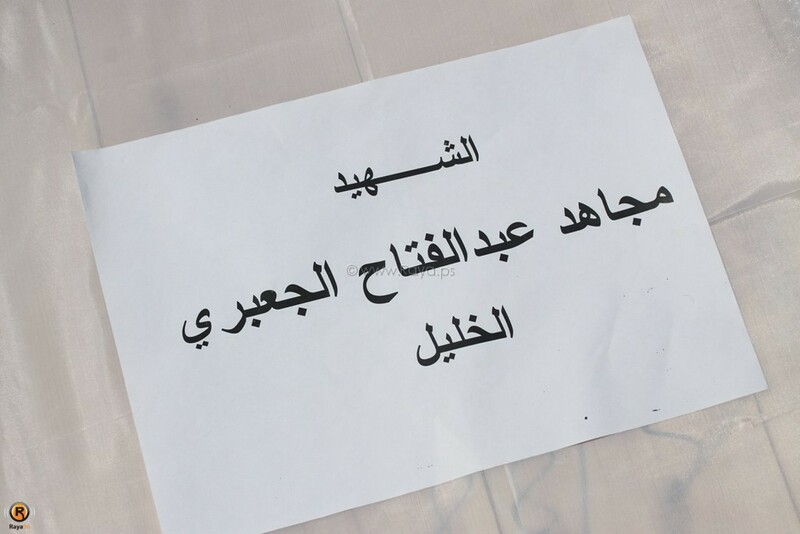 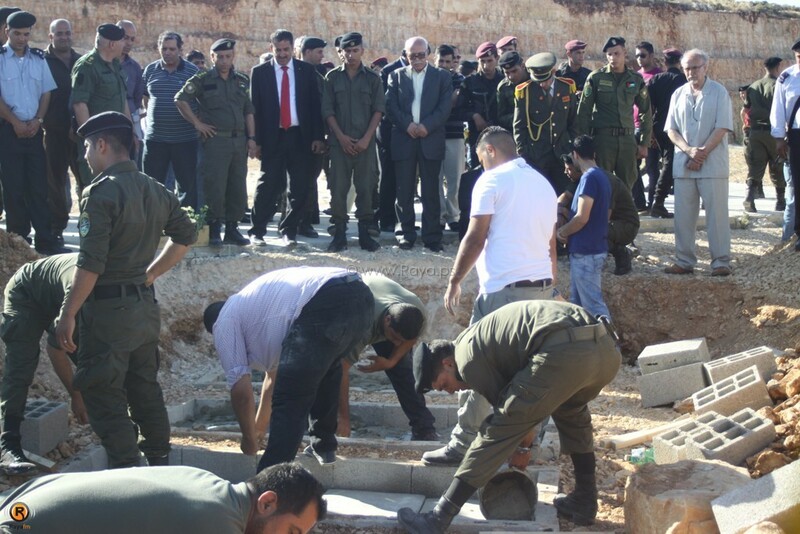 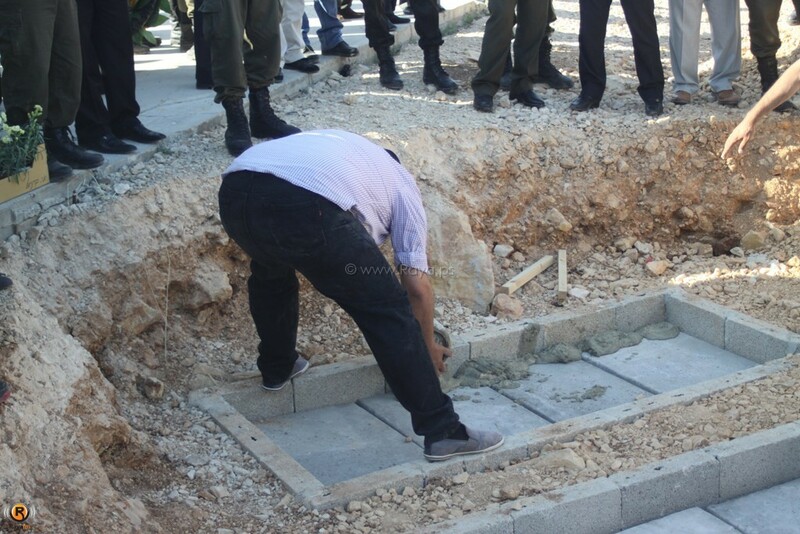 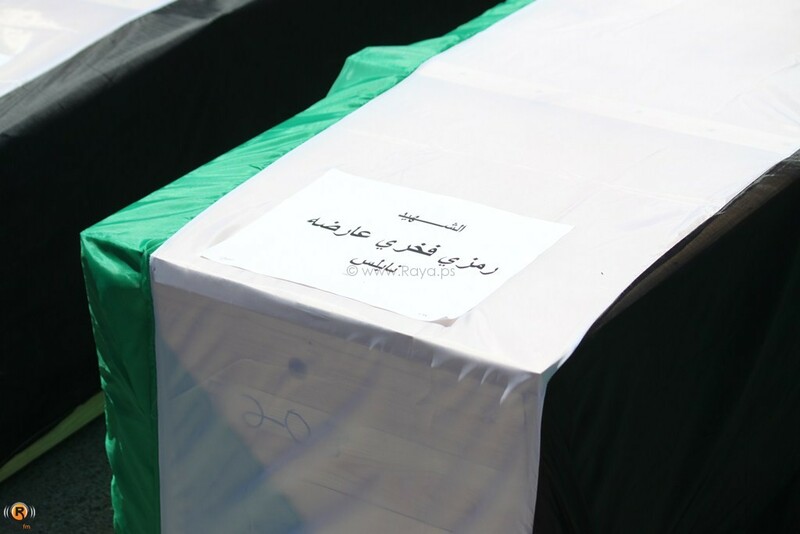 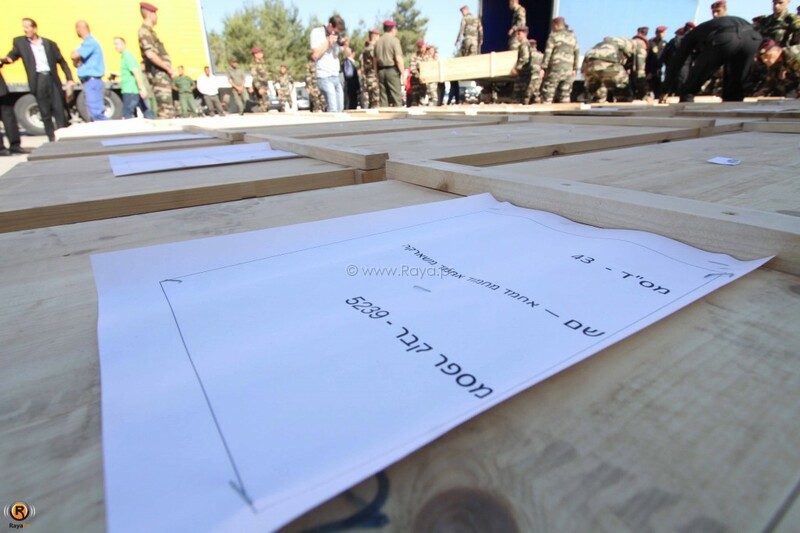 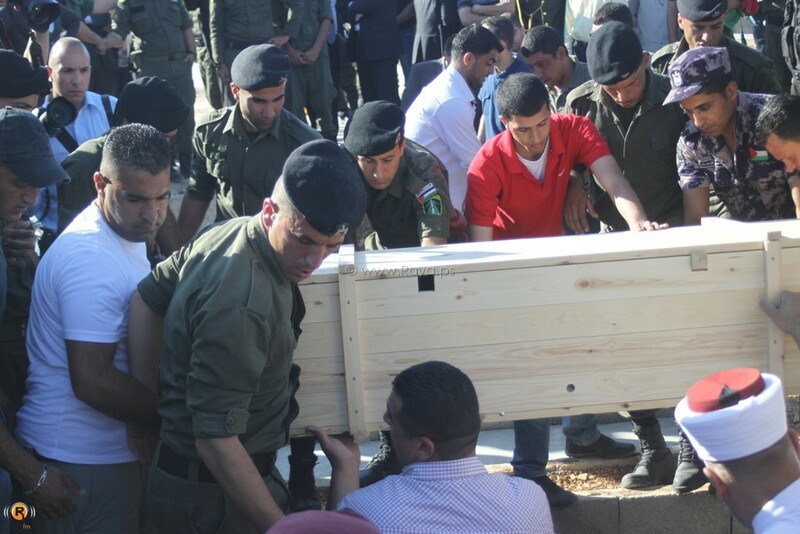 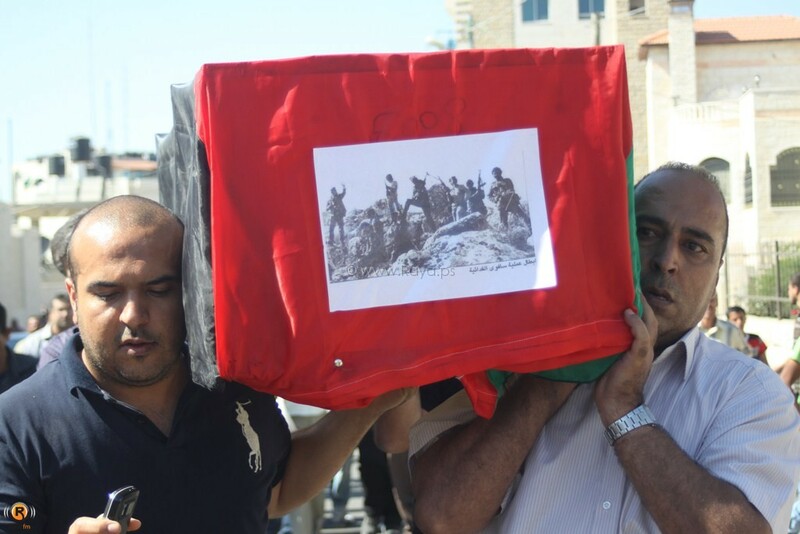 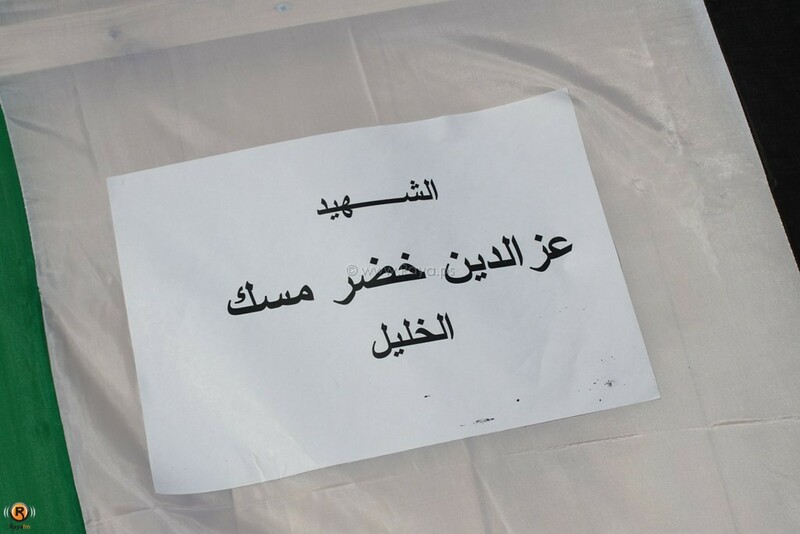 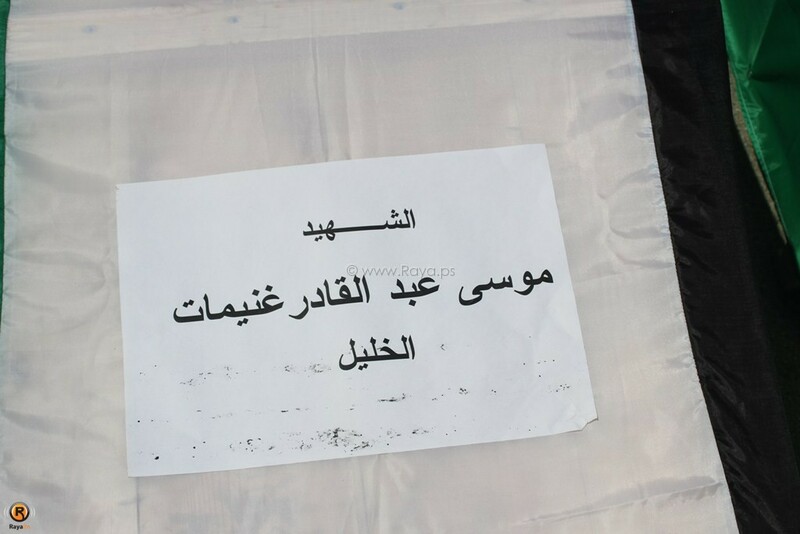 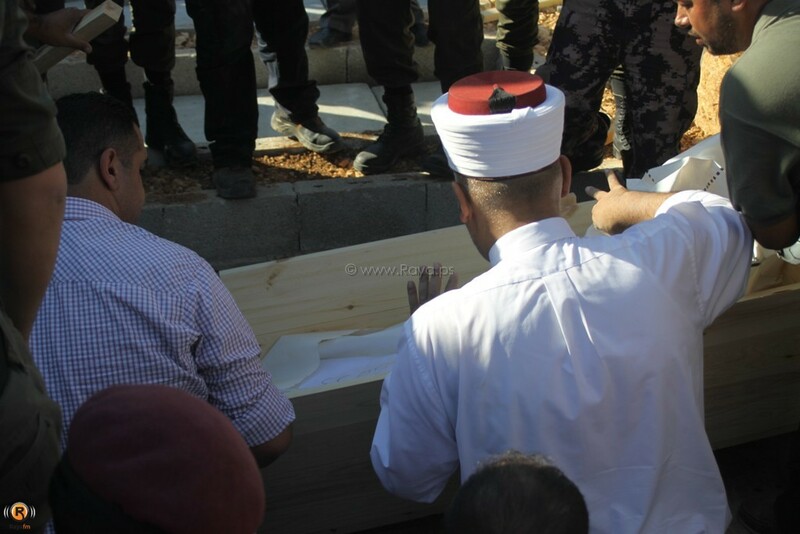 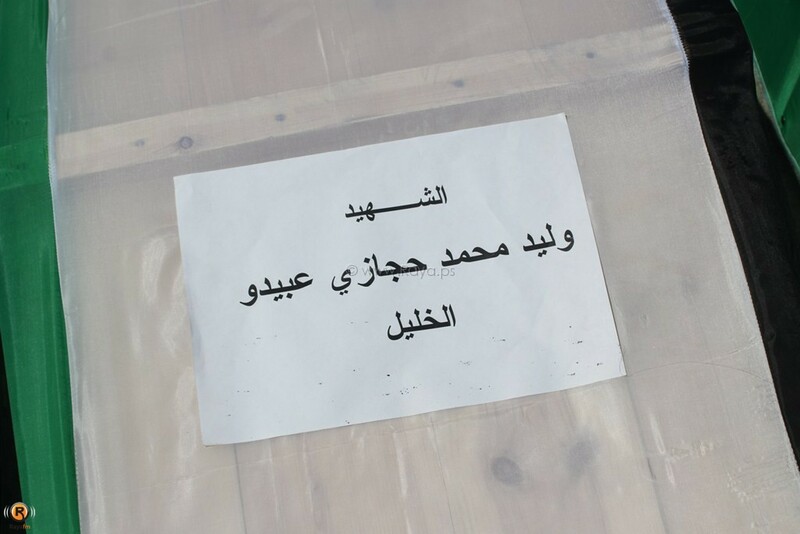 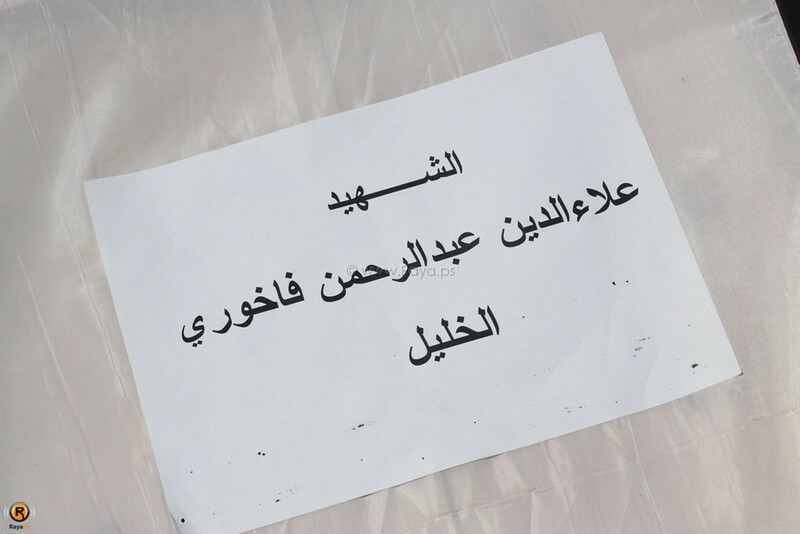 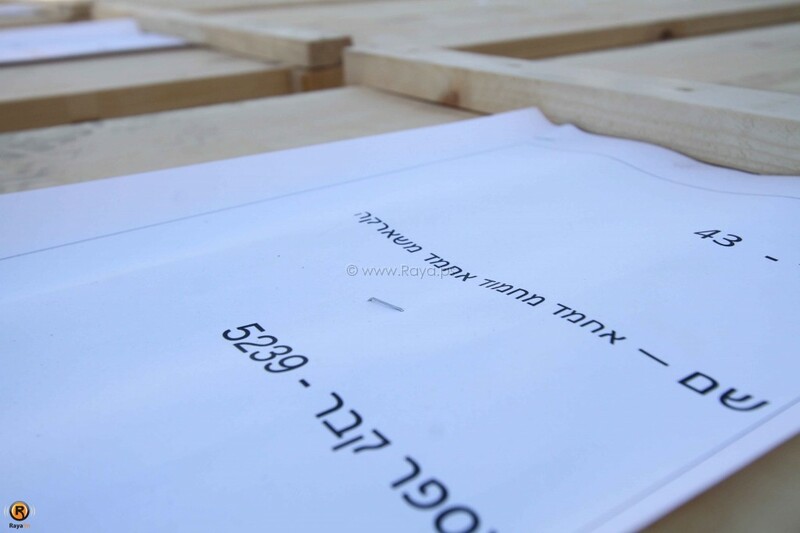 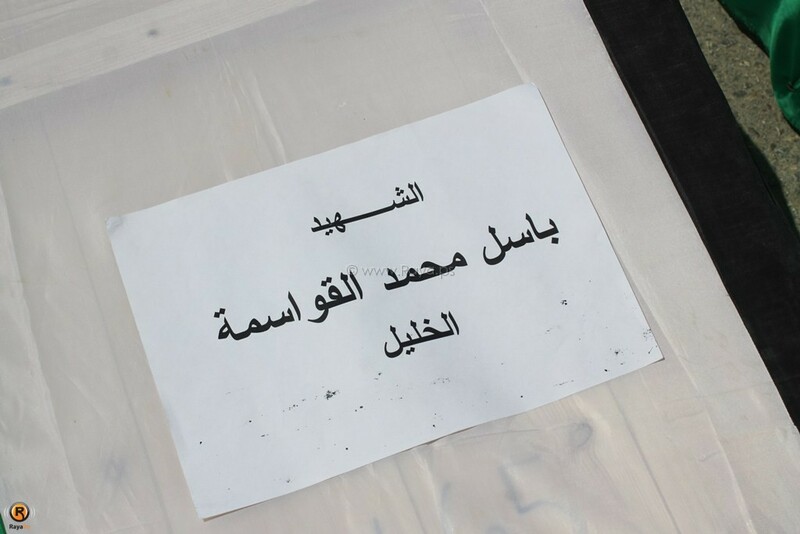 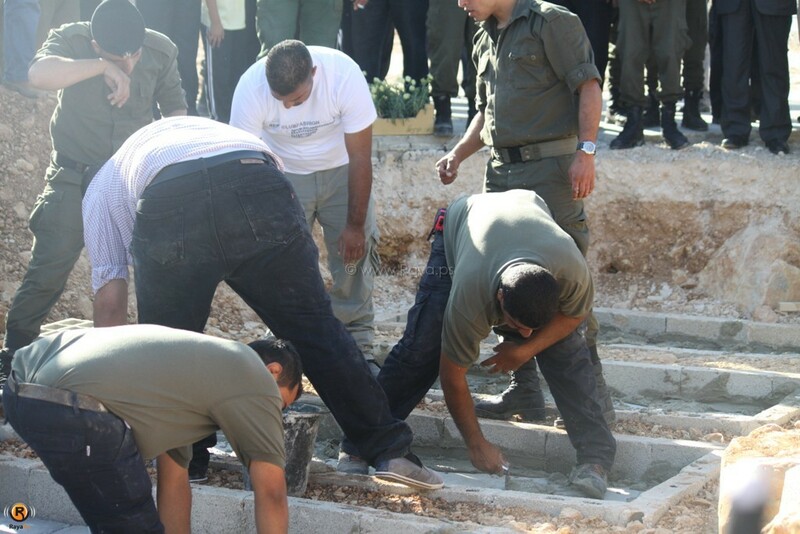 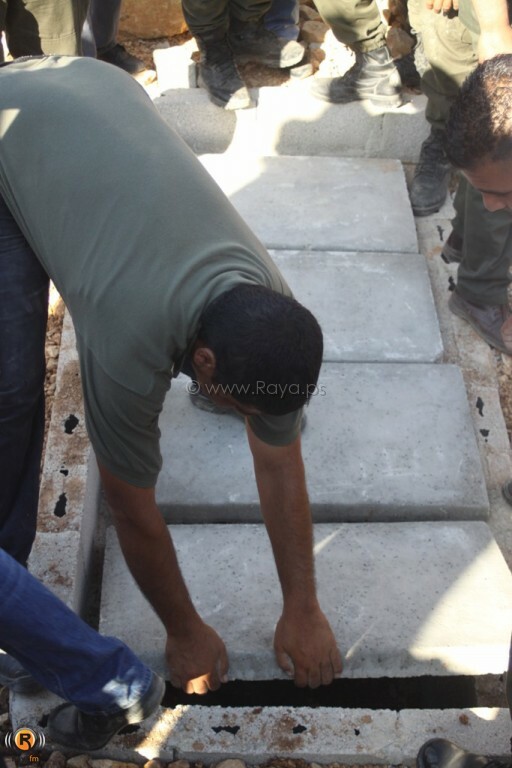 Israel buried the remains of fallen Palestinian, Lebanese and Arab fighters in a graveyards it calls “The Numbers Graveyard” referring to a large number of bodies buried nameless with a number attached to each grave. 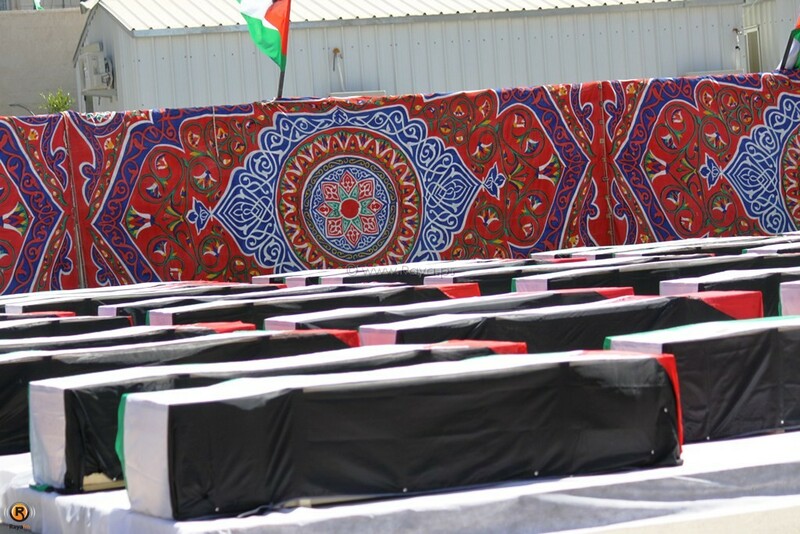 Dozens, if not hundreds of Palestinians, Egyptian soldiers and other Arab fighters, in addition to detainees who died in Israel prisons are buried in these graveyards. 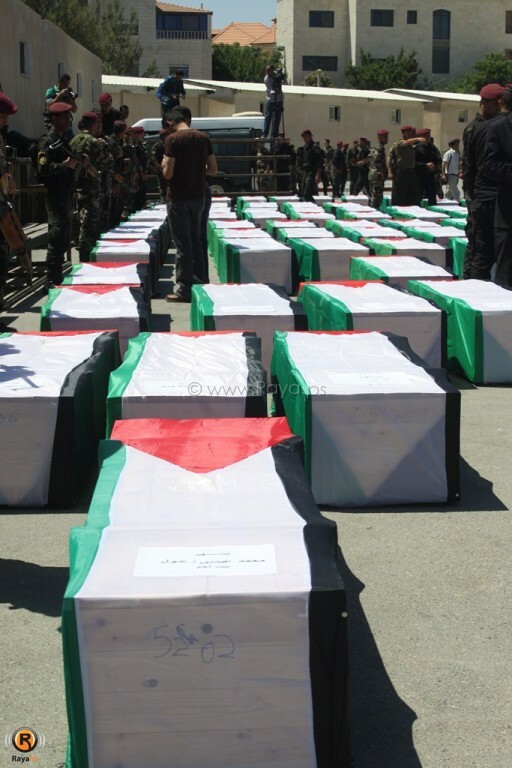 Each body buried in these graveyards is given a unique number that corresponds to a security file in Israeli military databases. 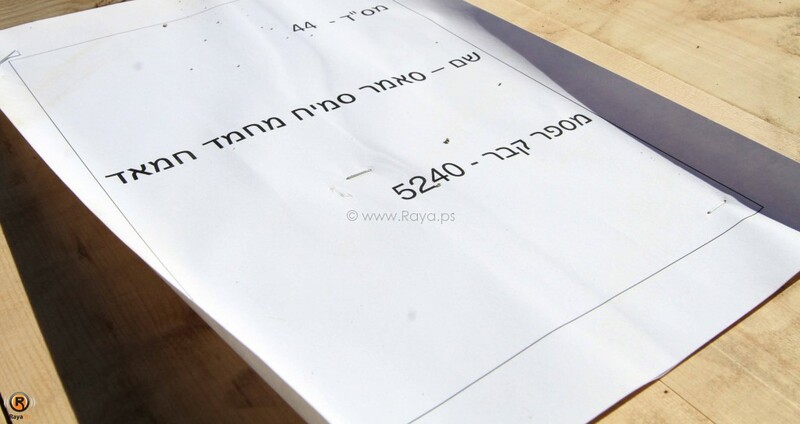 Numbers Graveyard – close to Jacobs’ Daughters Bridge, Jordan River area; the graveyard contains that the remains of more than 500 Palestinians killed during the first Israeli-Lebanon war. 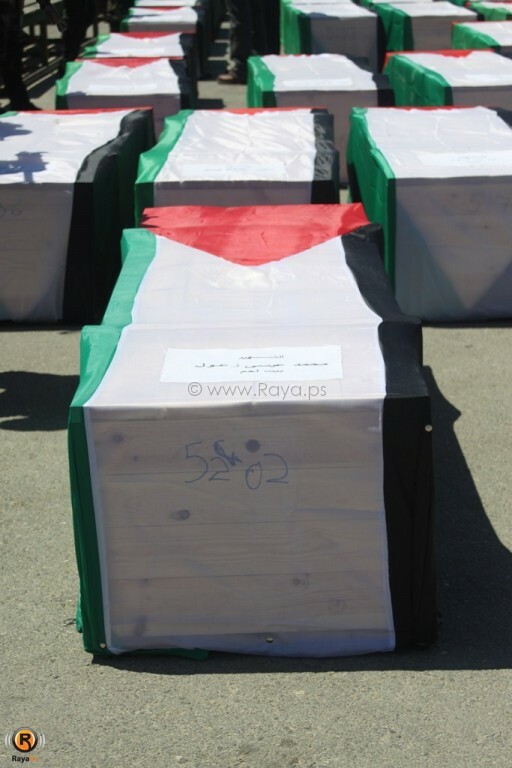 Numbers Graveyard – In the Jordan valley between Jericho and Damia Bridge; Jordan River; it contains the bodies of more than 100 persons. 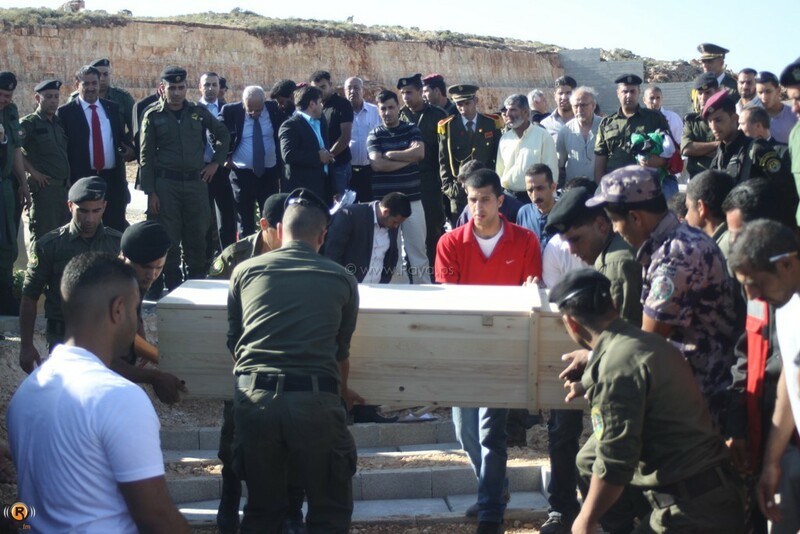 Rafdeem Graveyard, in the Jordan Valley area. 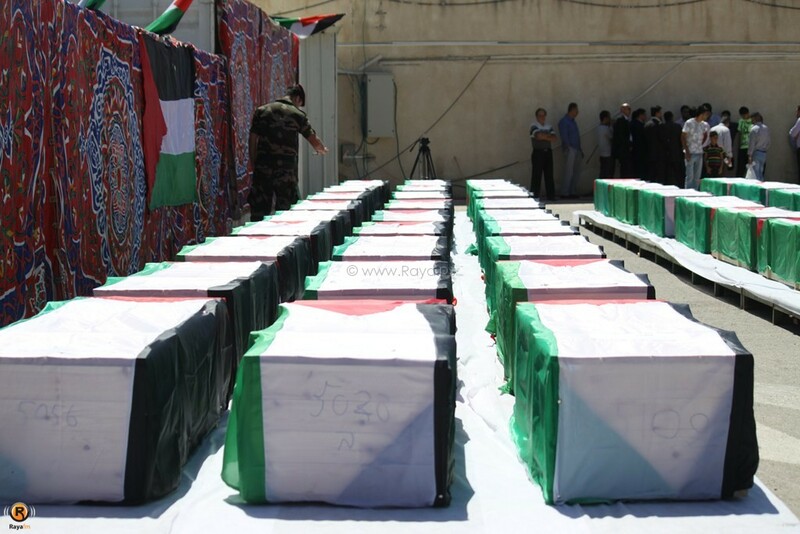 Numbers Graveyard, north of Tiberius, next to Wadi Al-Hamam village; it contains the remains of more than 50 persons. 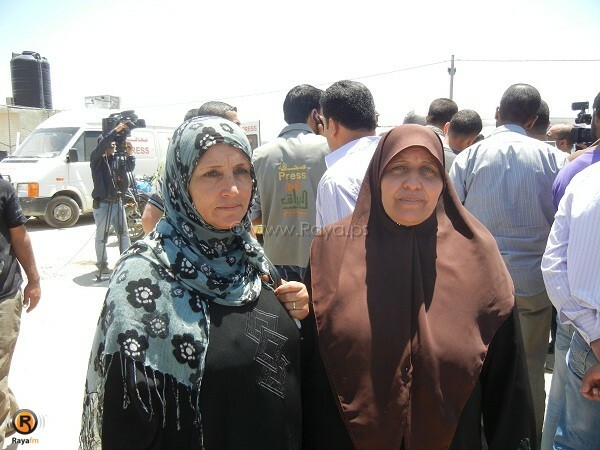 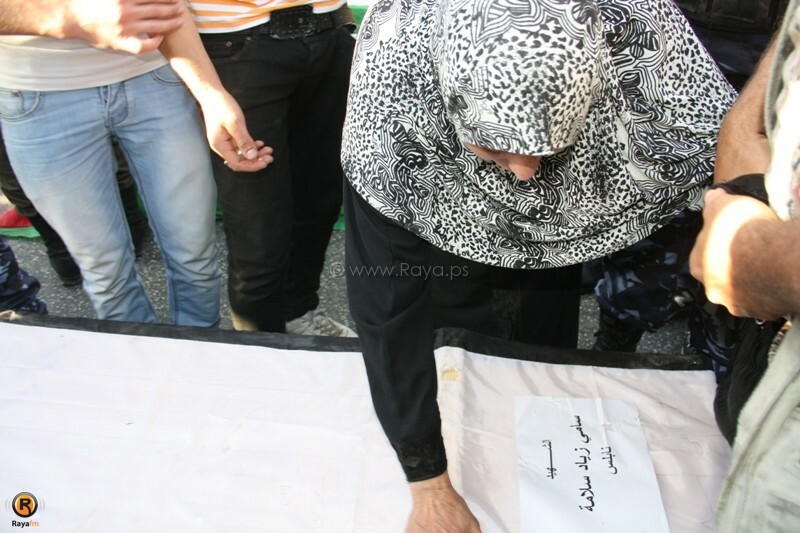 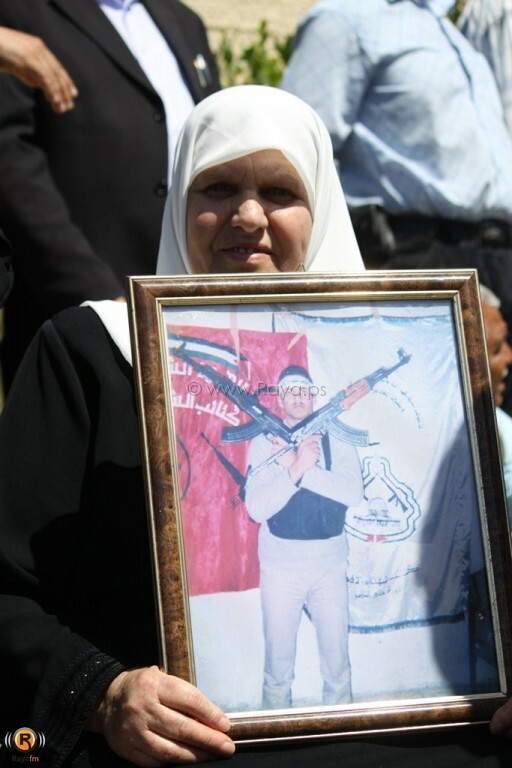 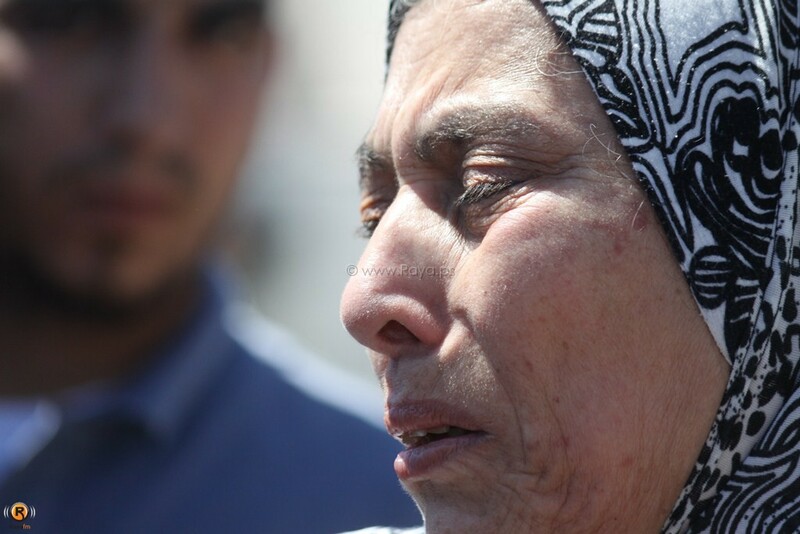 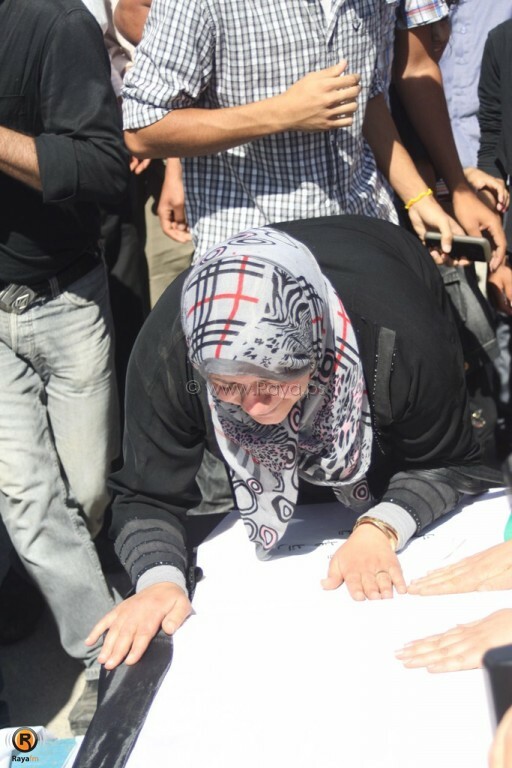 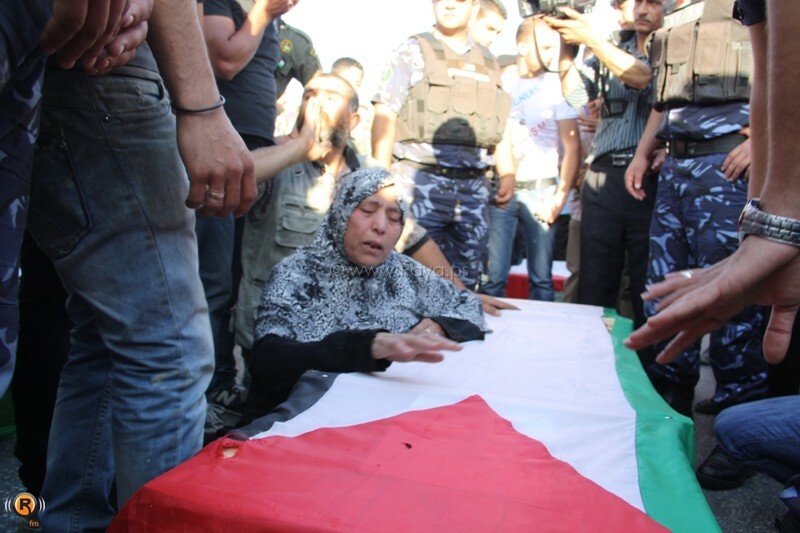 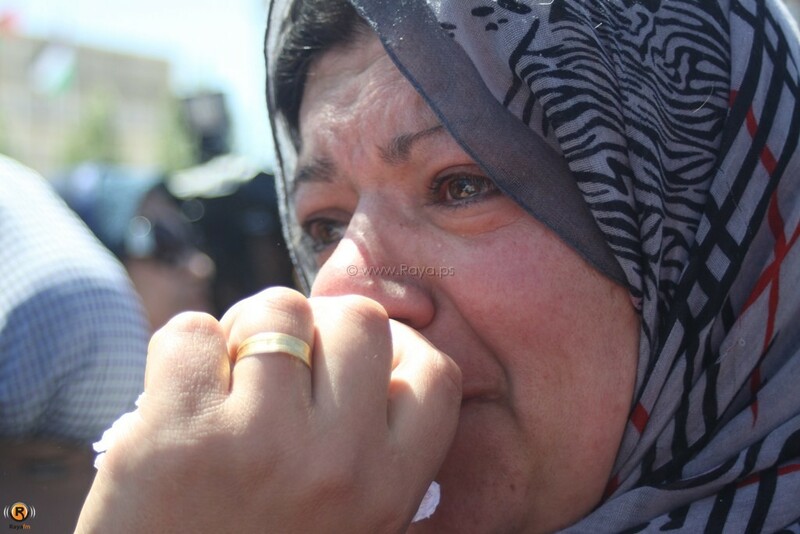 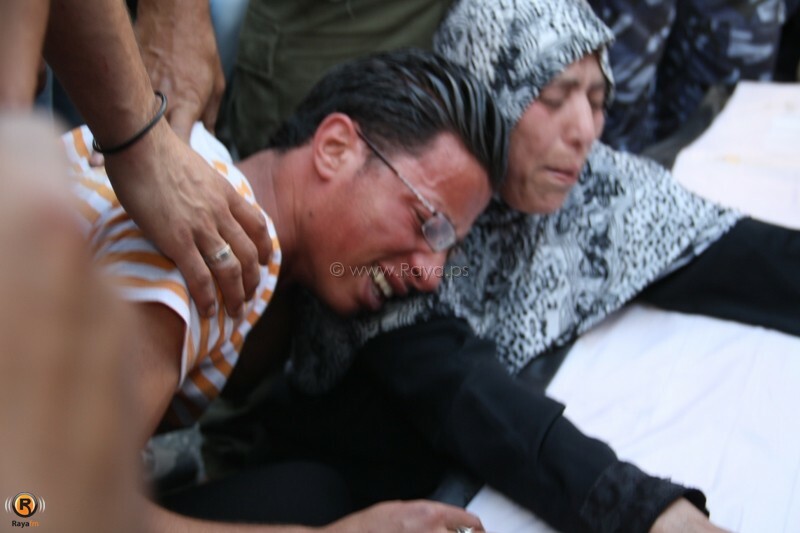 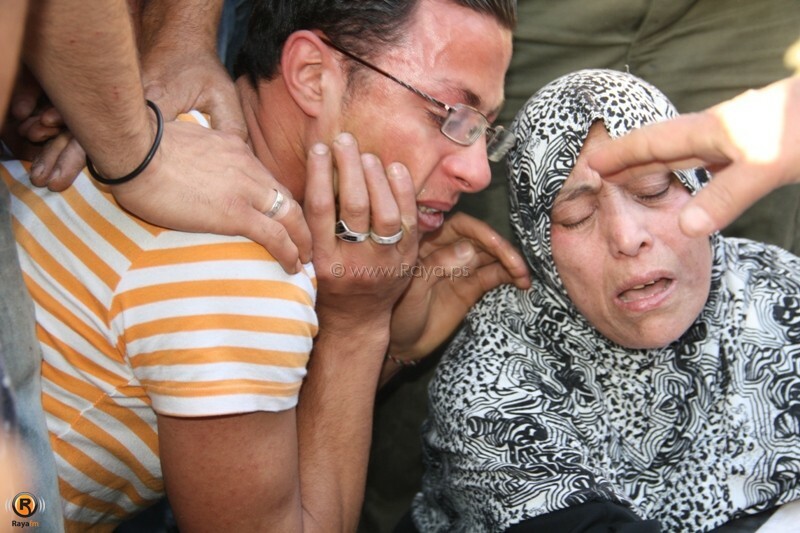 The mother of Palestinian resistance fighter Samer Hammad, a member of the armed wing of Islamic Jihad (AP Photo/Mohammed Ballas). 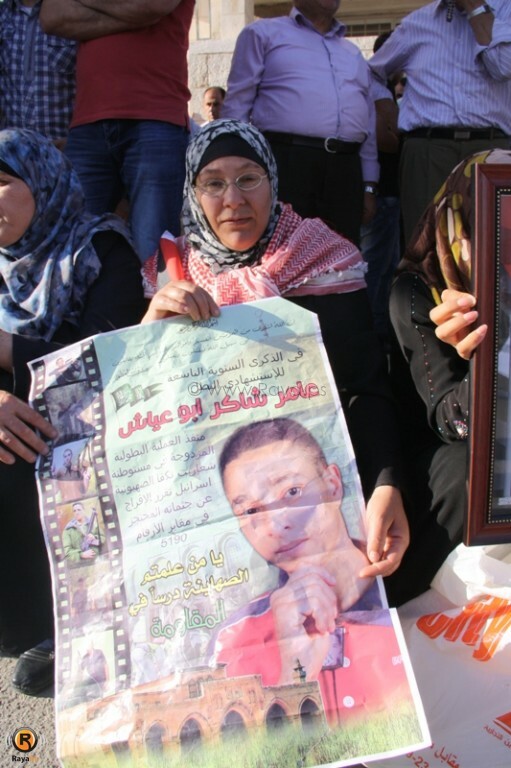 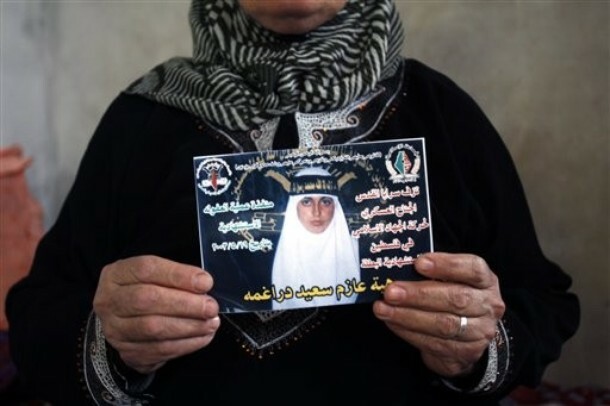 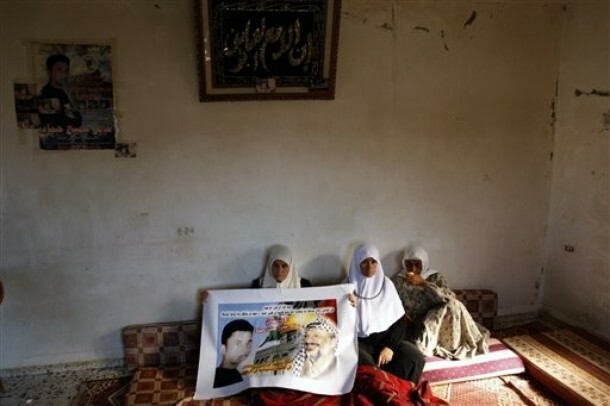 Palestinian Fatemah Daragmeh holds a poster of her daughter, Resistance fighter Hebah Daragmeh, a member of the armed wing of Islamic Jihad (AP Photo/Mohammed Ballas). 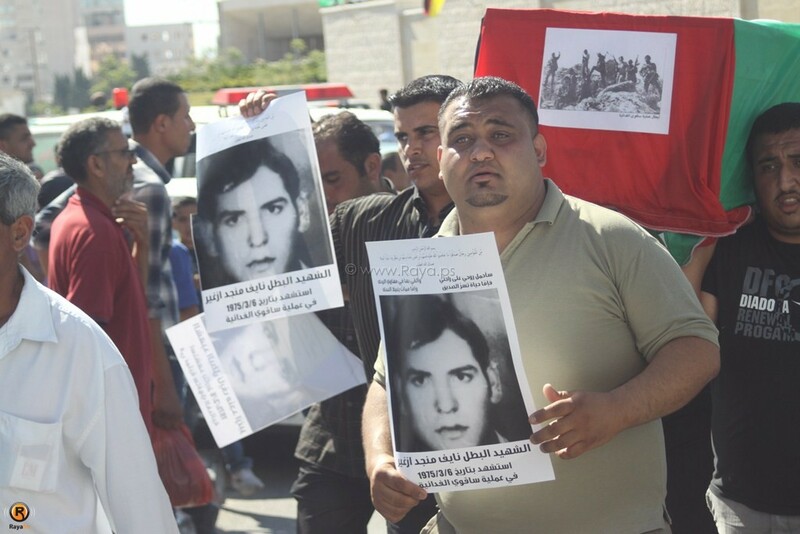 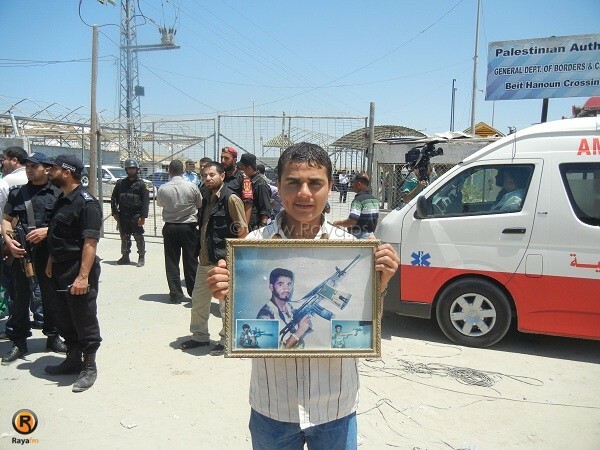 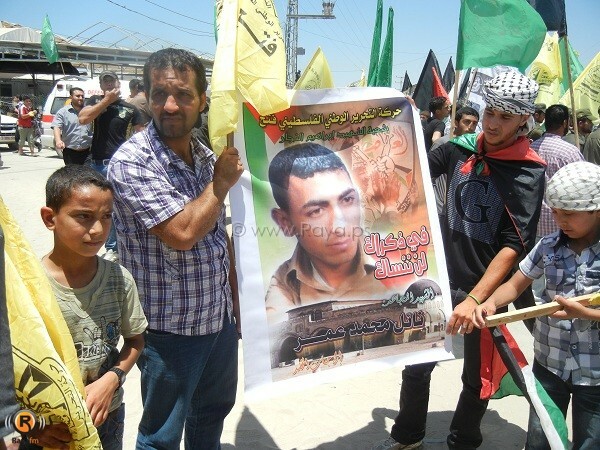 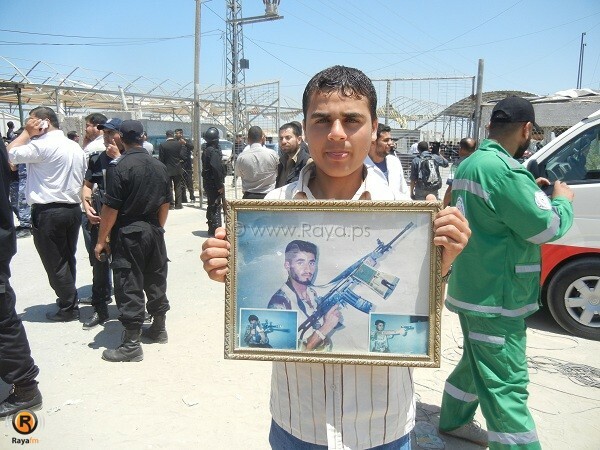 A man holds a poster of Palestinian resistance fighter Hebah Daragmeh, a member of the armed wing of Islamic Jihad (AP Photo/Mohammed Ballas). 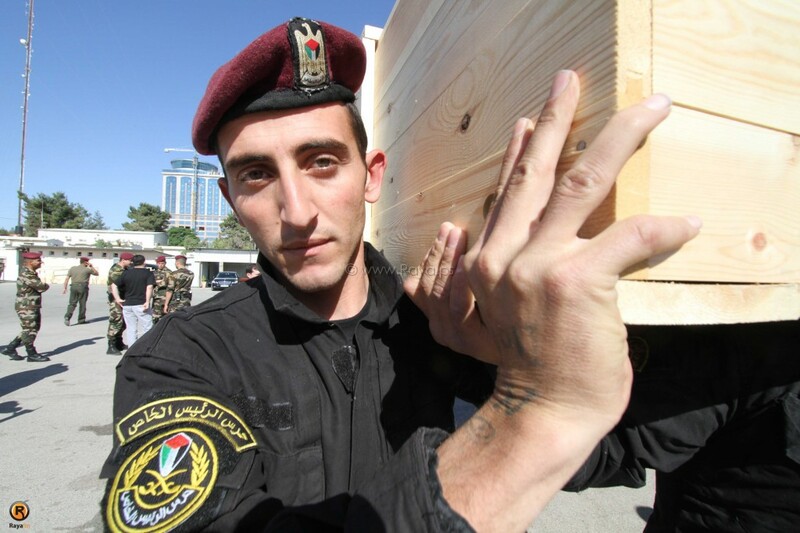 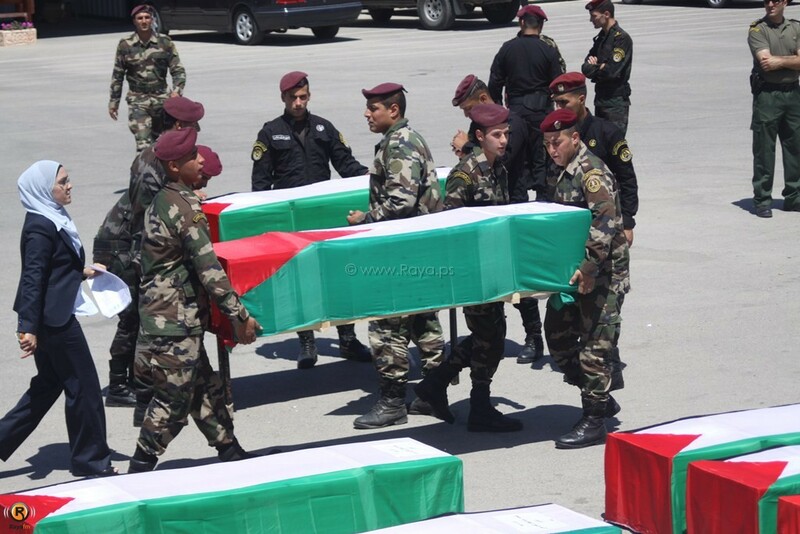 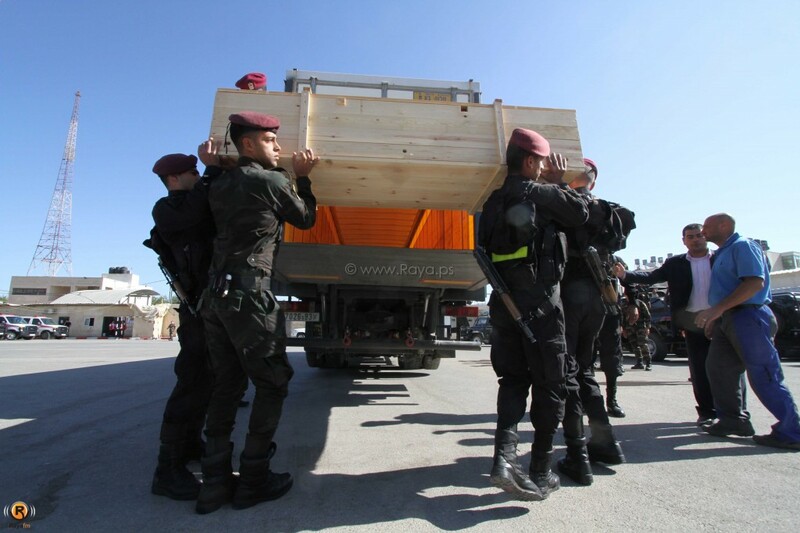 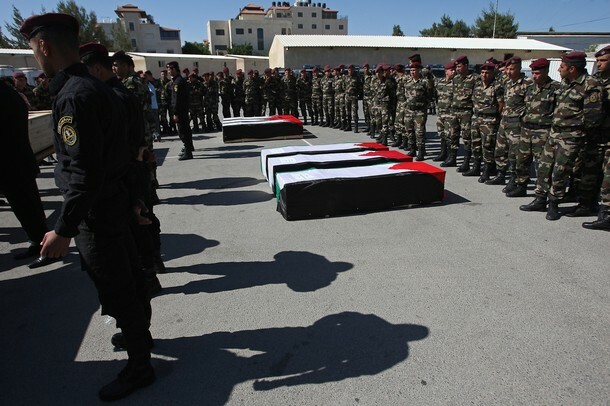 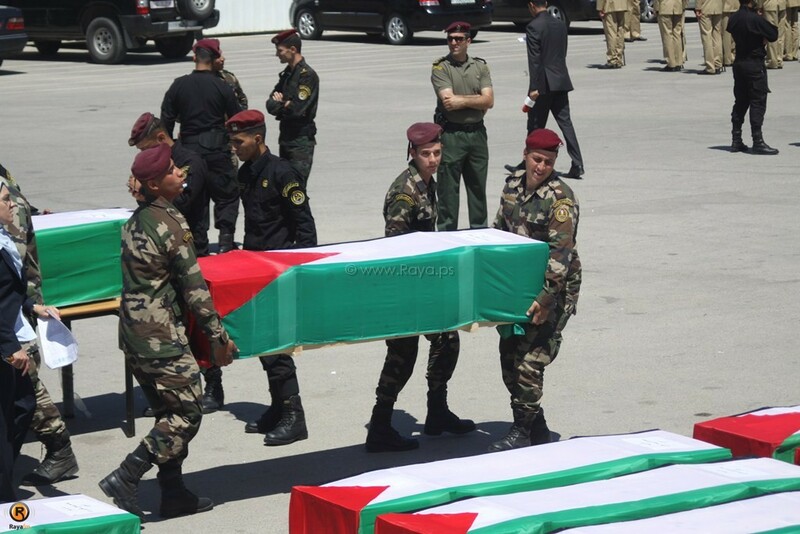 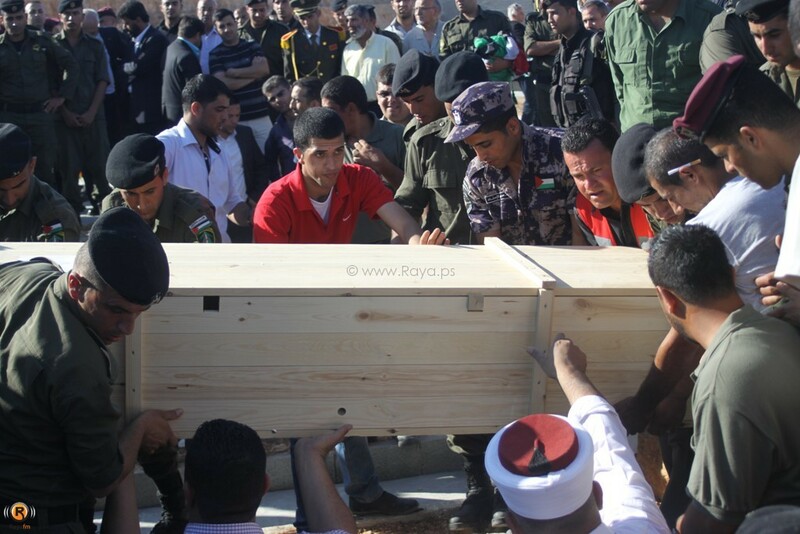 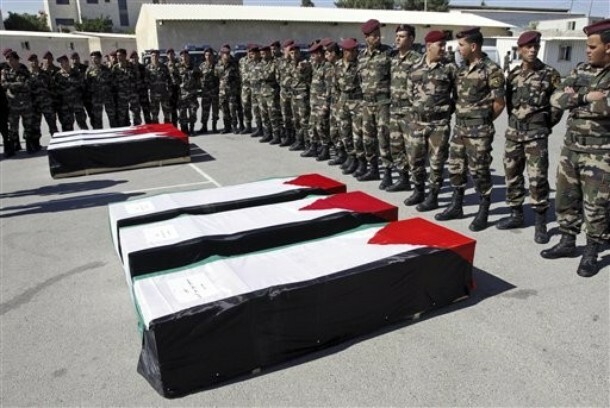 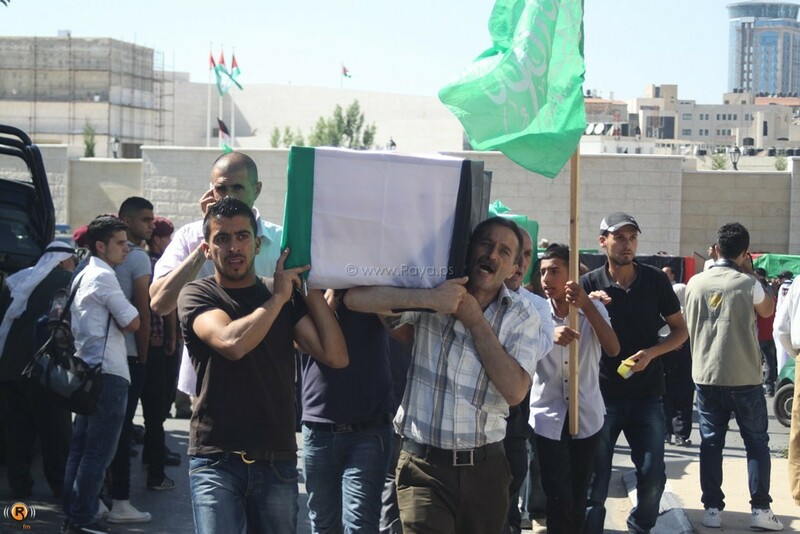 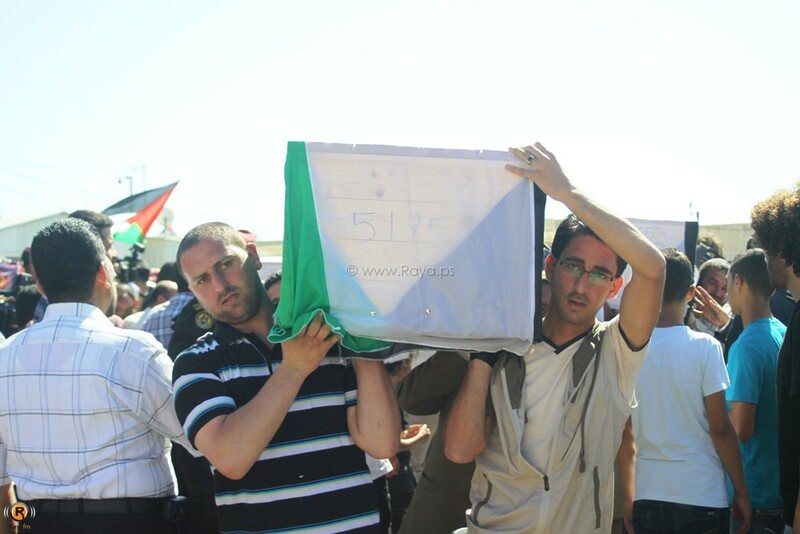 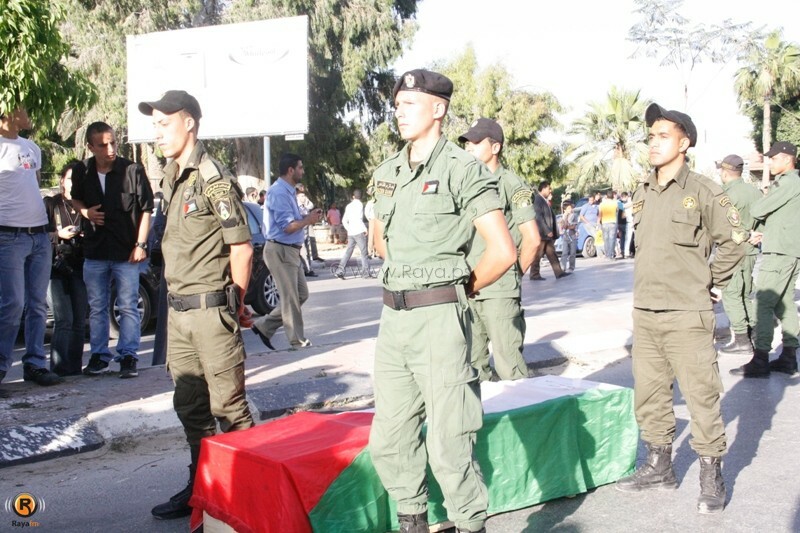 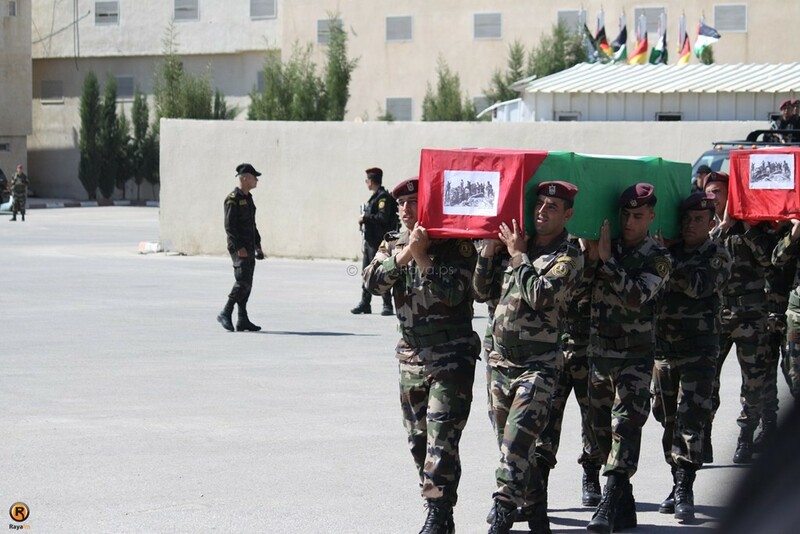 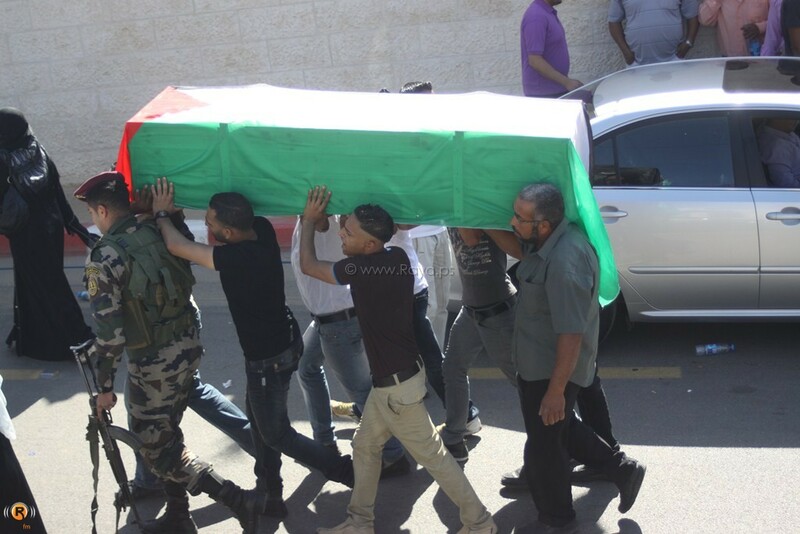 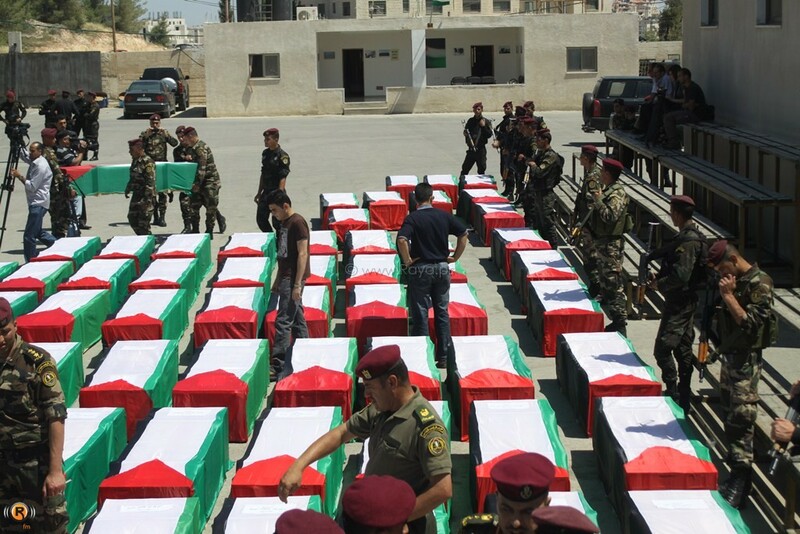 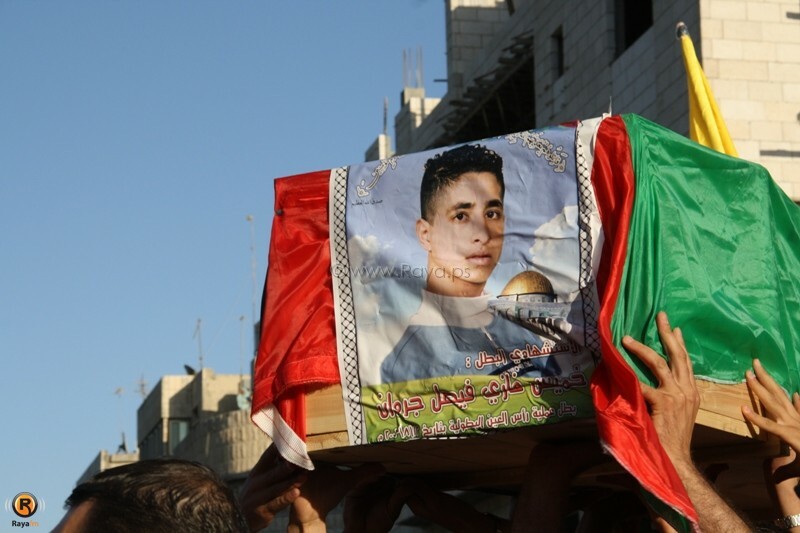 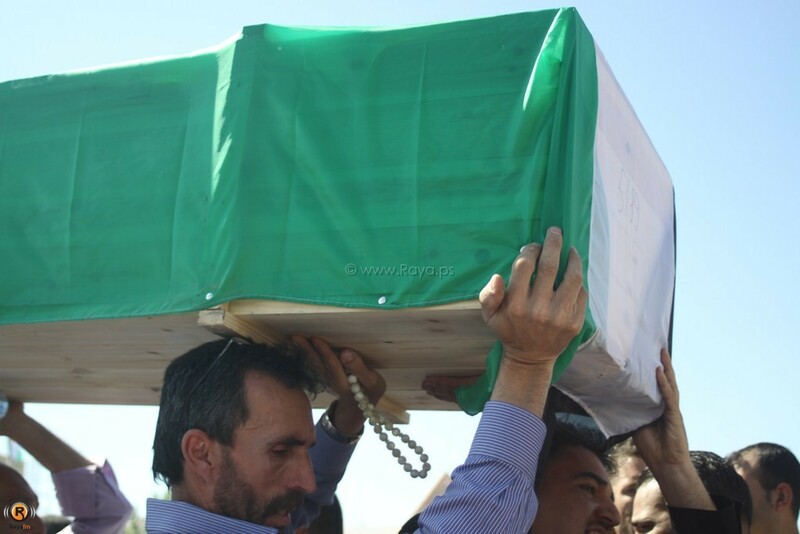 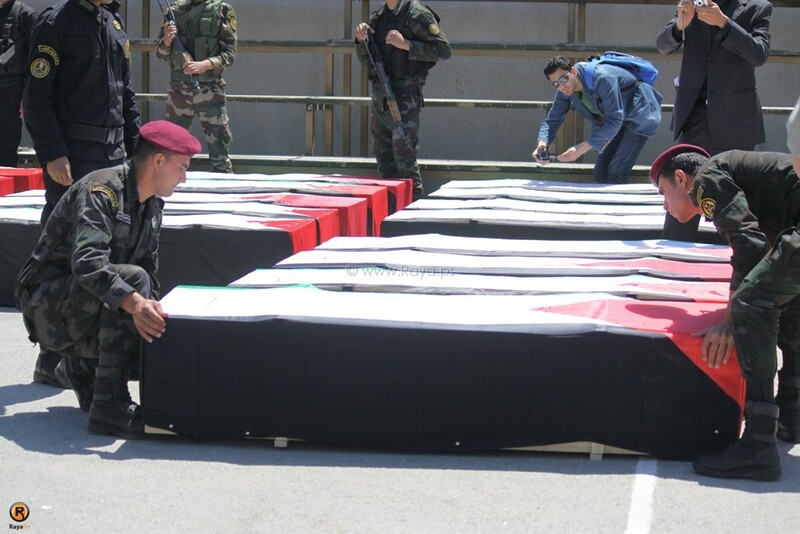 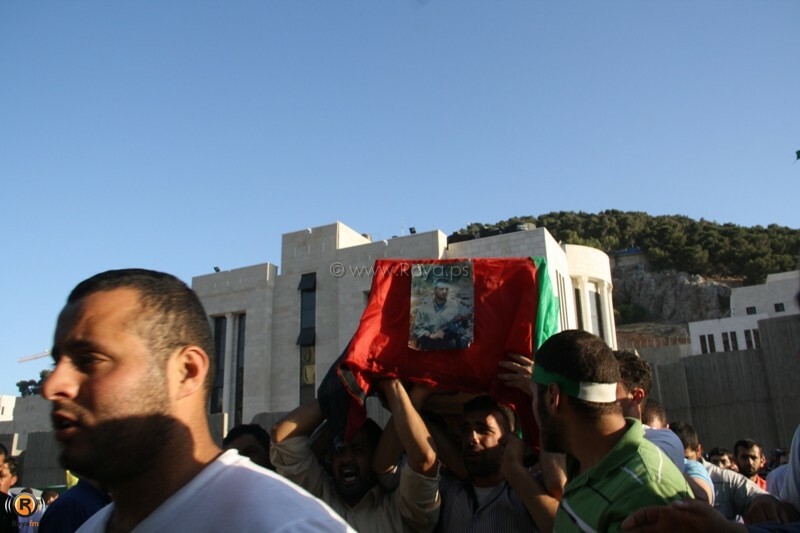 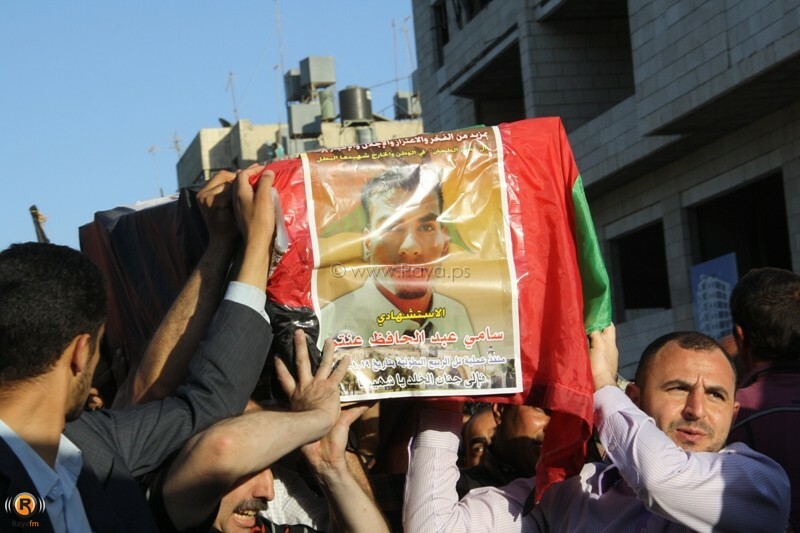 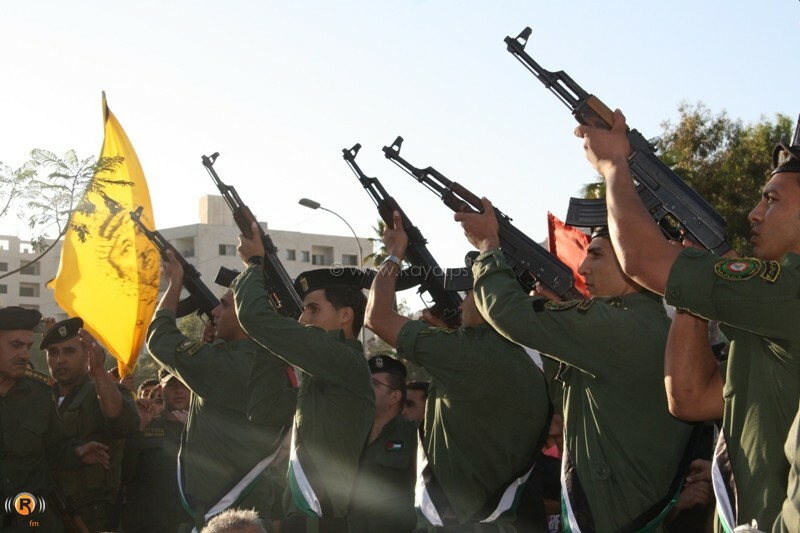 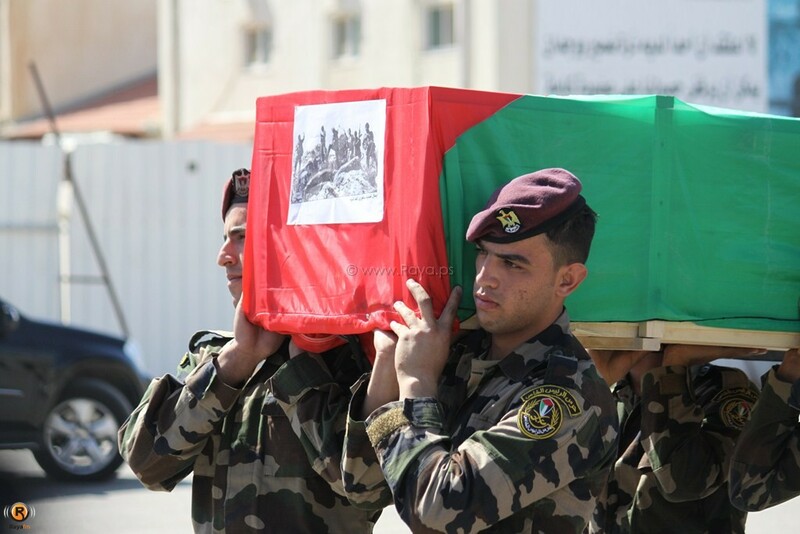 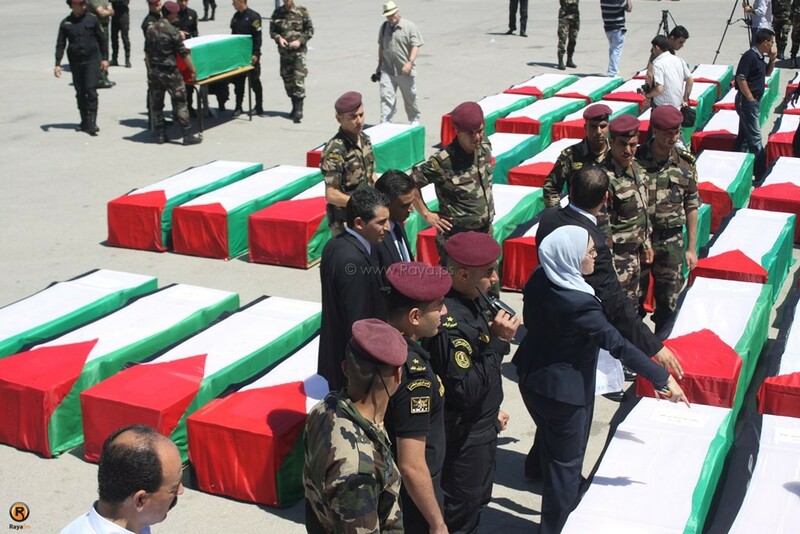 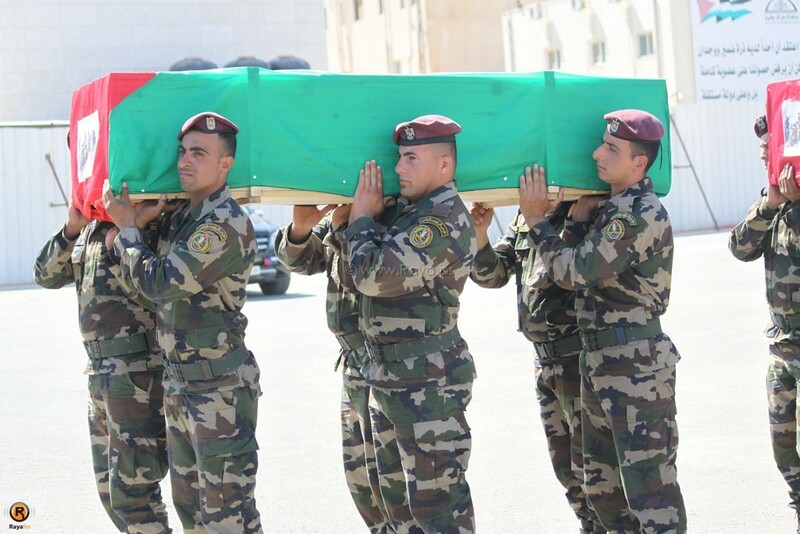 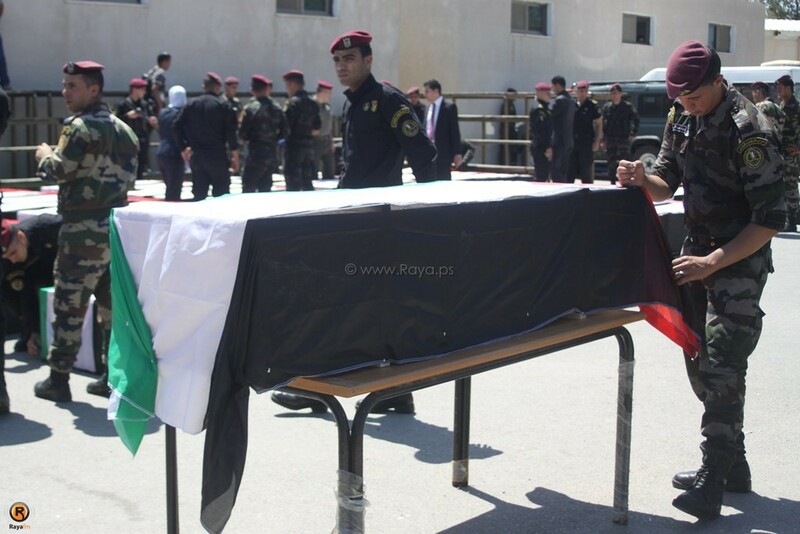 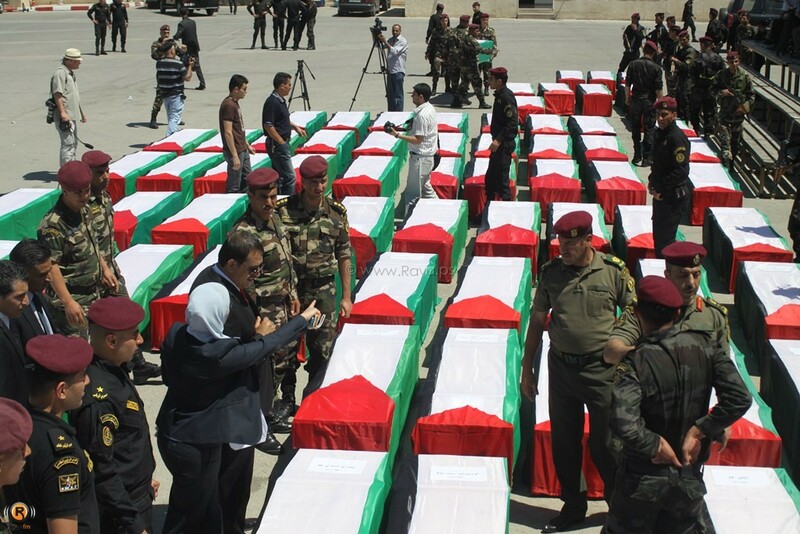 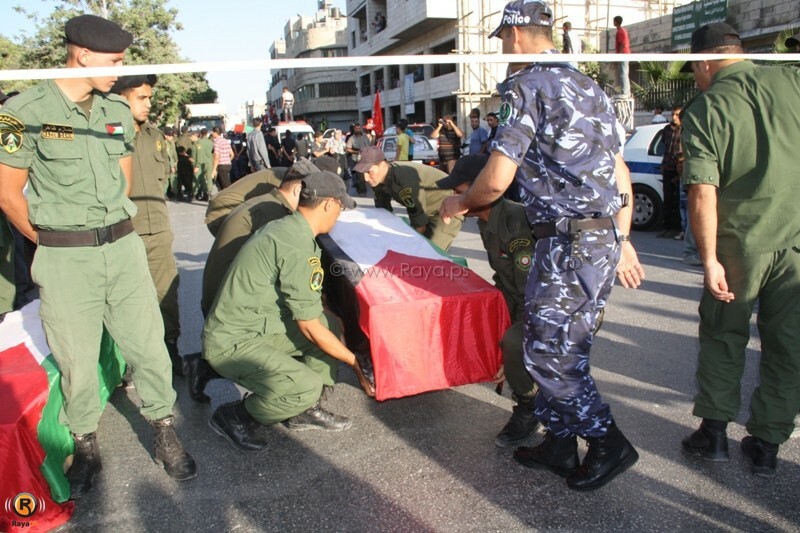 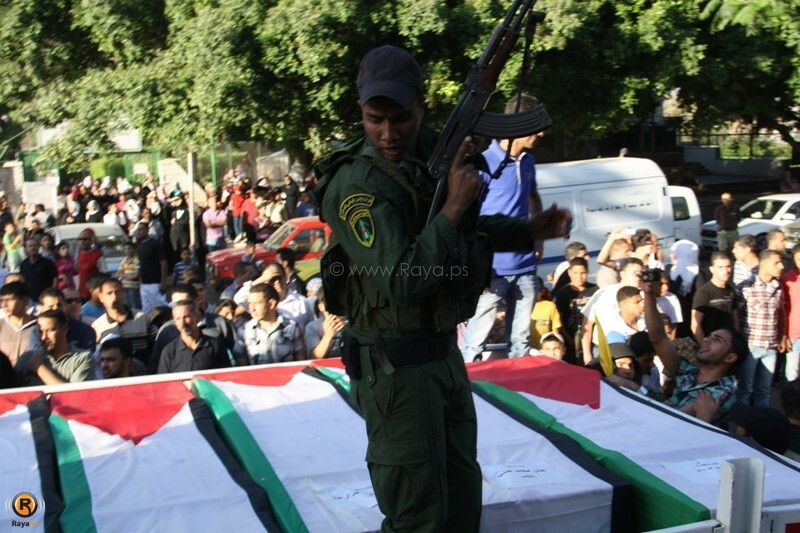 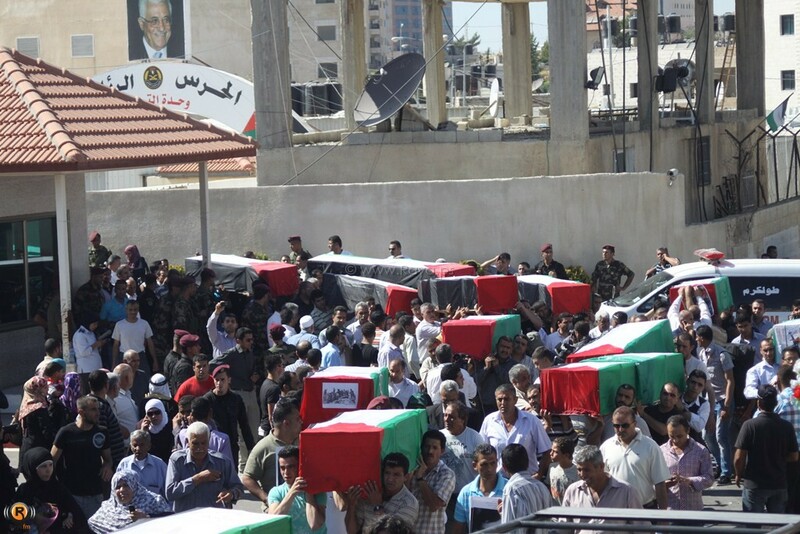 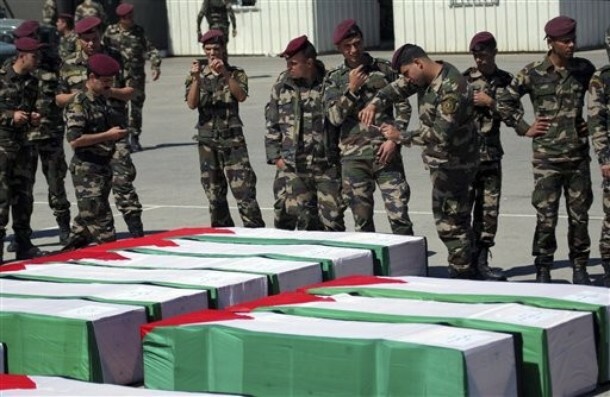 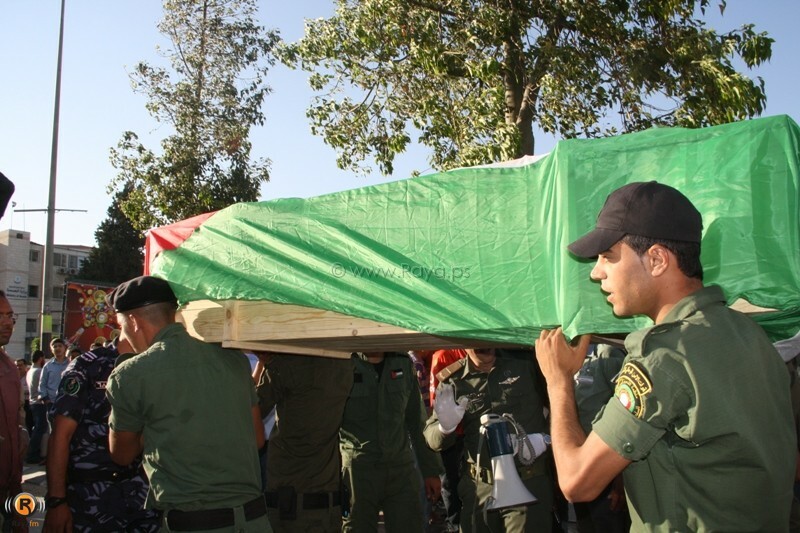 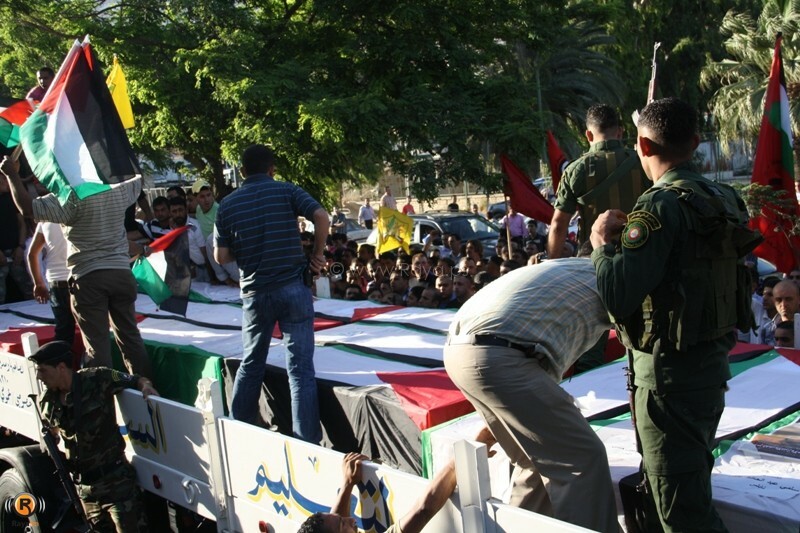 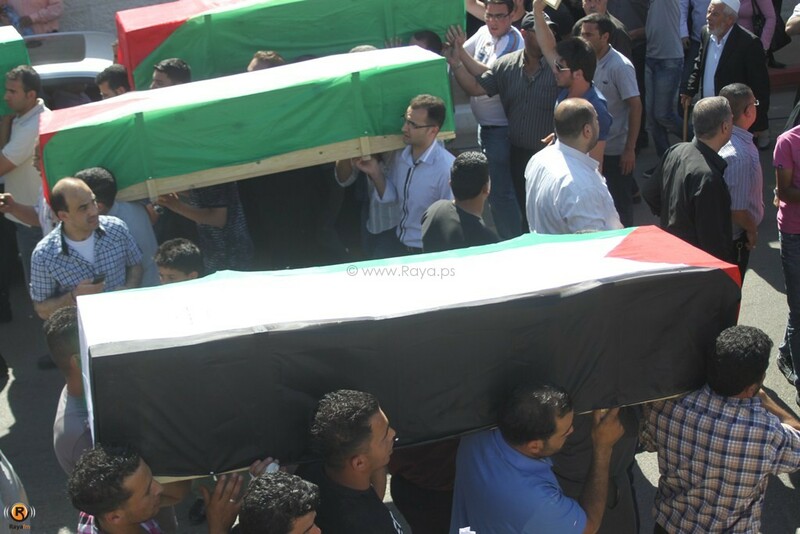 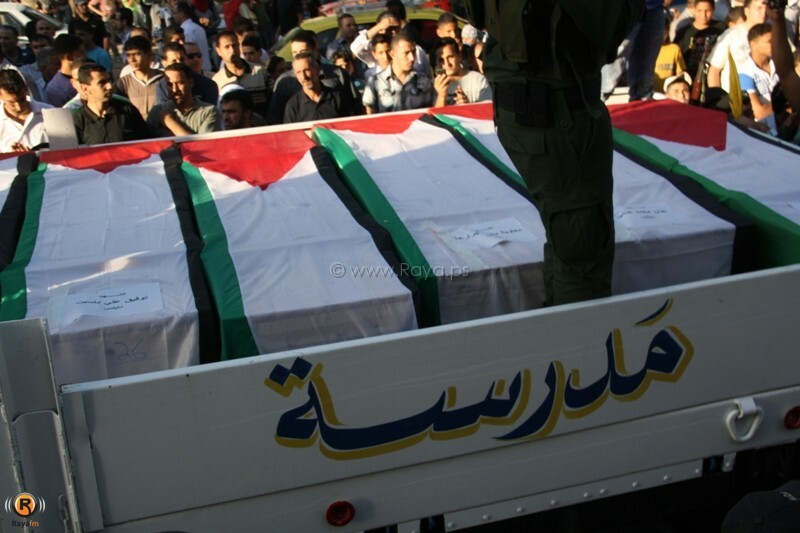 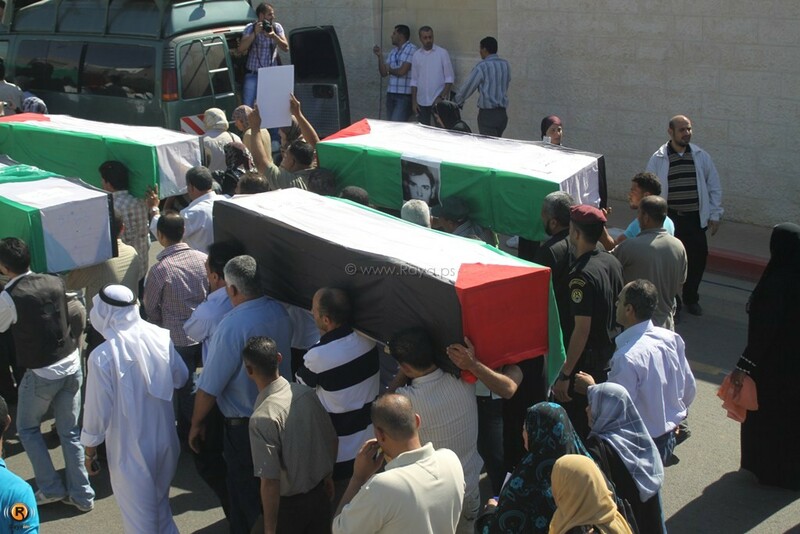 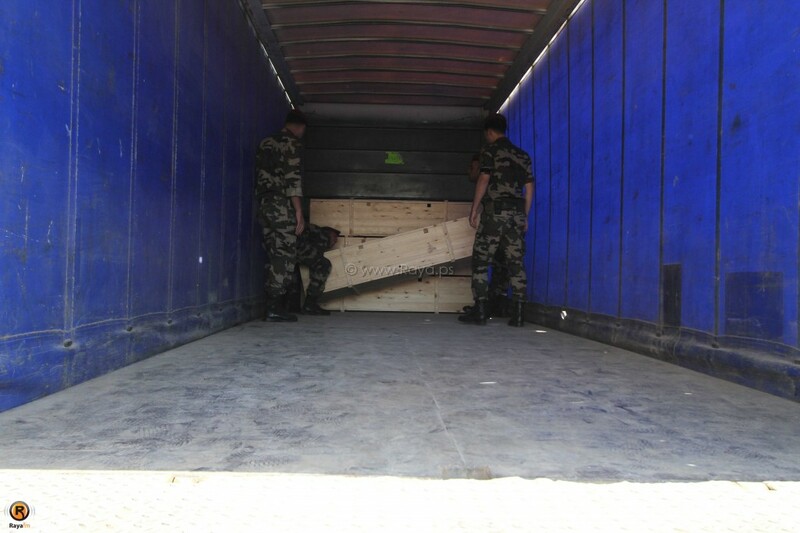 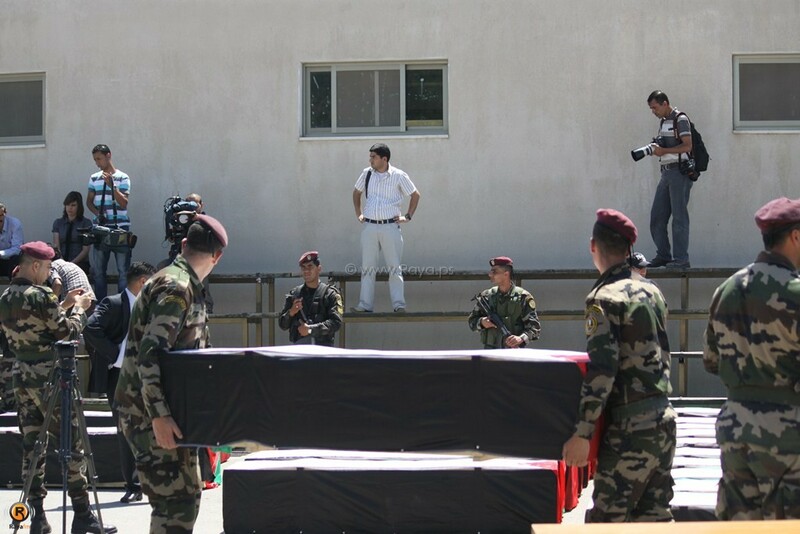 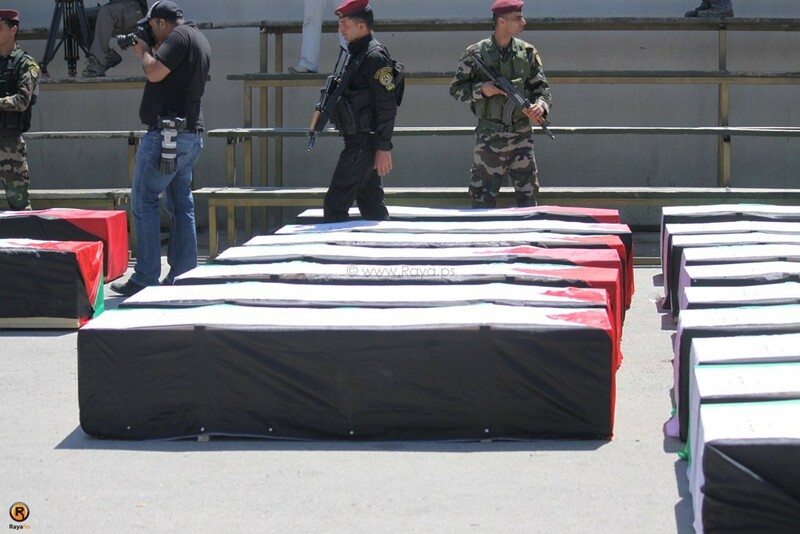 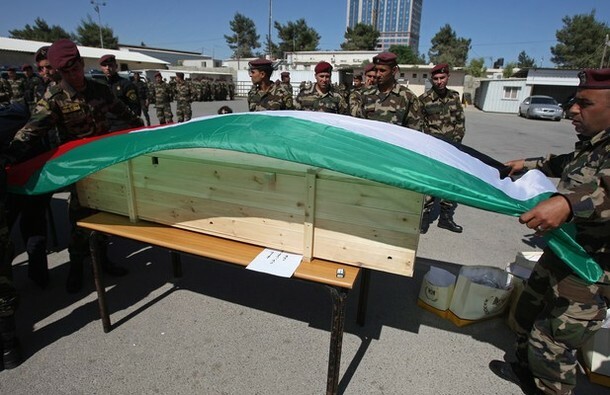 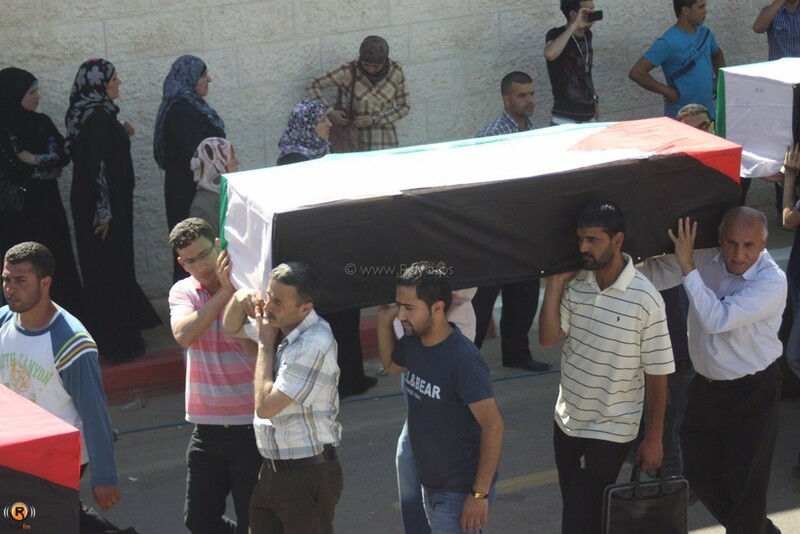 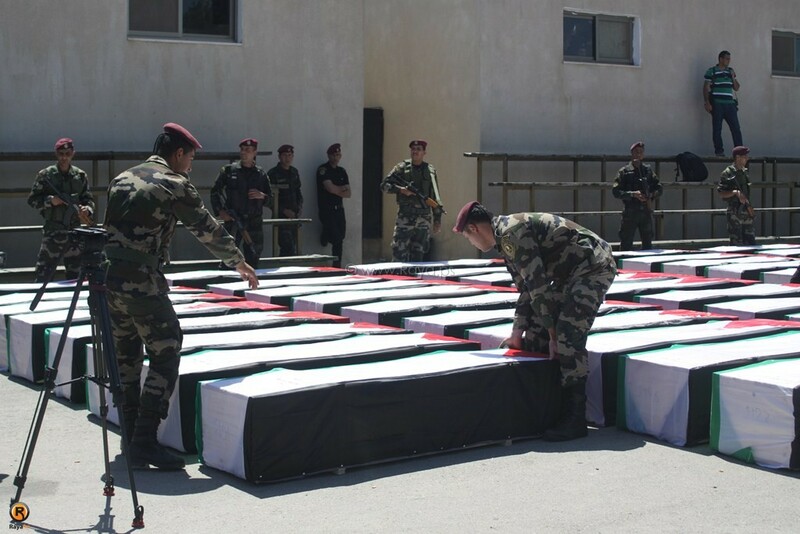 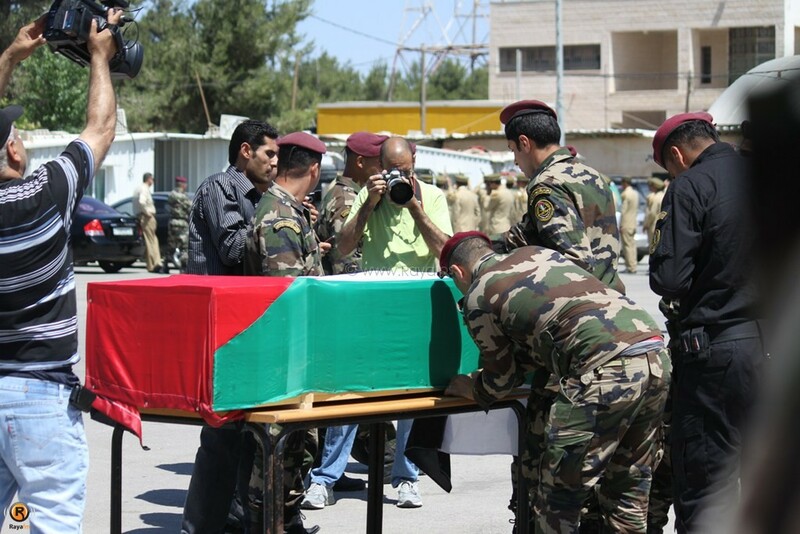 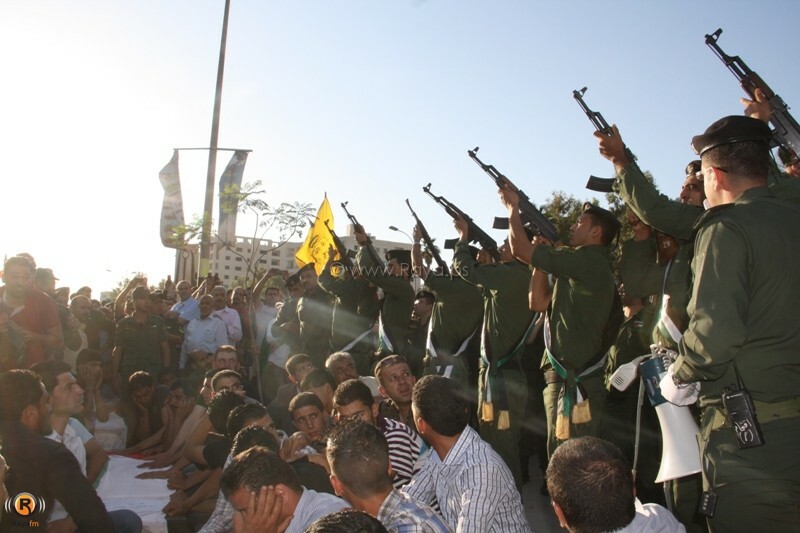 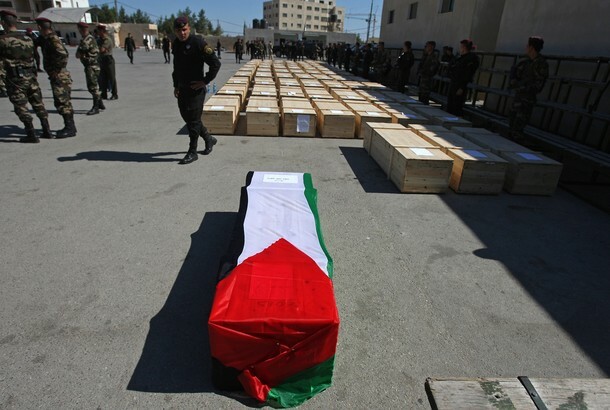 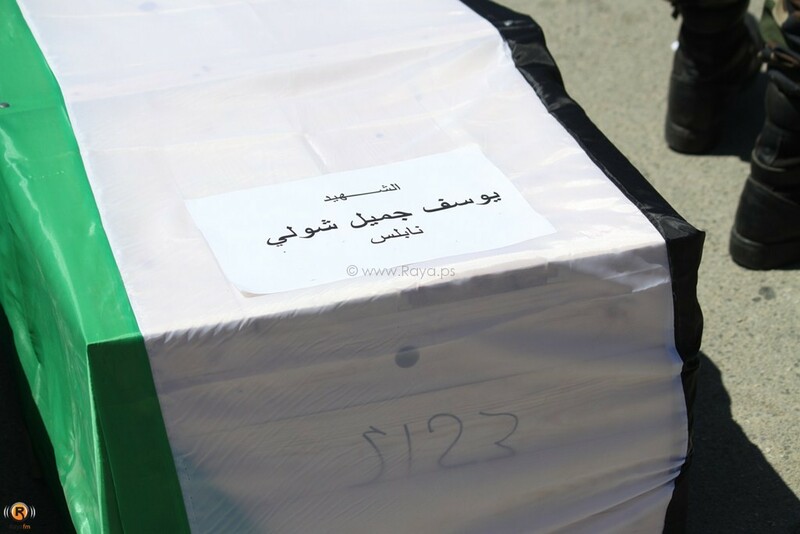 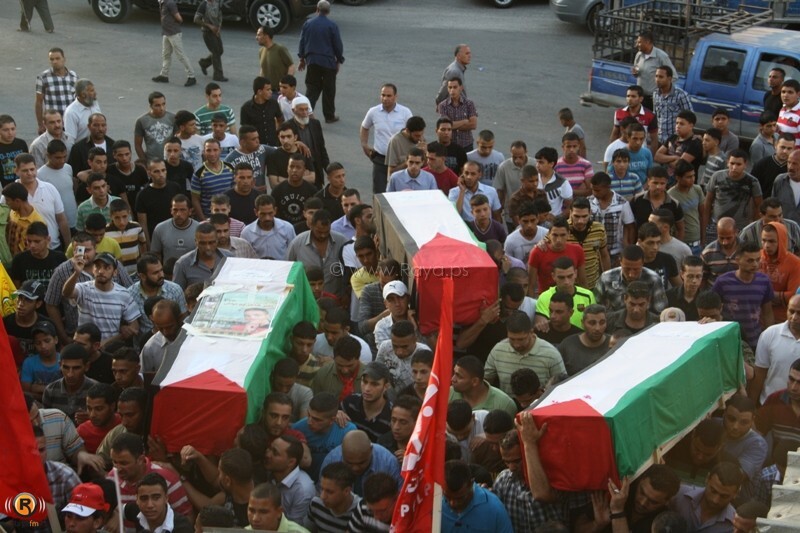 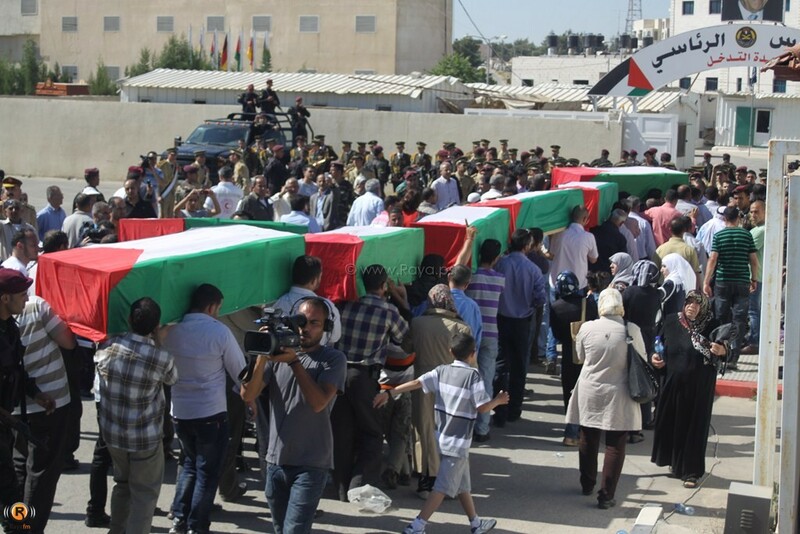 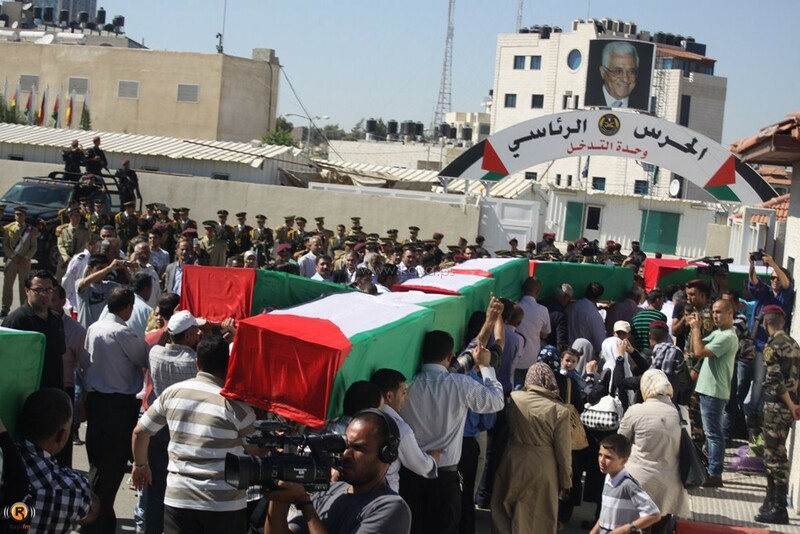 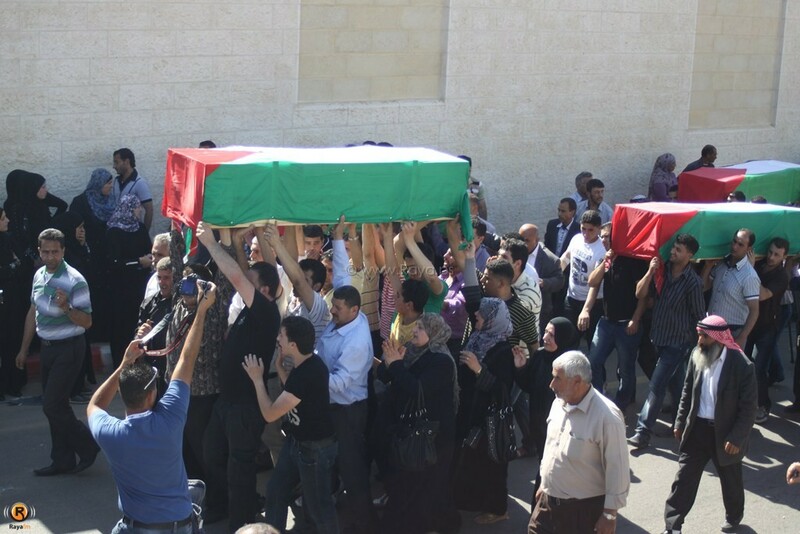 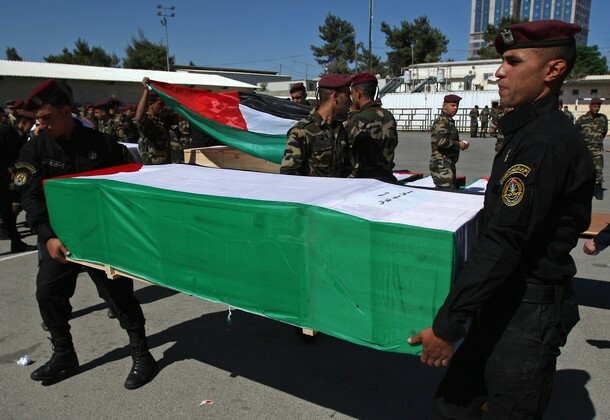 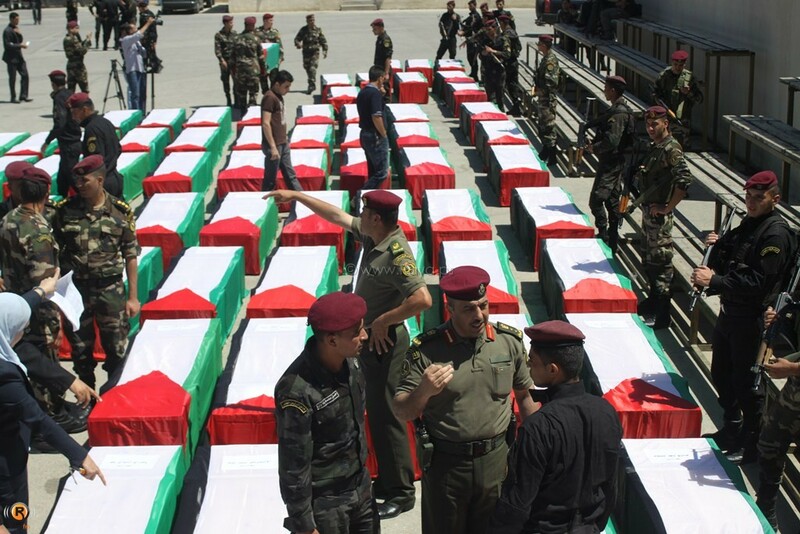 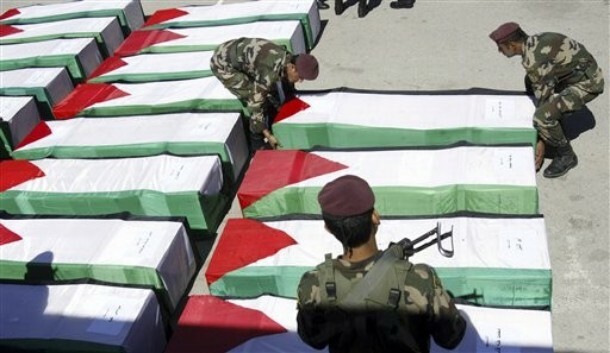 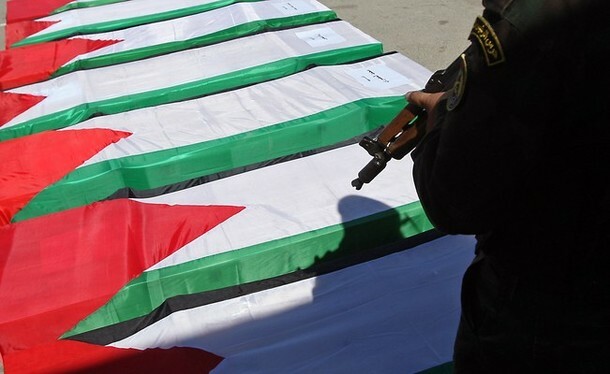 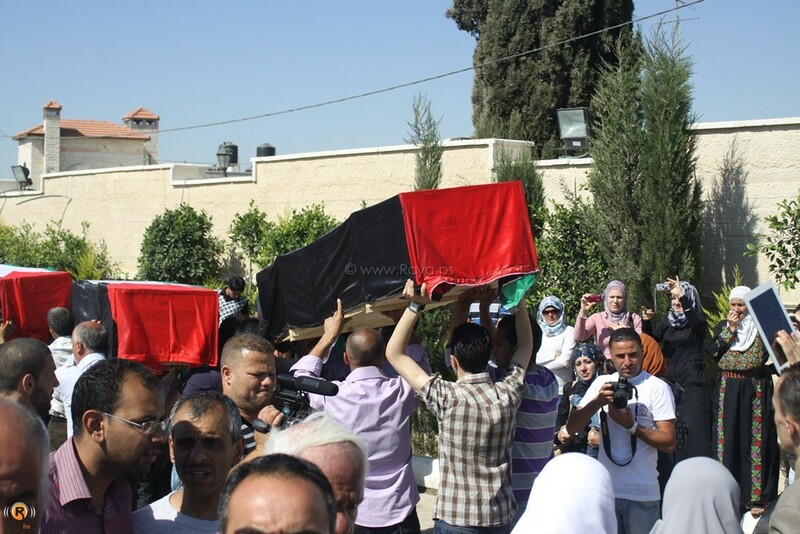 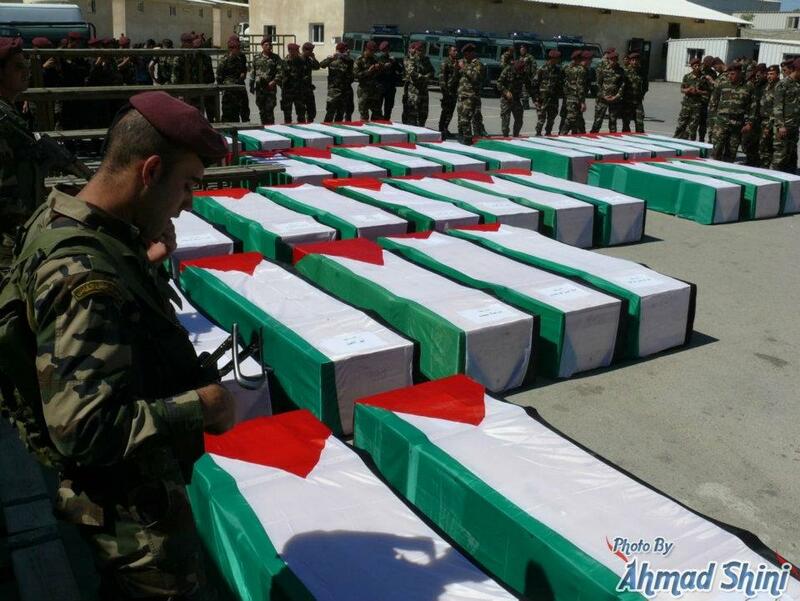 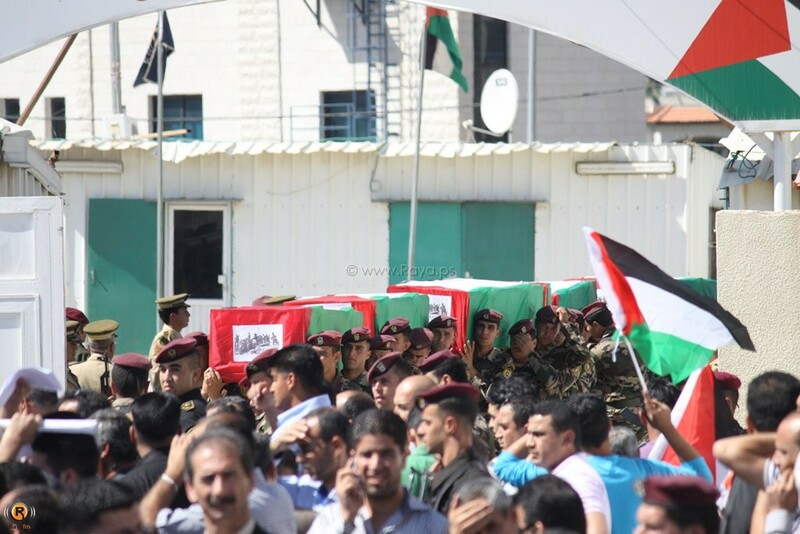 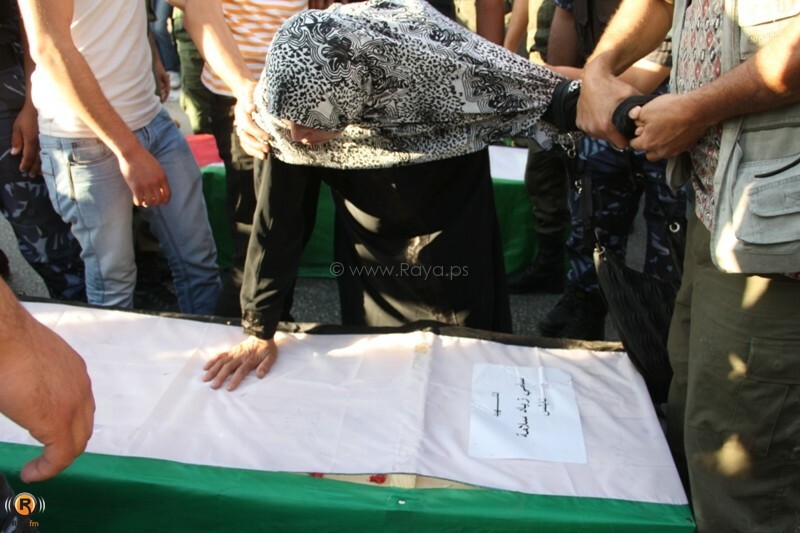 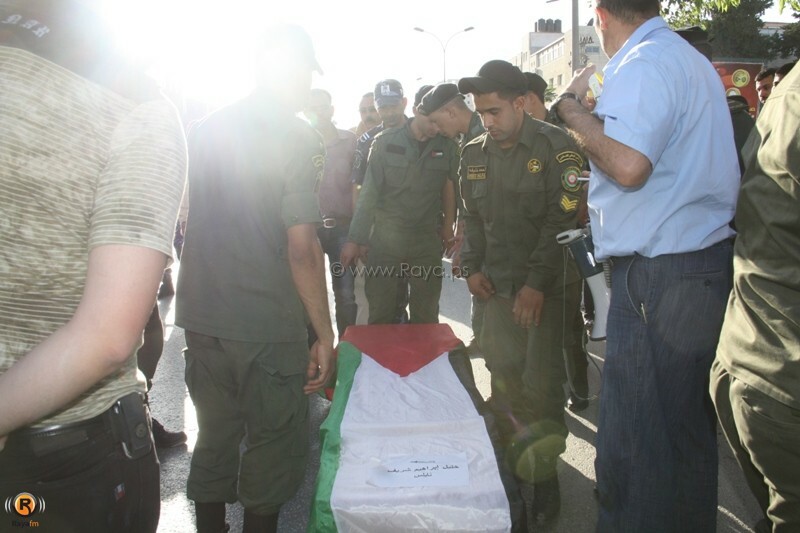 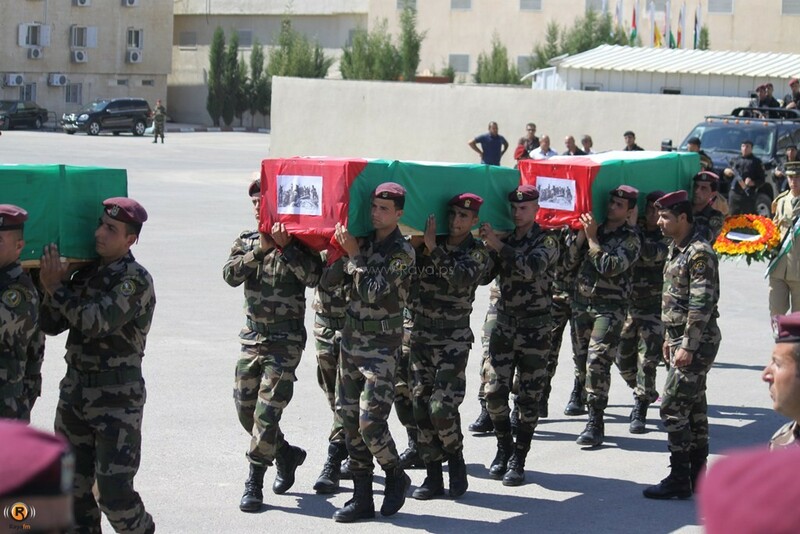 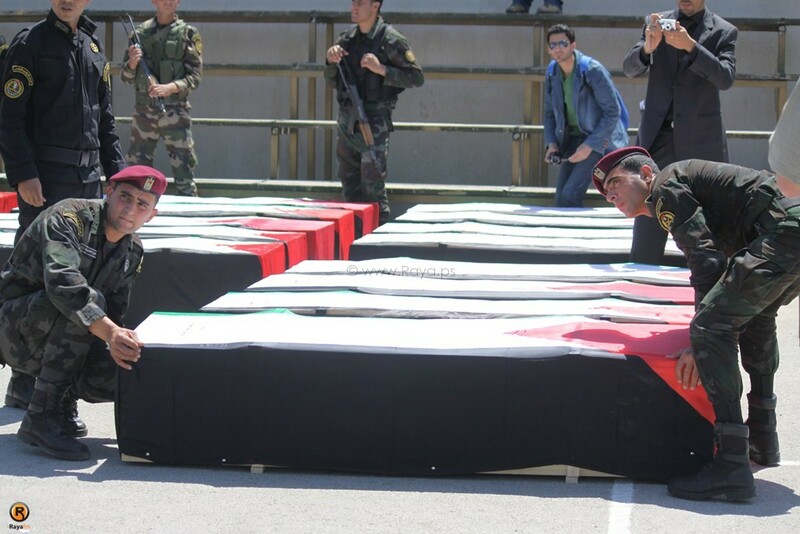 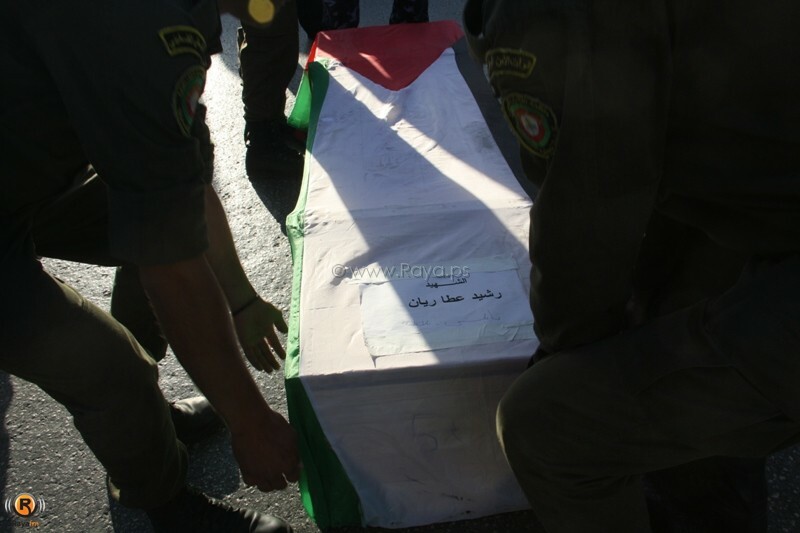 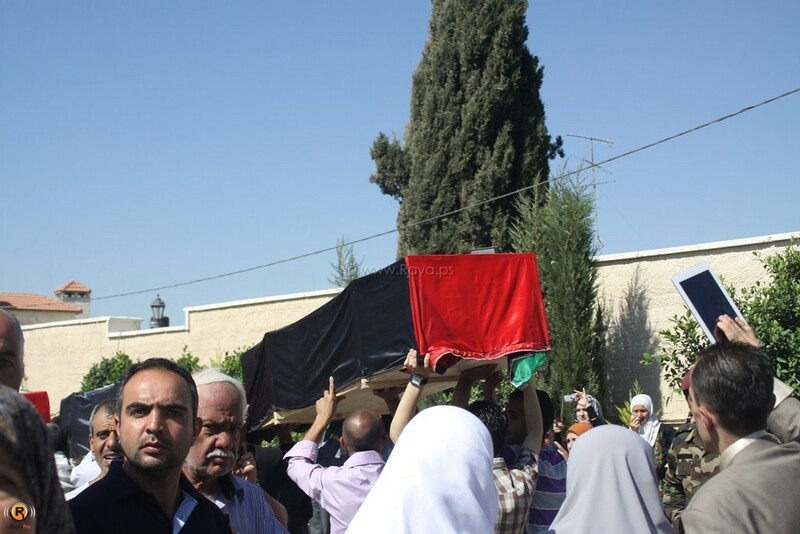 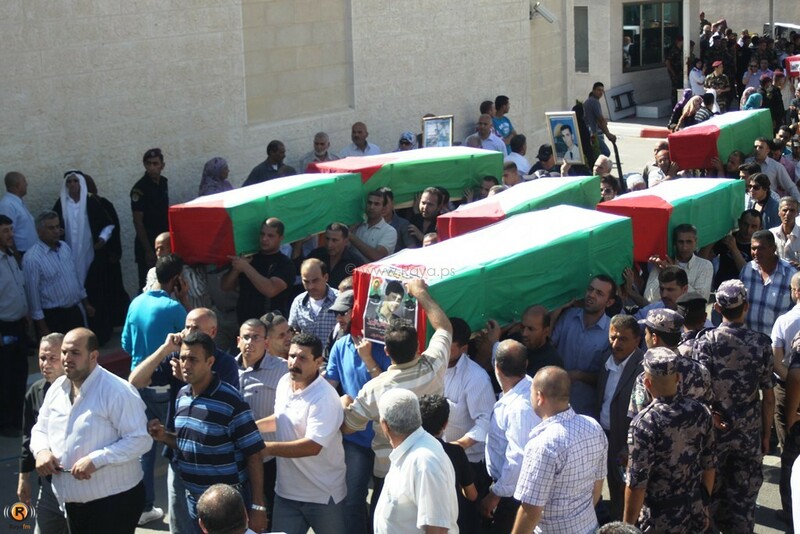 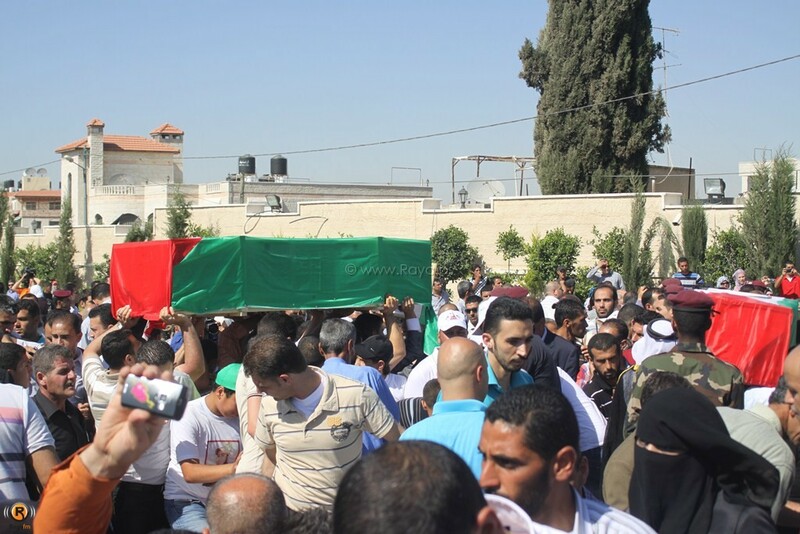 Palestinian security forces cover a coffin with the national flag ahead of the funeral procession of 91 Palestinians whose remains were returned by Israel in the West Bank city of Ramallah on May 31, 2012.